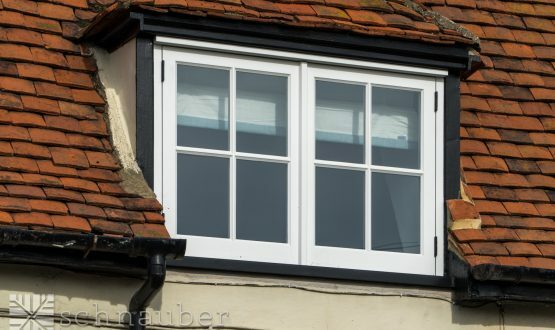 Wooden casement windows first came into prominence in the 16th century as a result of the prosperity of the Tudor dynasty. 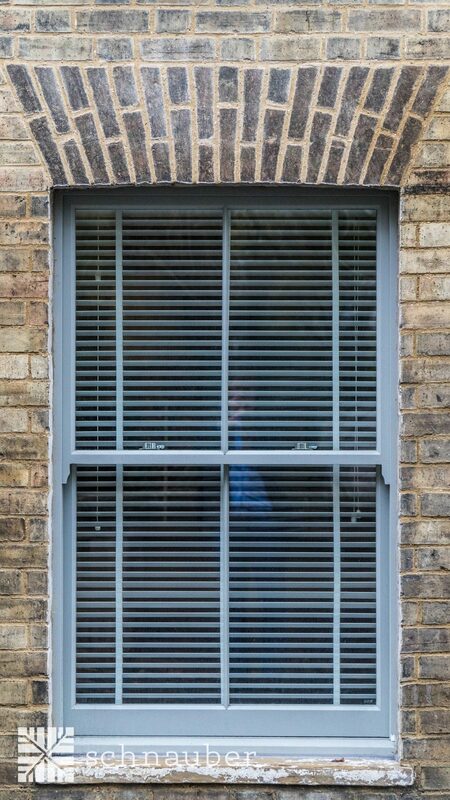 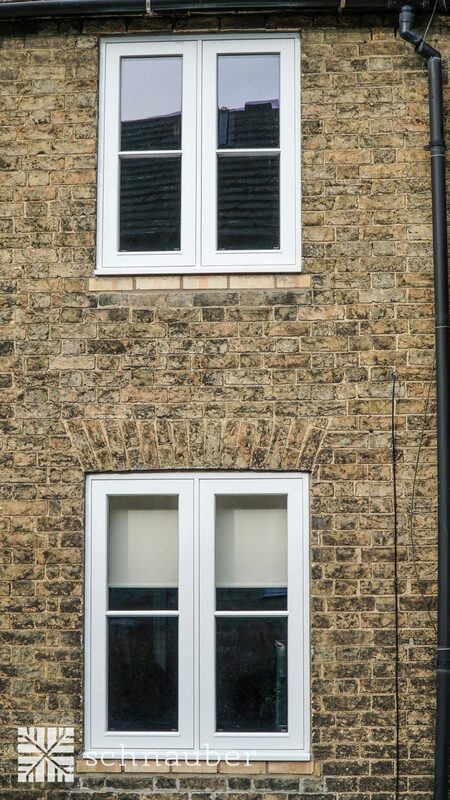 This beautifully designed window was the pioneer of the window styles that we are still using, centuries later, in British homes. 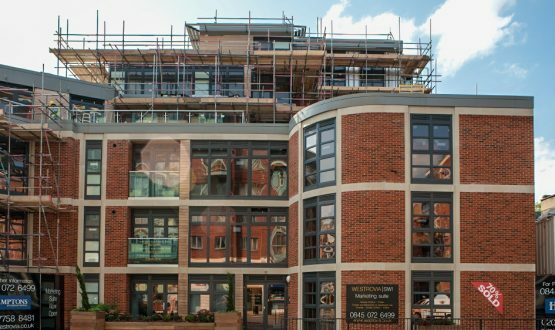 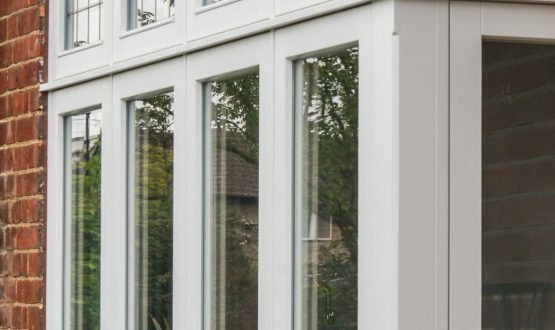 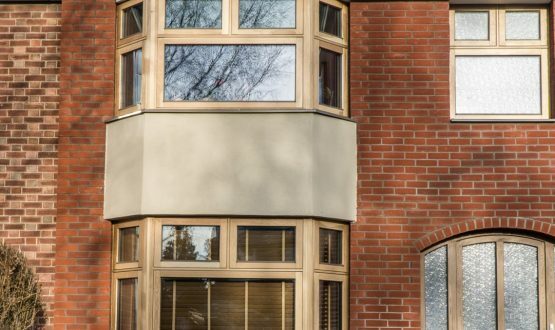 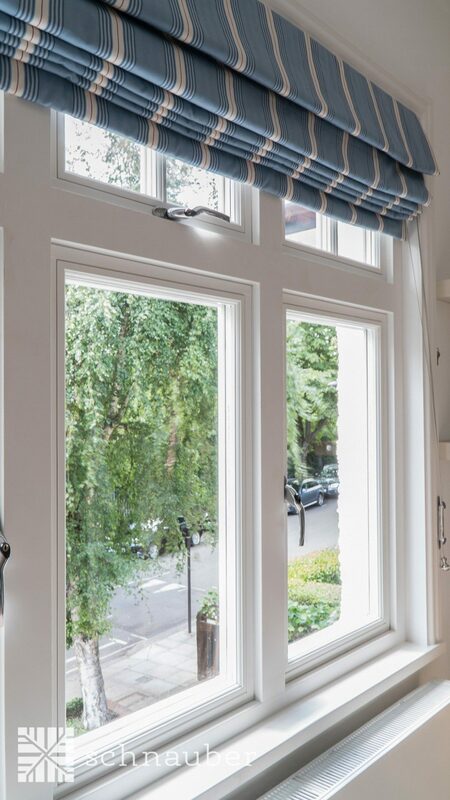 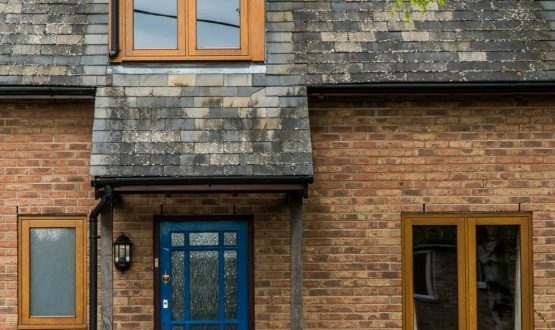 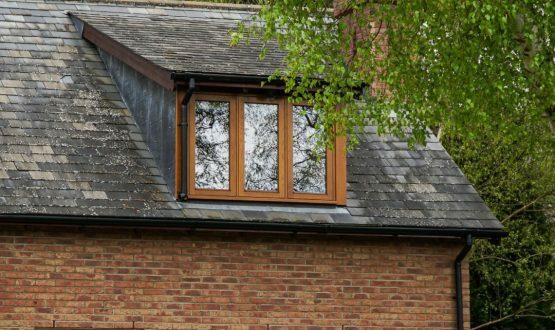 Bespoke timber casement windows are the most popular choice in the UK and Northern Europe because they provide high levels of security, noise reduction and energy efficiency. 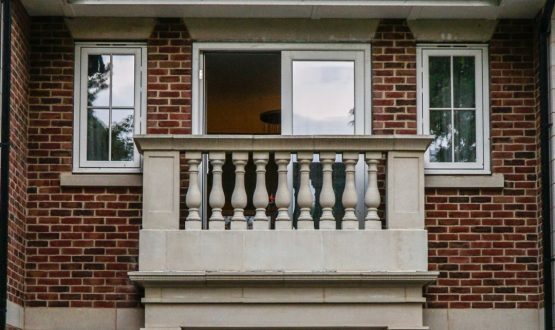 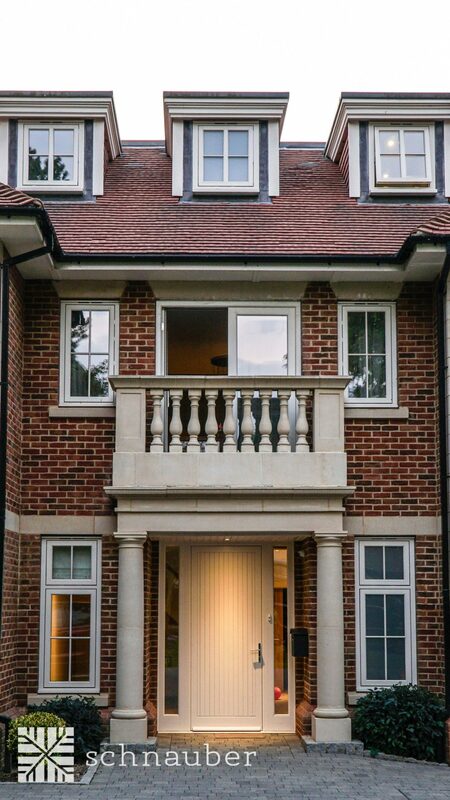 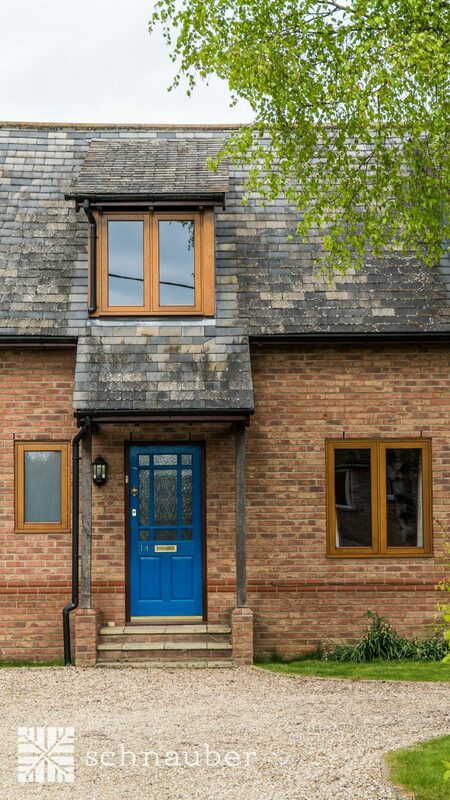 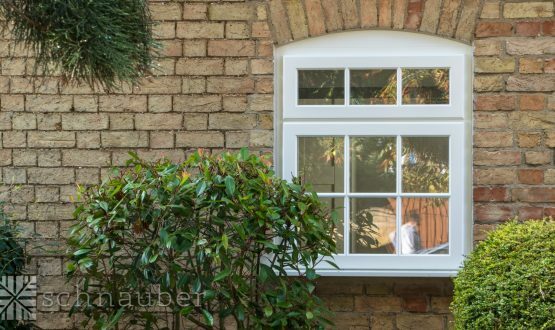 Our bespoke timber casement windows are created using a blend of modern technologies and traditional British aesthetics. 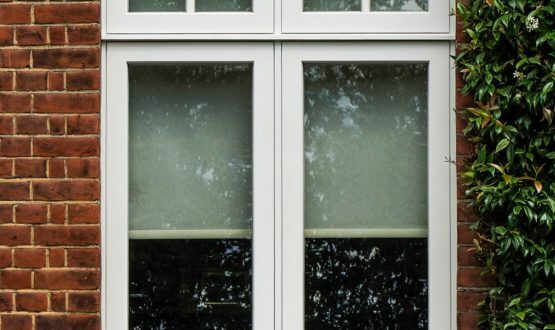 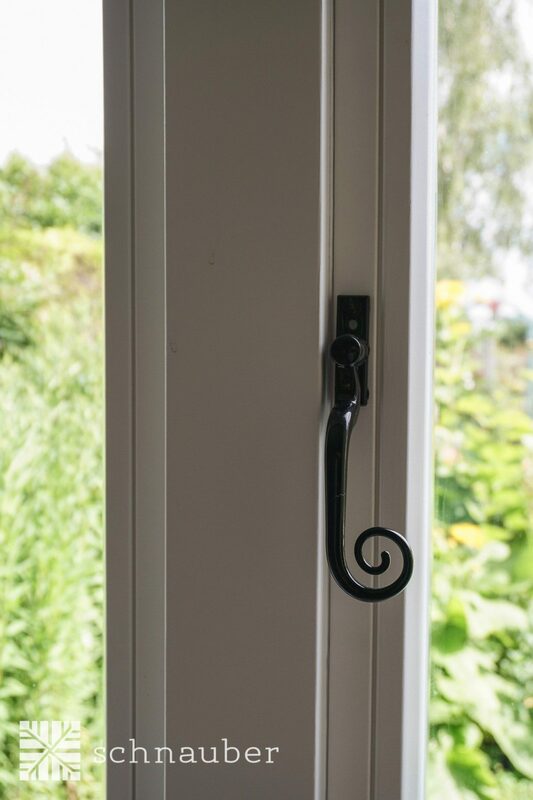 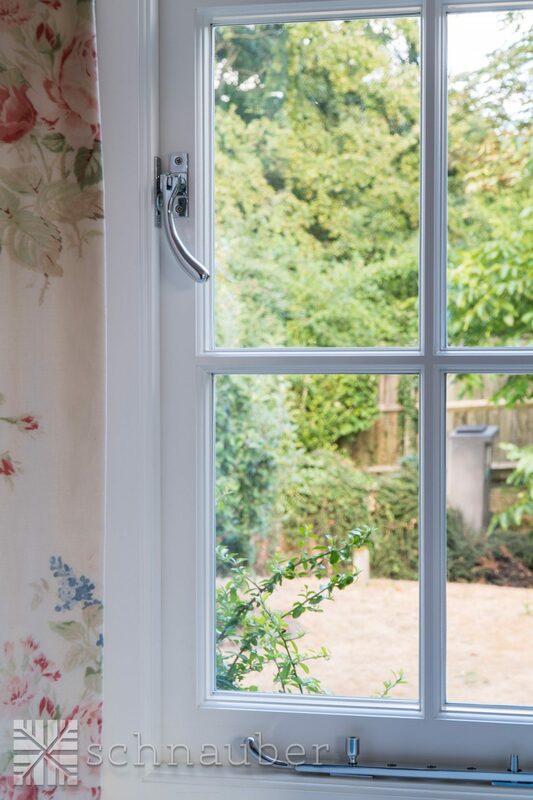 The wide range of hinges, fittings, glazing, locking systems and finishes that we are able to supply enhances the styling of the timber casement window frames. 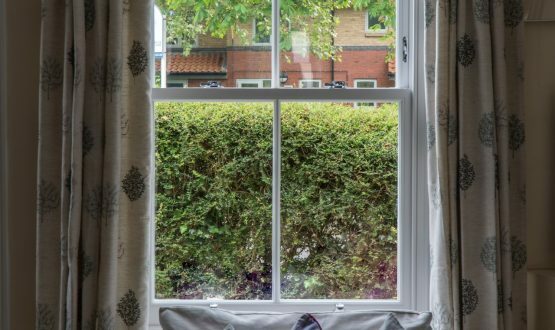 All our bespoke timber sash windows are designed with heritage in mind and can be supplied to meet any period features required. 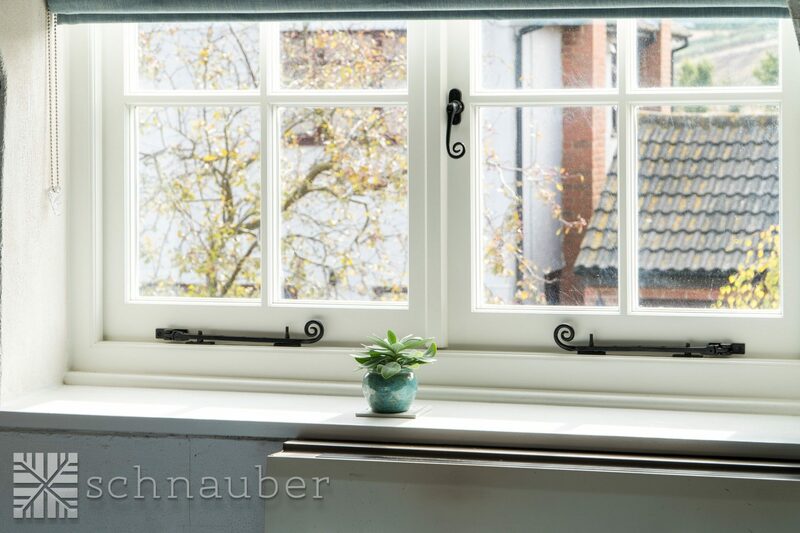 Quality materials and modern manufacturing methods ensure that the Heritage Slimline windows from Schnauber are guaranteed to last. 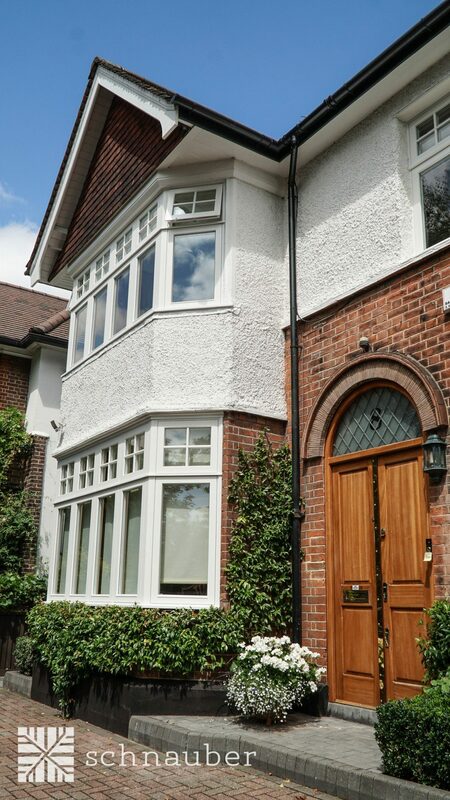 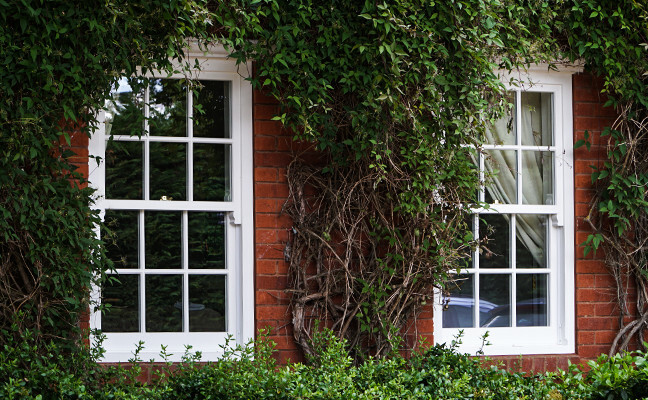 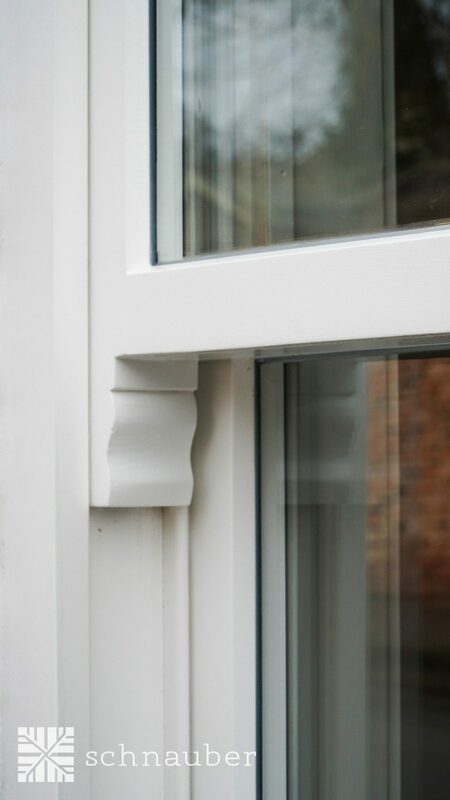 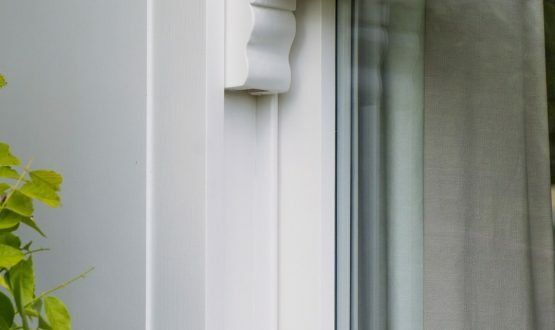 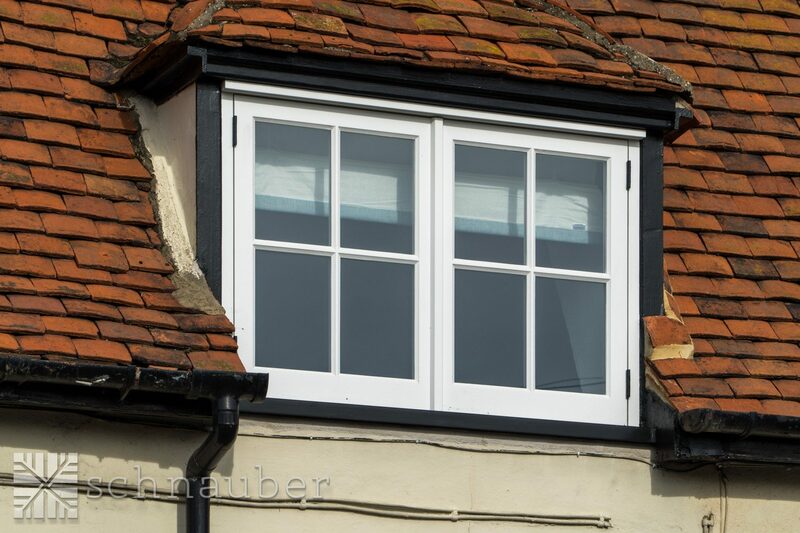 Our Heritage Slimline Timber windows are supplied with have multi-point locking systems for your safety and security. 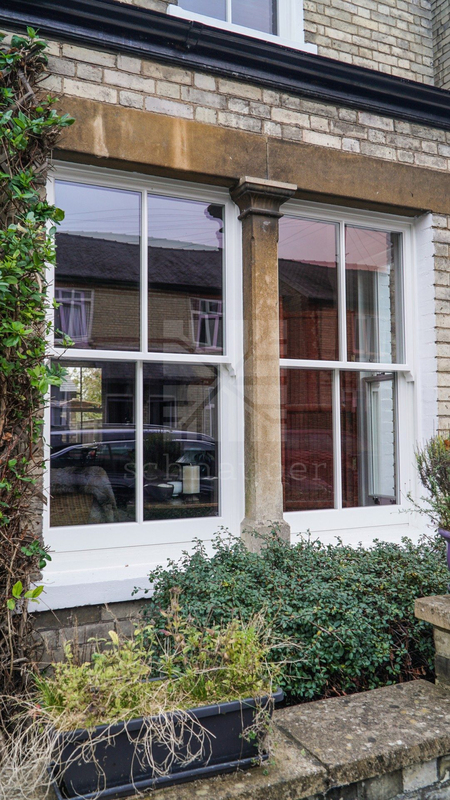 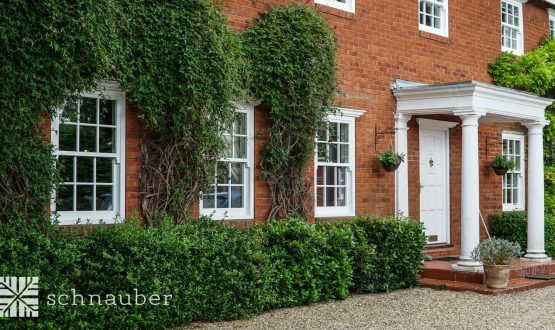 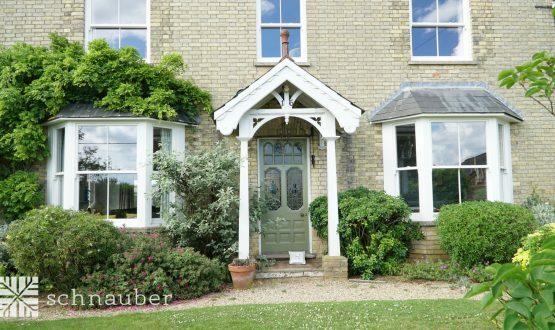 The use of high quality timber and water sealed finishes ensures that Schnauber Heritage Slimline Timber windows are easy to maintain. 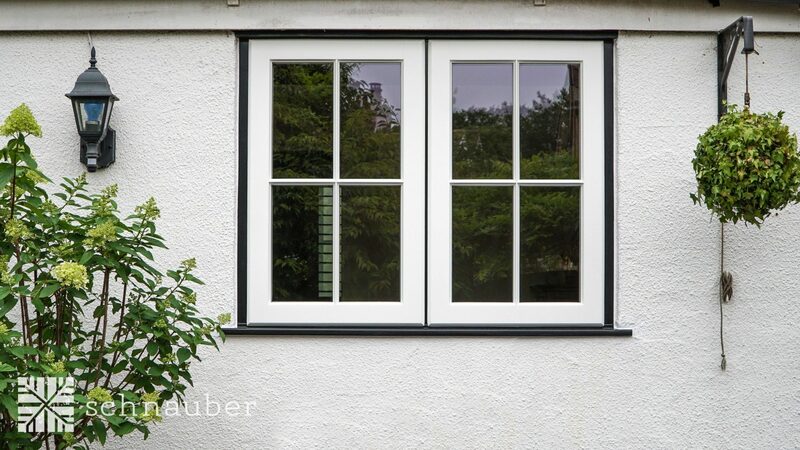 Minimal maintenance is recommended every 5-10 years. 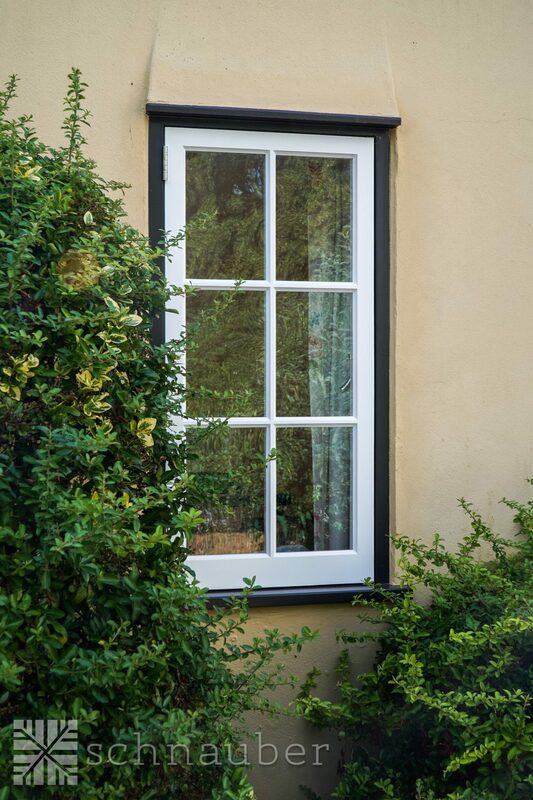 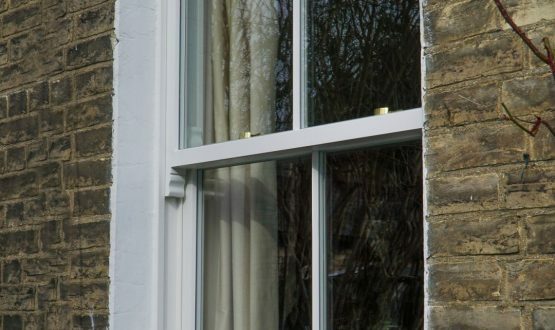 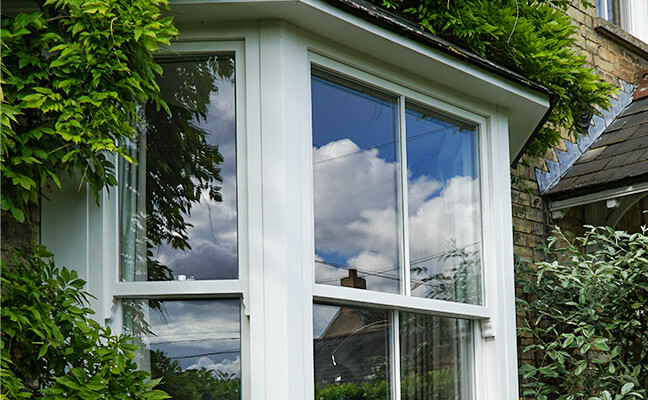 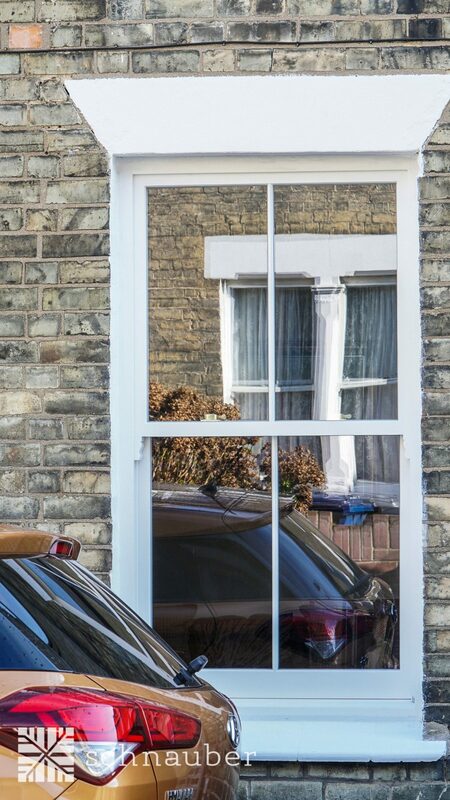 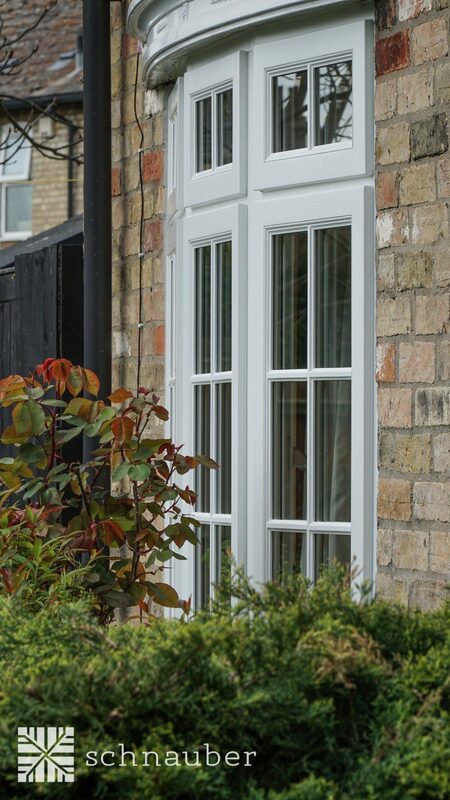 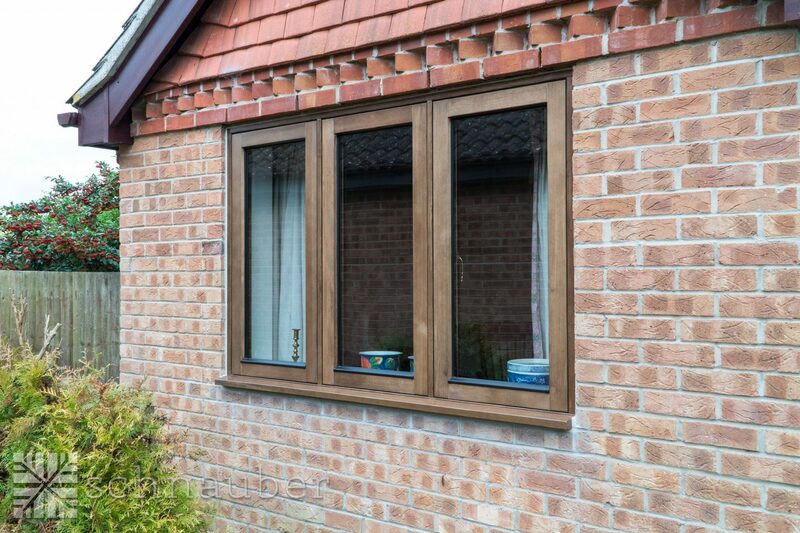 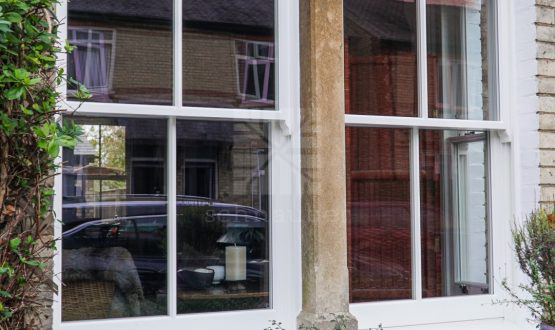 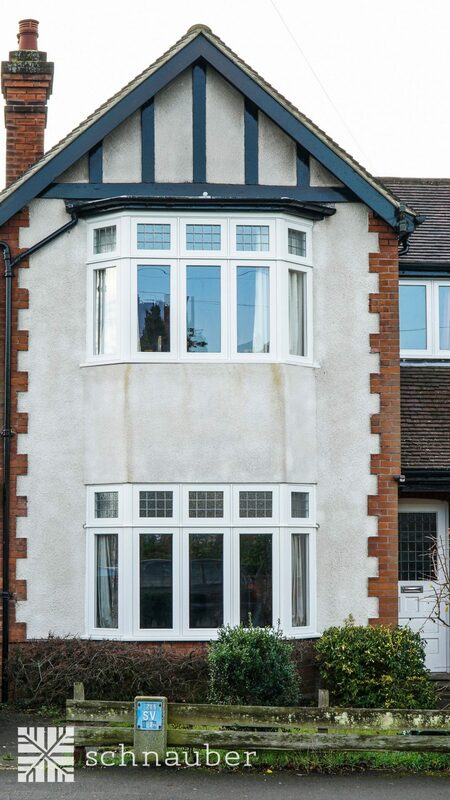 The Heritage Slimline Timber window is naturally resistant to heat loss. 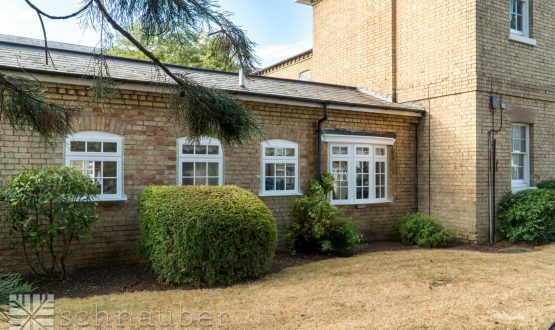 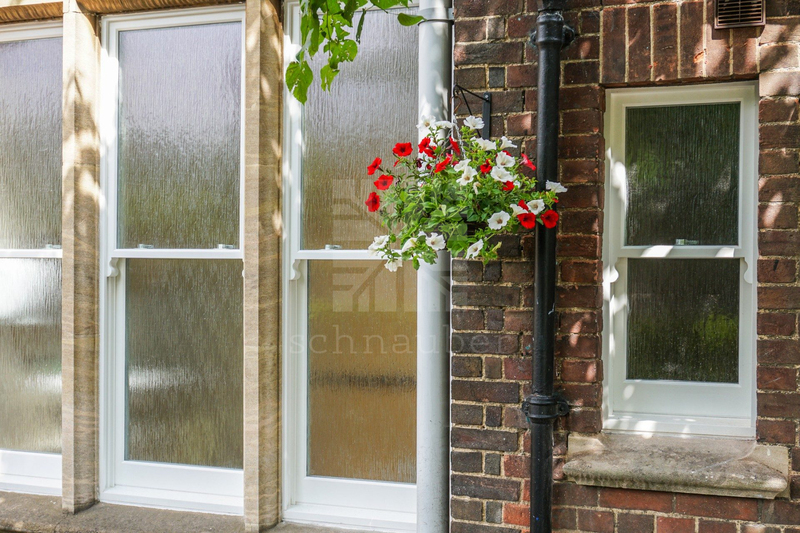 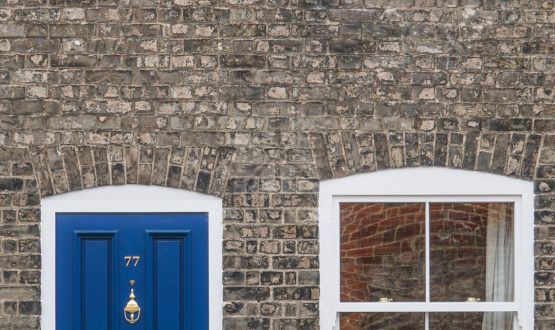 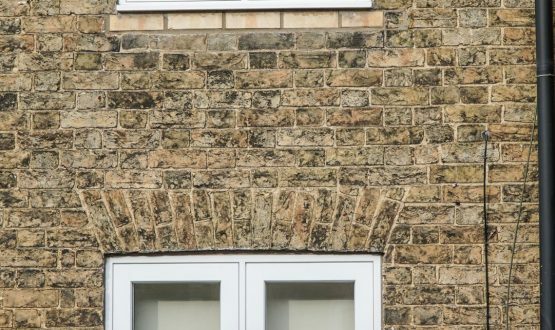 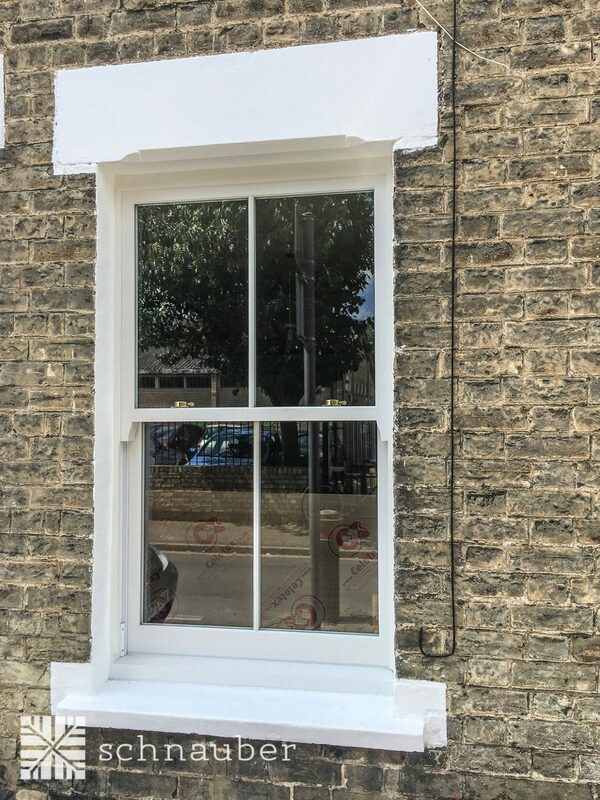 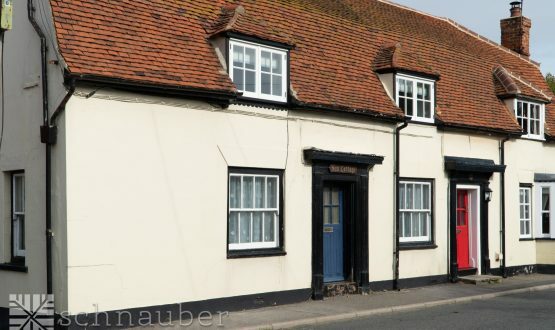 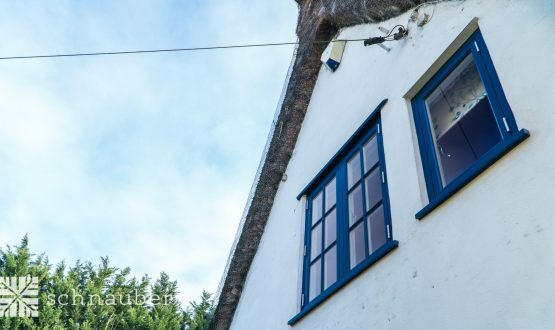 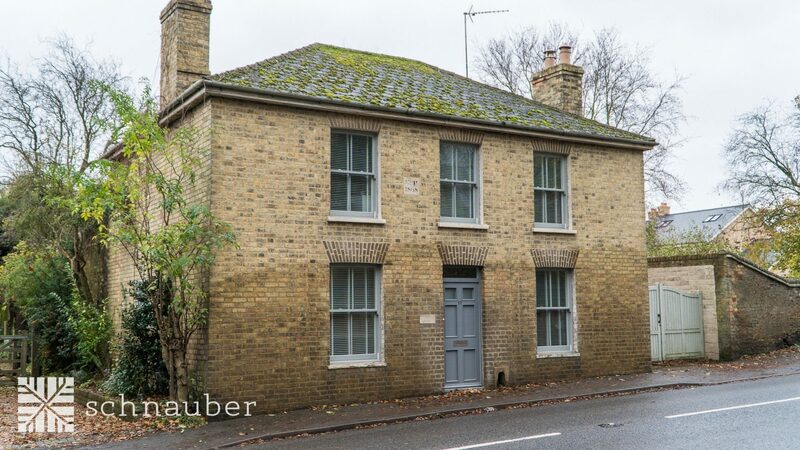 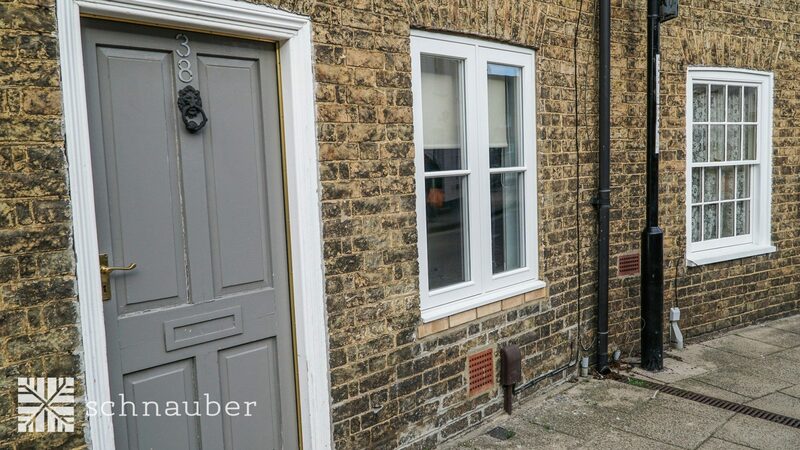 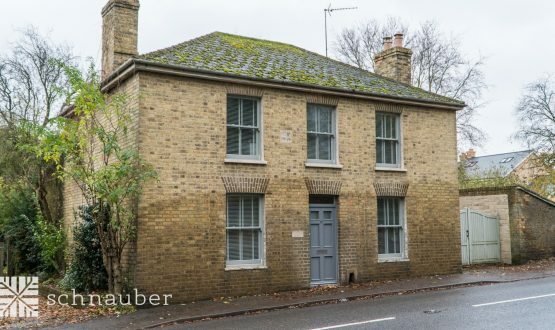 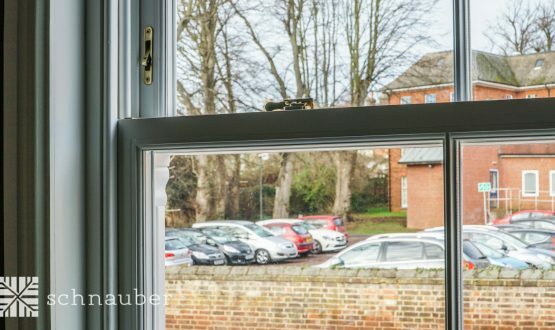 It is designed to help owners of historic property retain the character of their building whilst improving energy efficiency with the option of a slender double glazed unit. 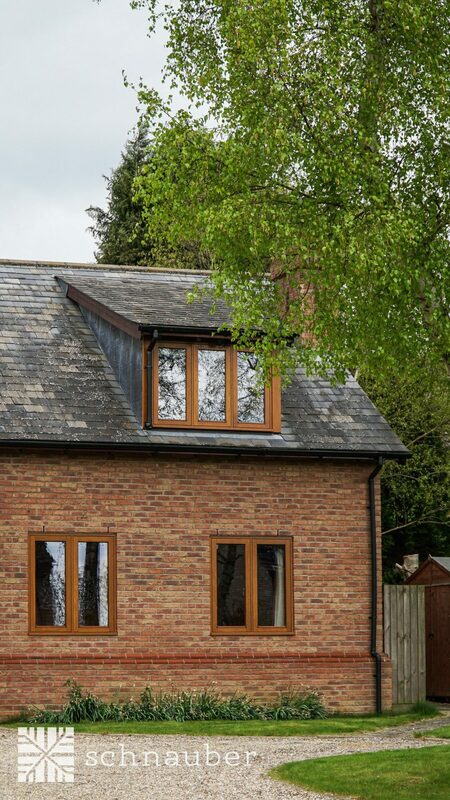 Our manufacturing process, as well as our production of timber, is environmentally friendly. 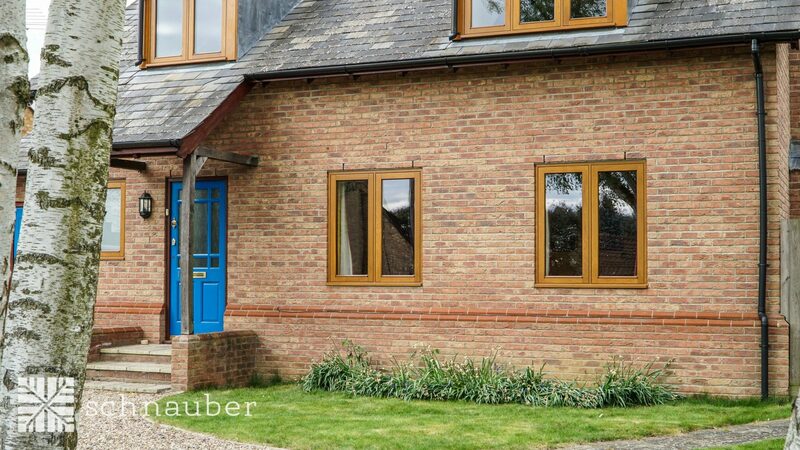 The wooden aesthetic of timber Passive House windows can improve the appearance of your home or commercial building. 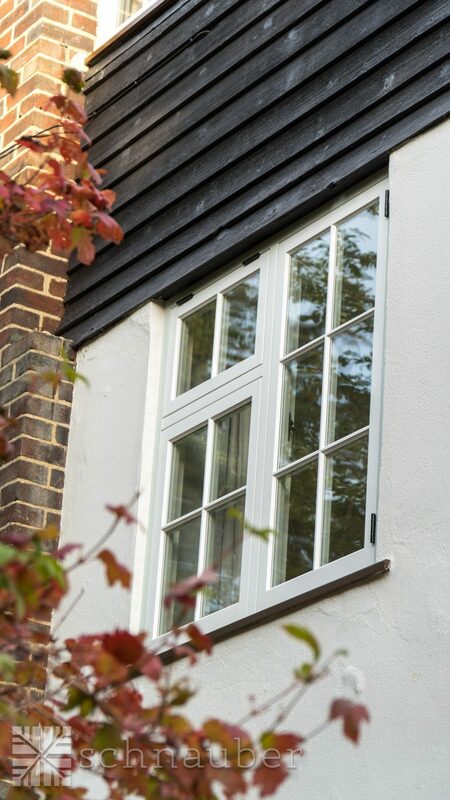 All our bespoke timber casement windows are designed to look good and to meet your specification. 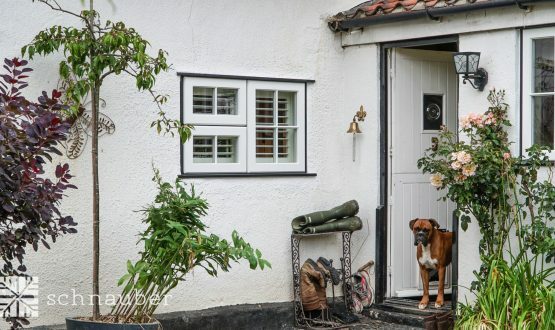 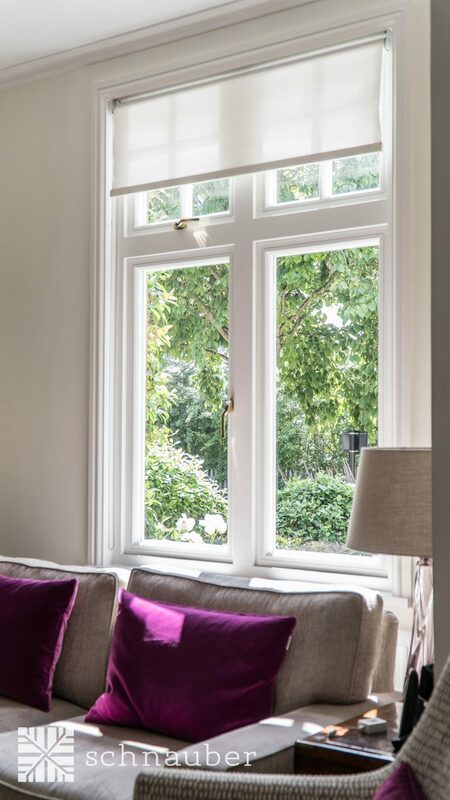 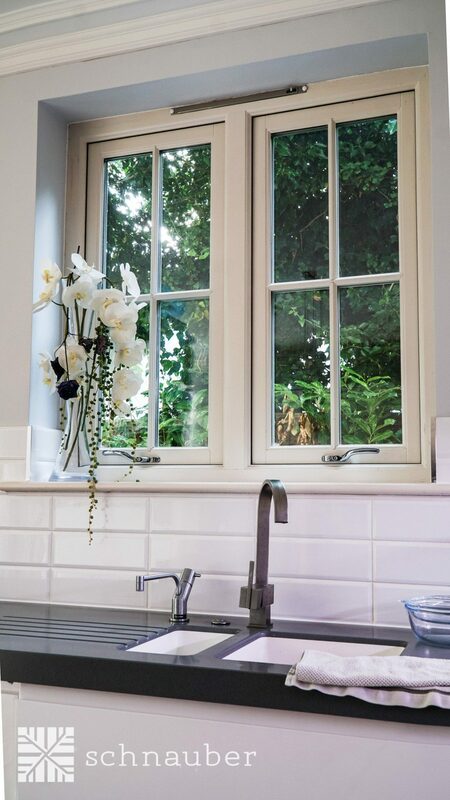 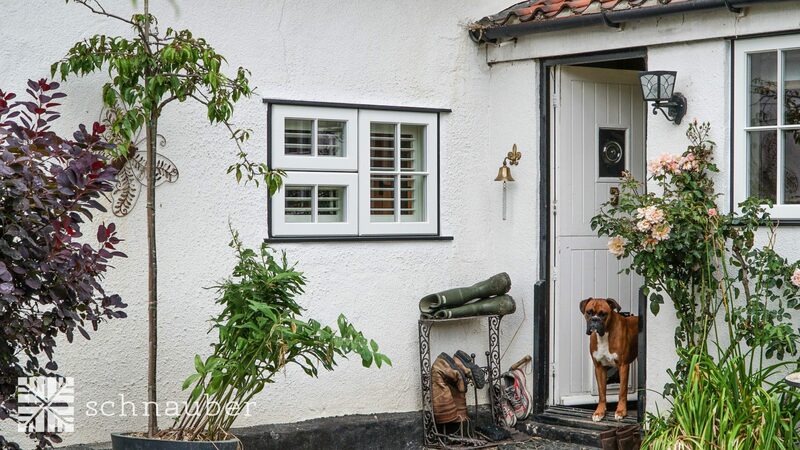 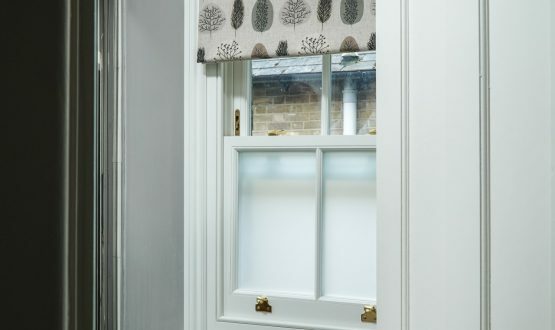 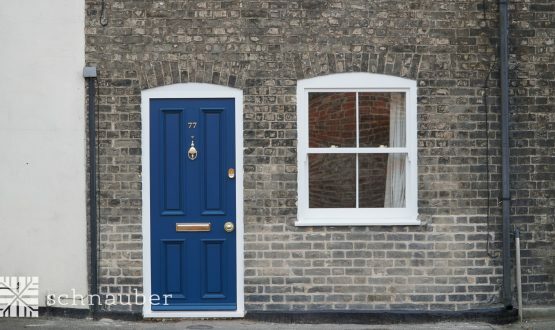 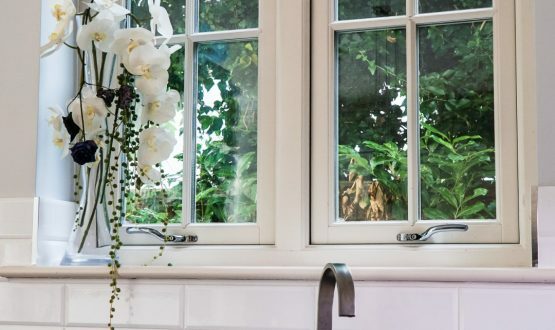 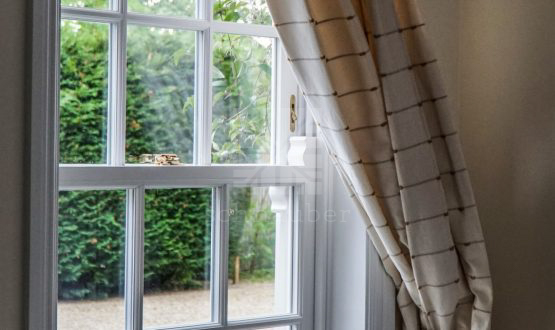 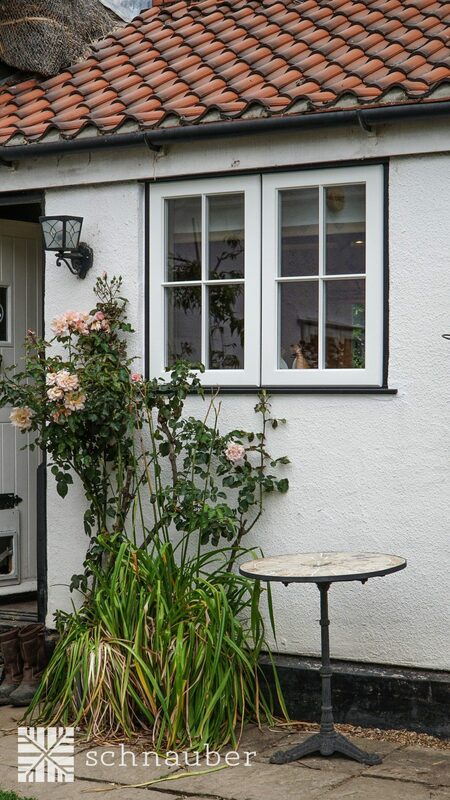 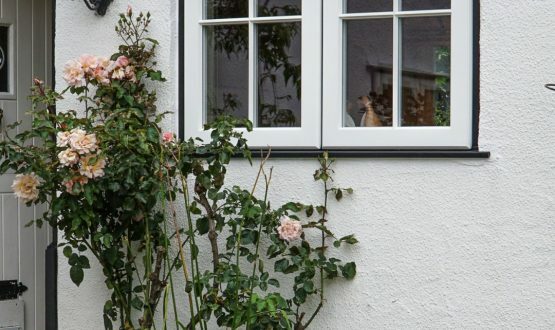 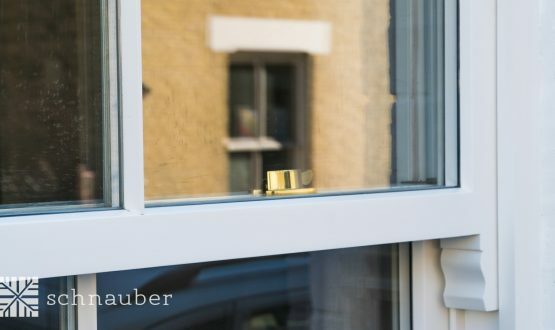 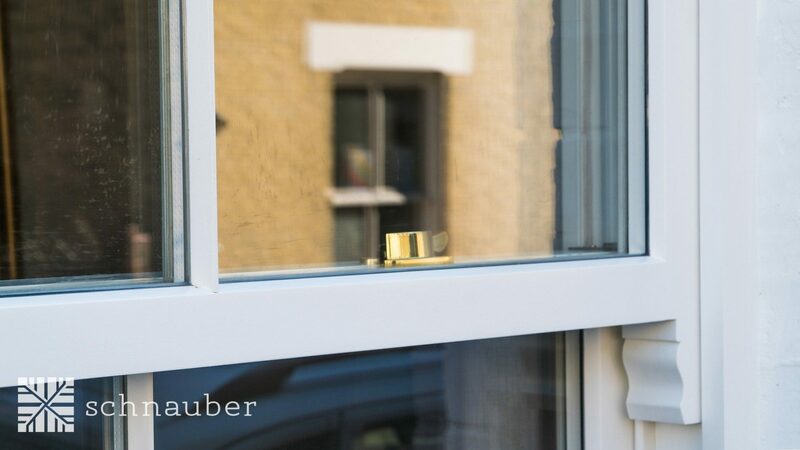 Every Schnauber bespoke timber casement window is made using high quality, water sealed finishes which means that they require very little maintenance. 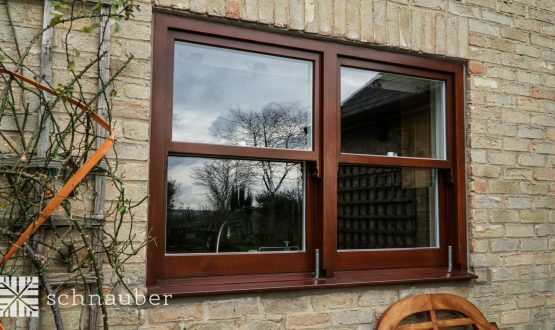 What is a timber casement window? 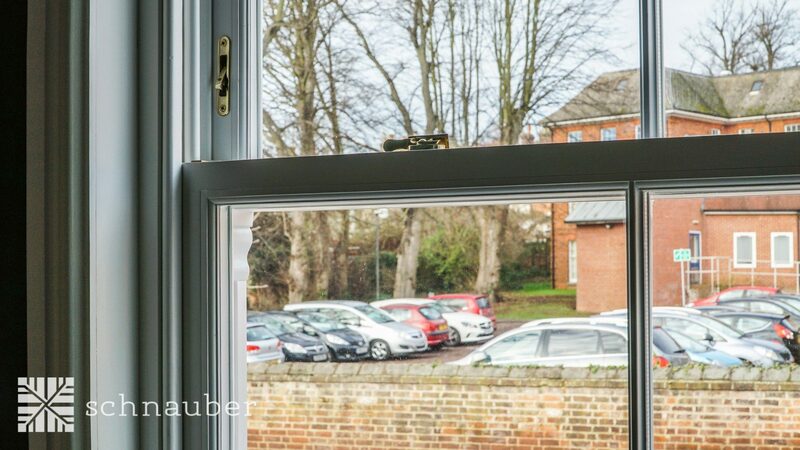 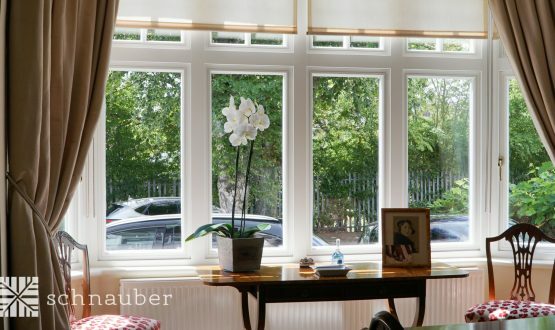 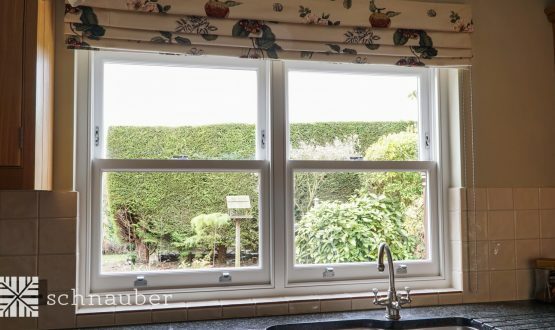 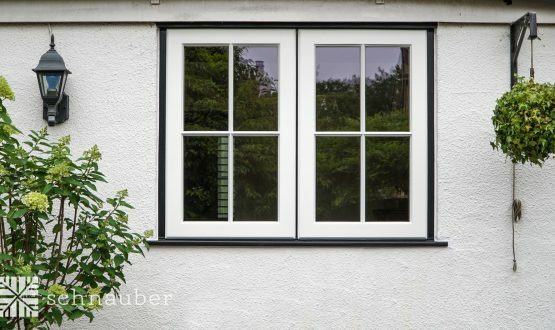 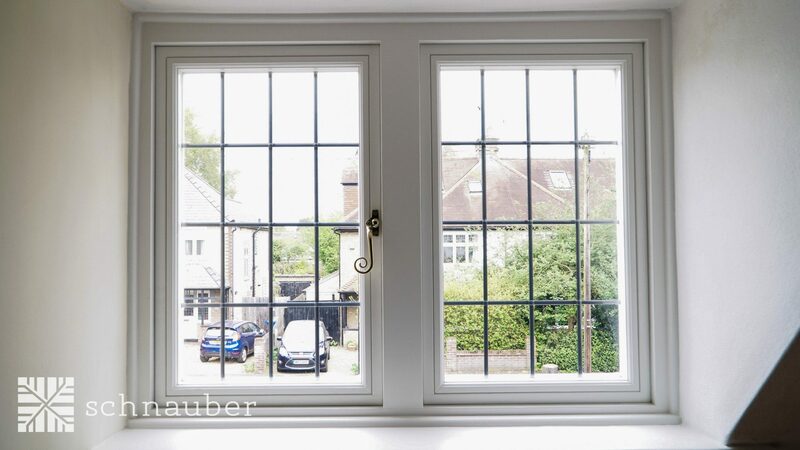 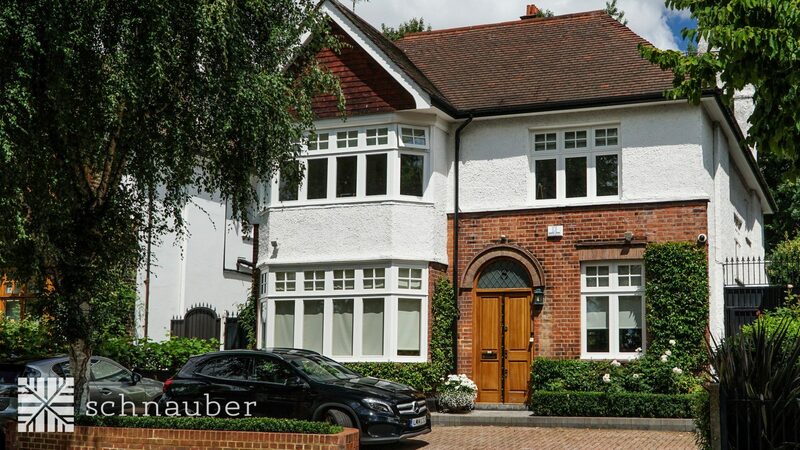 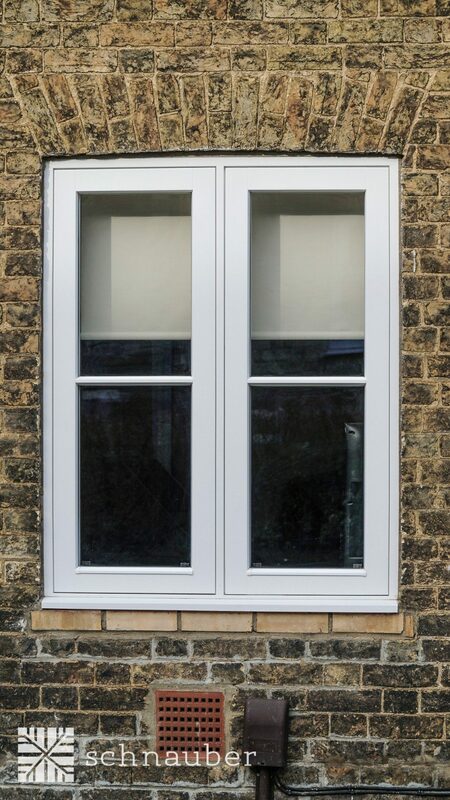 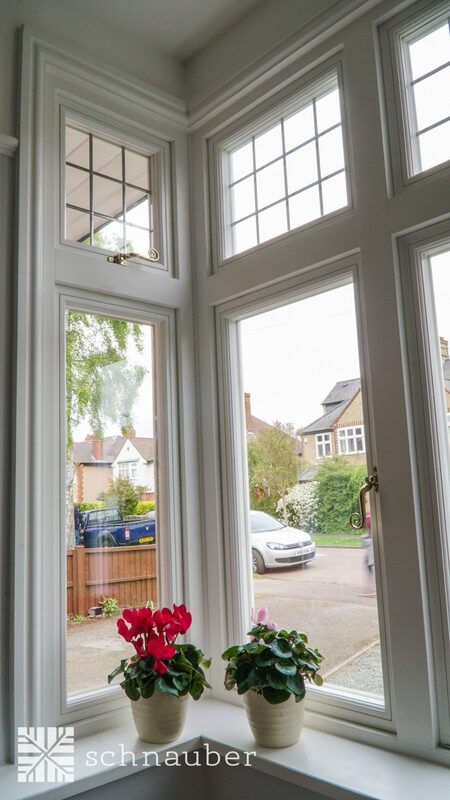 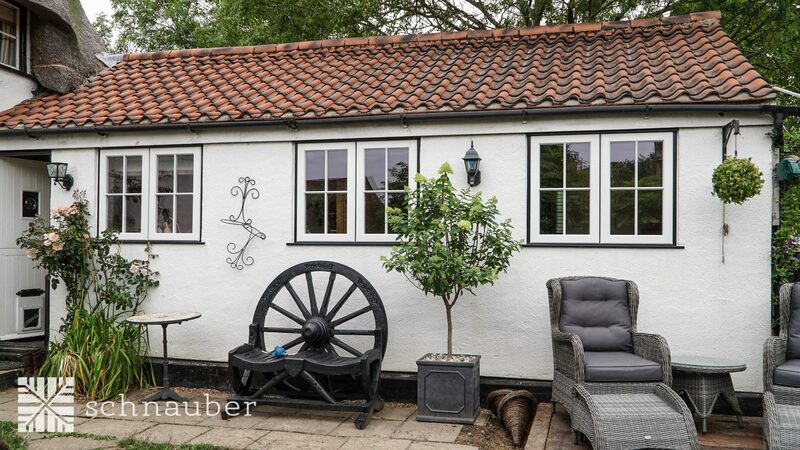 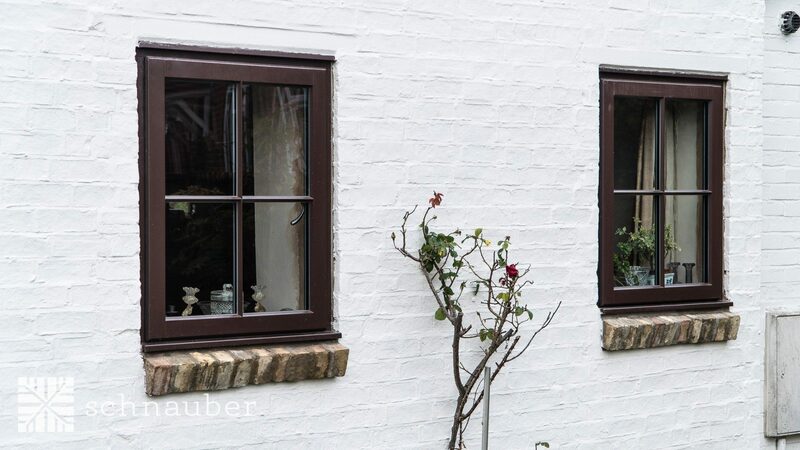 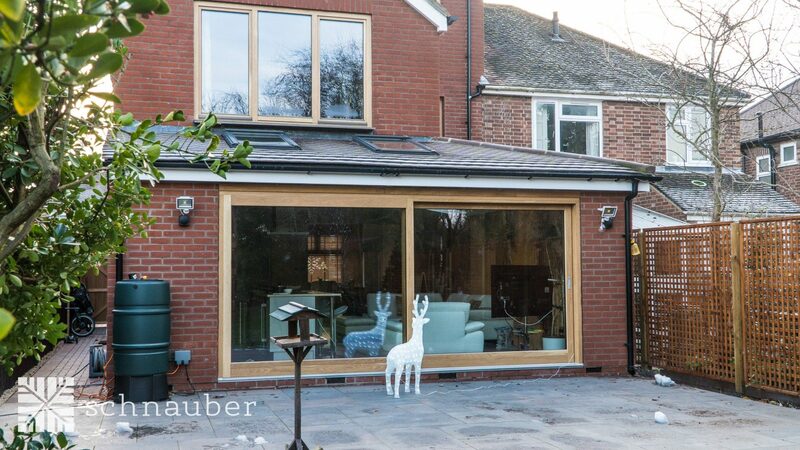 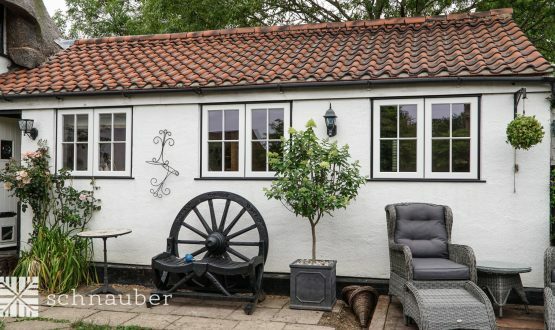 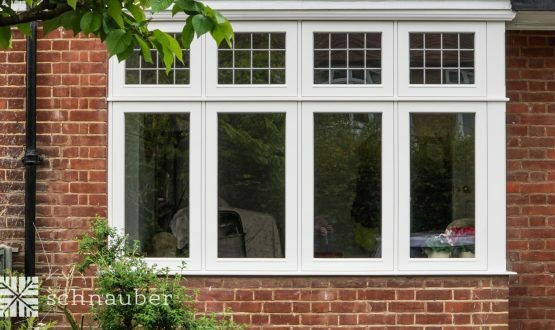 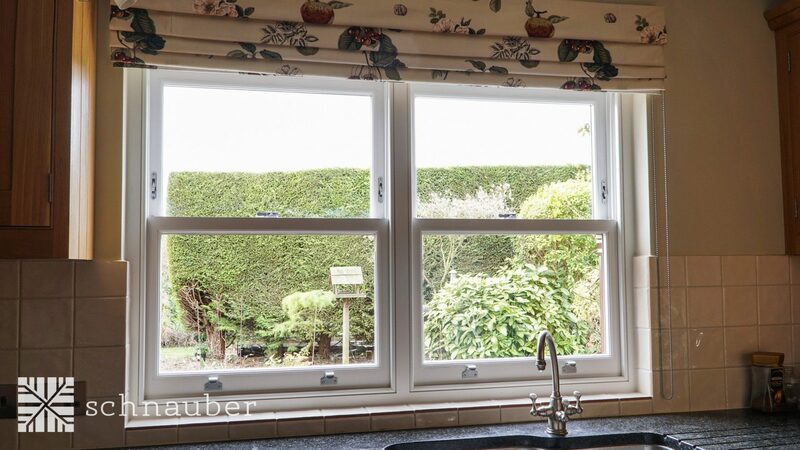 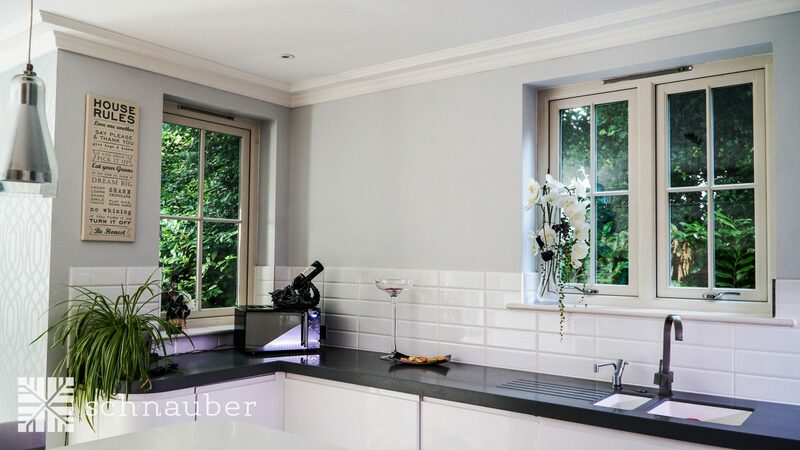 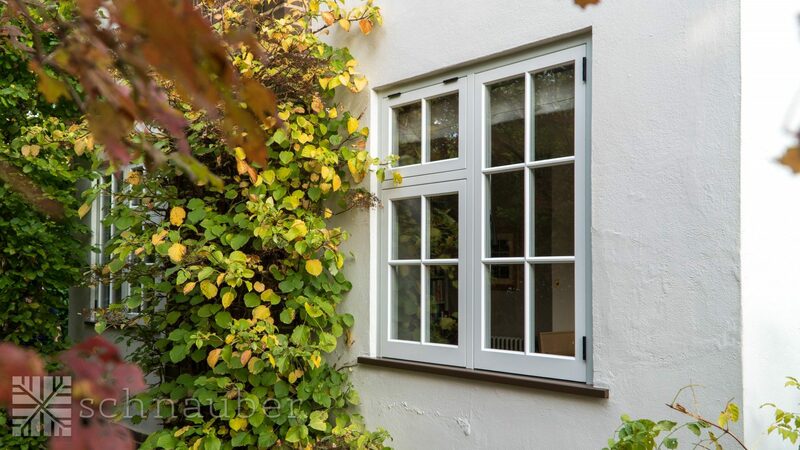 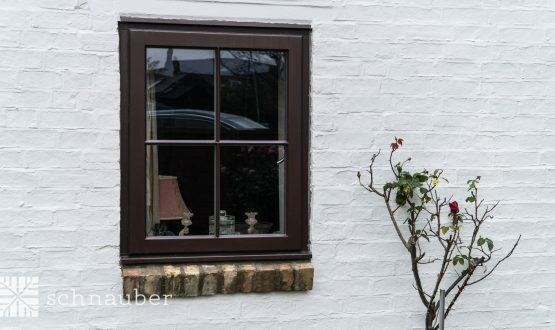 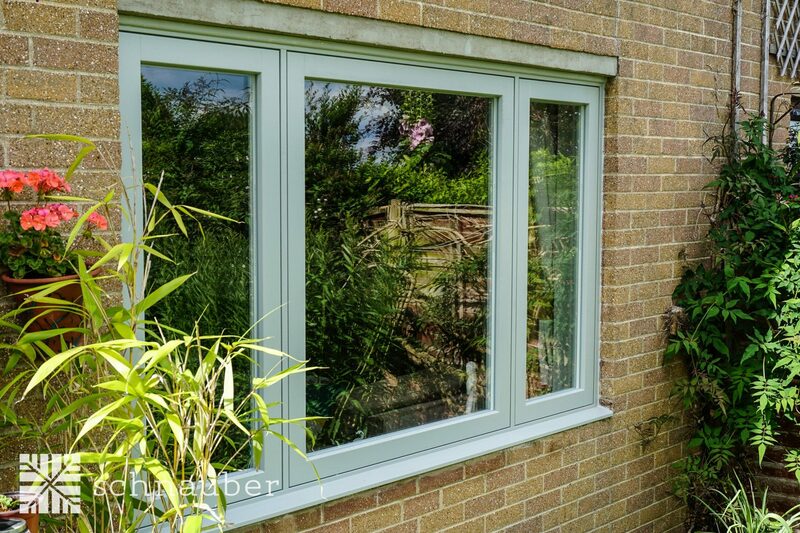 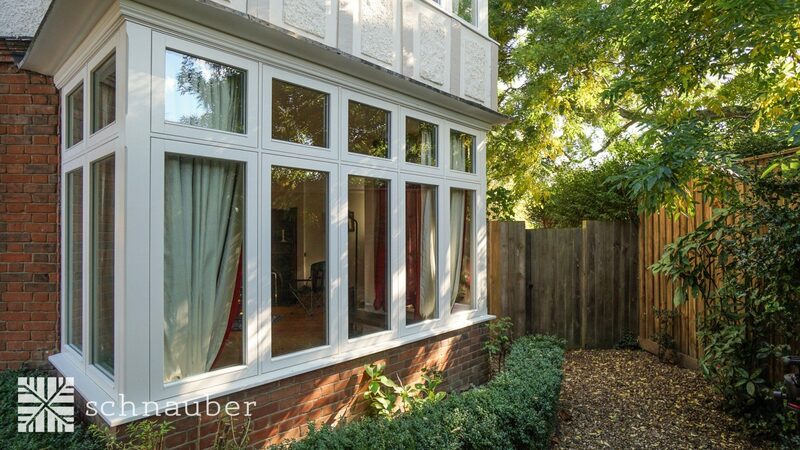 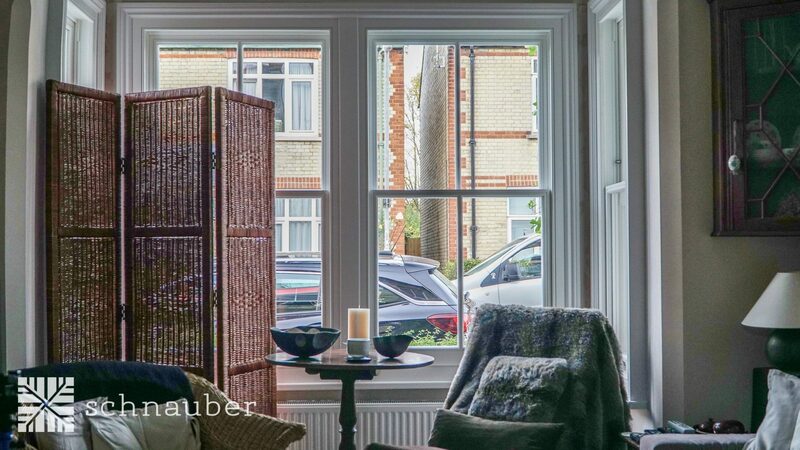 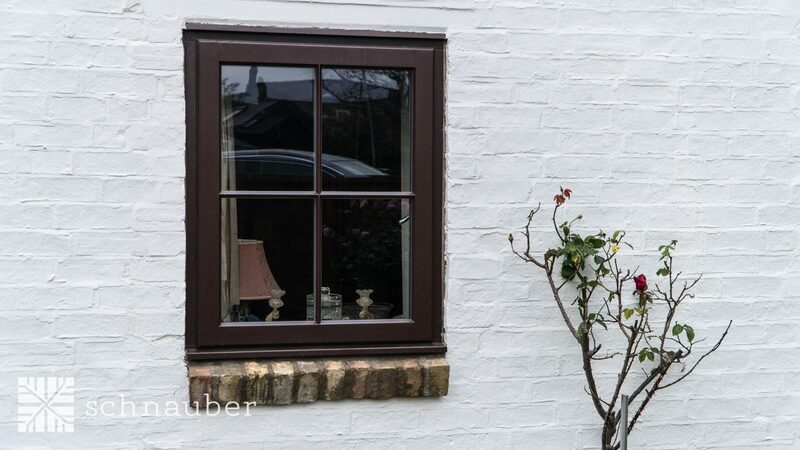 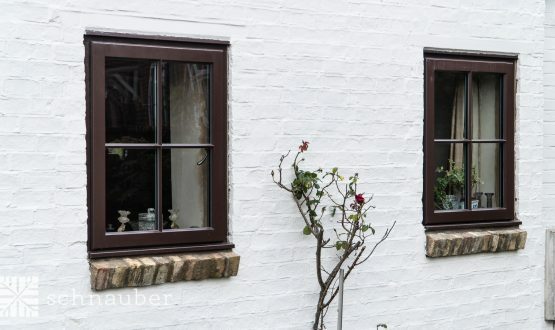 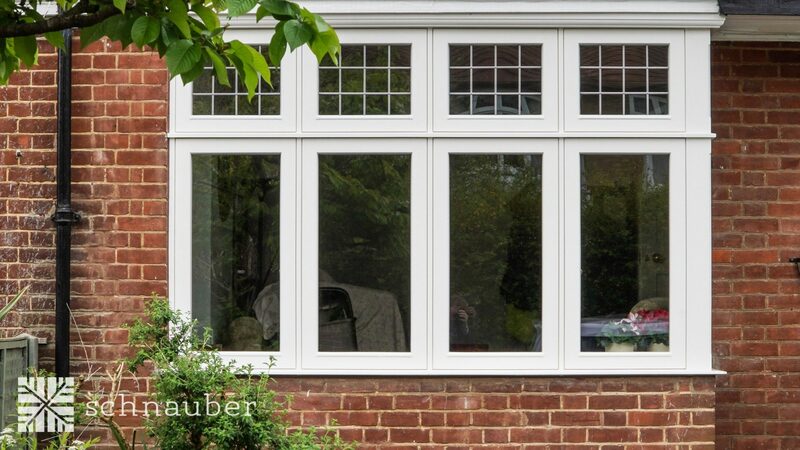 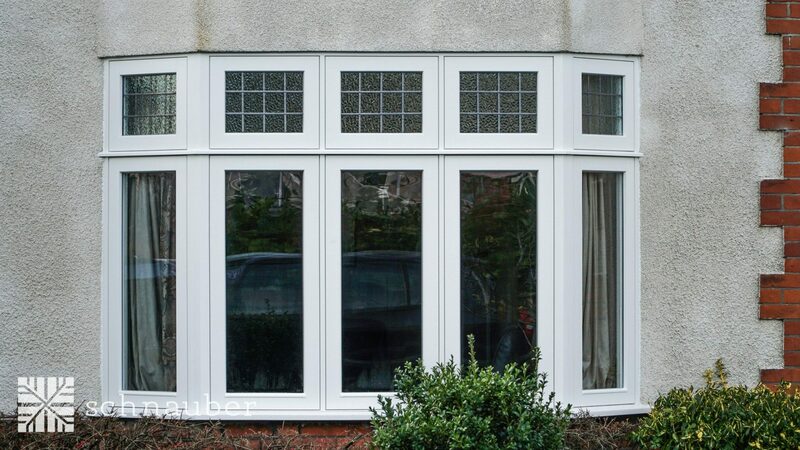 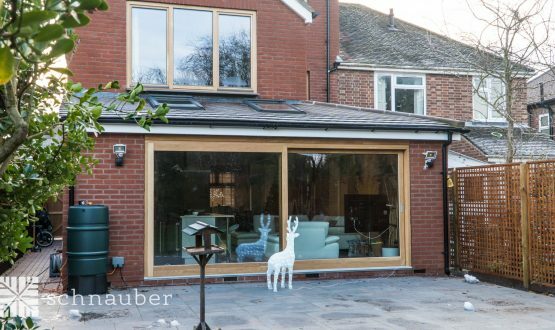 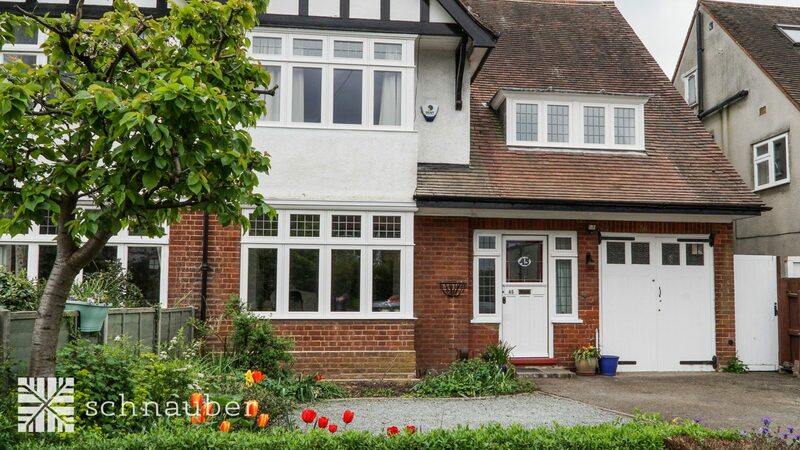 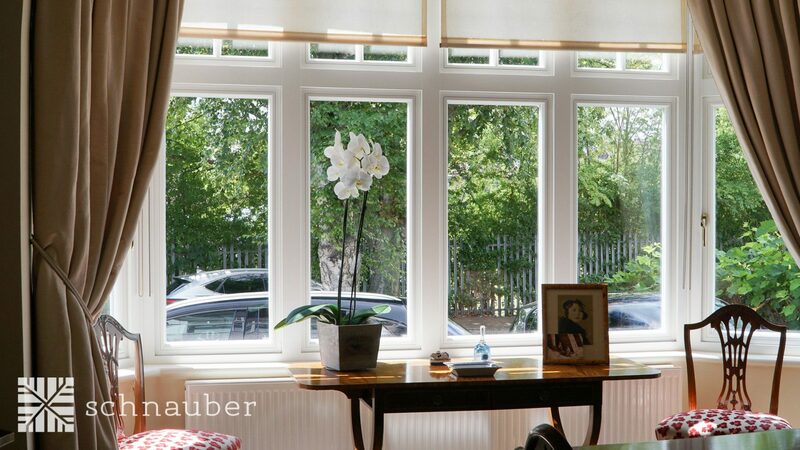 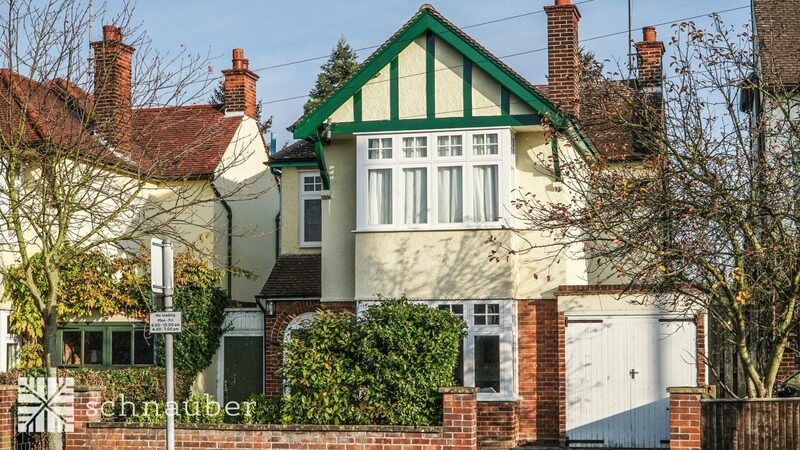 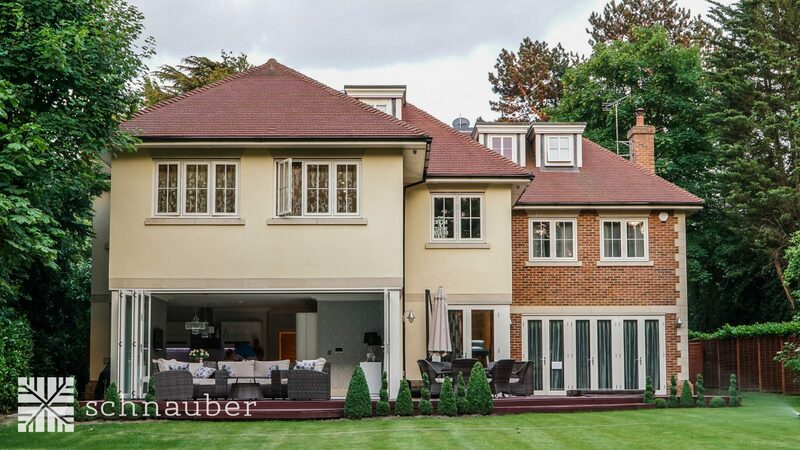 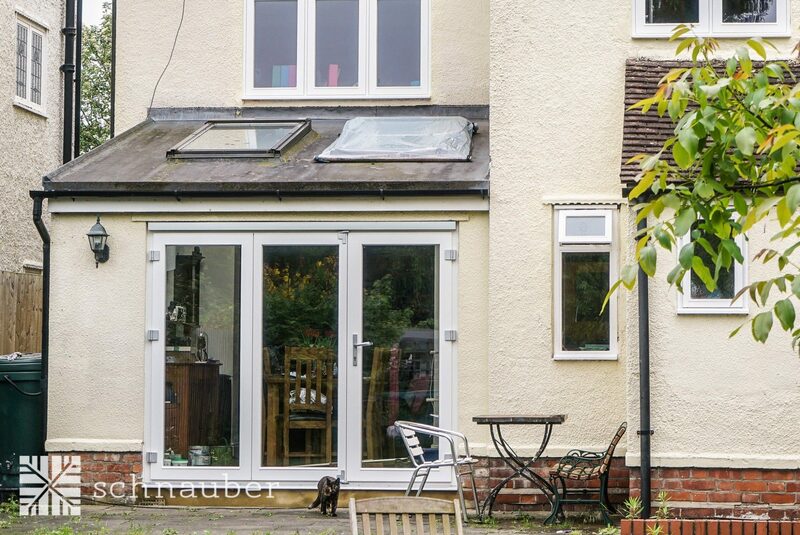 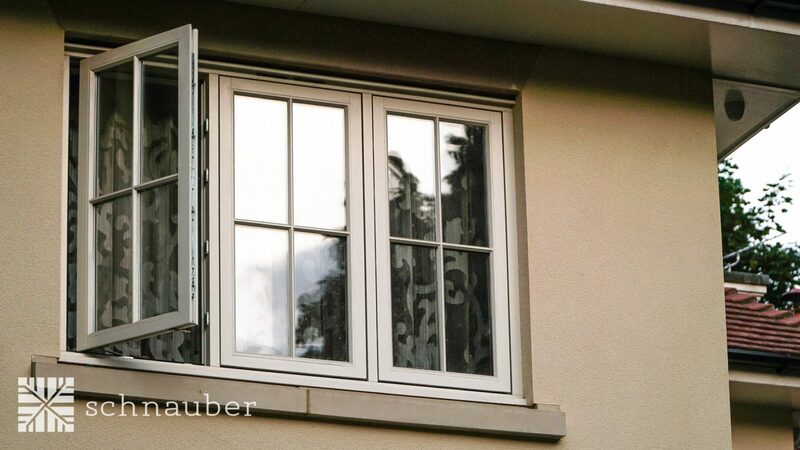 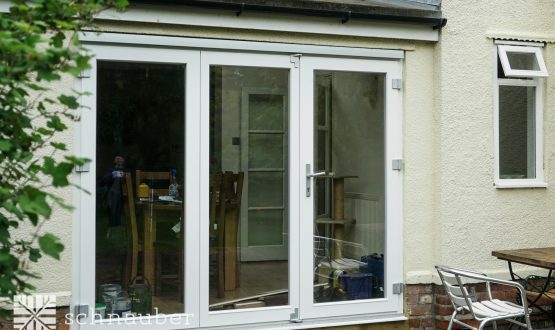 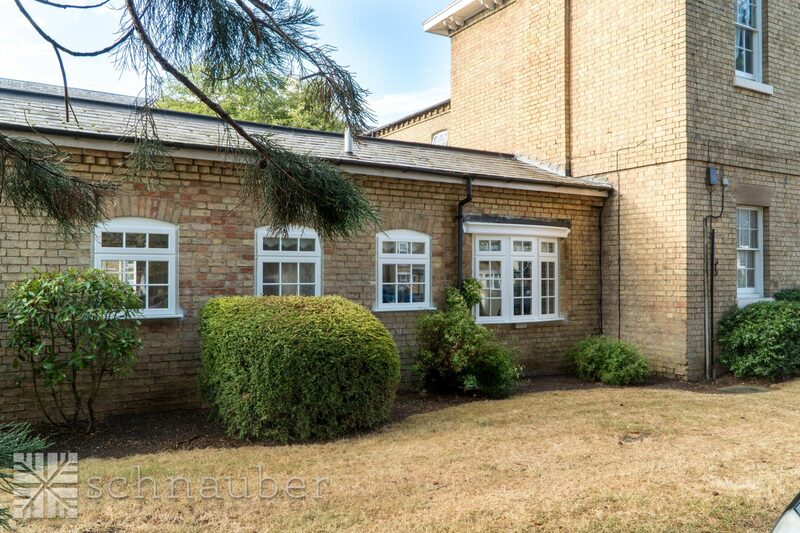 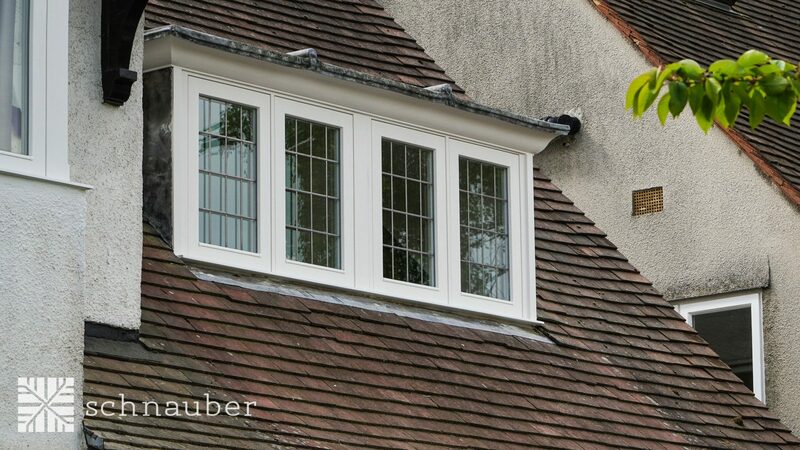 Schnauber’s timber casement windows are hinged on the side which means that they are very easy to open and close. 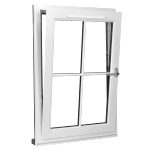 This style of window frame can open wide to provide maximum ventilation and light. 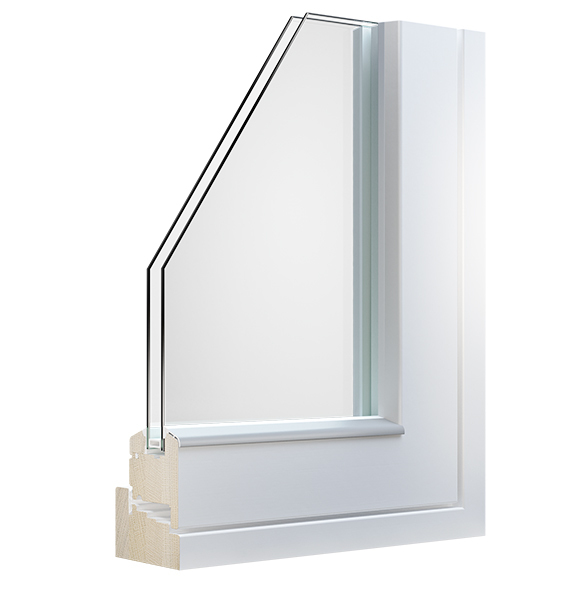 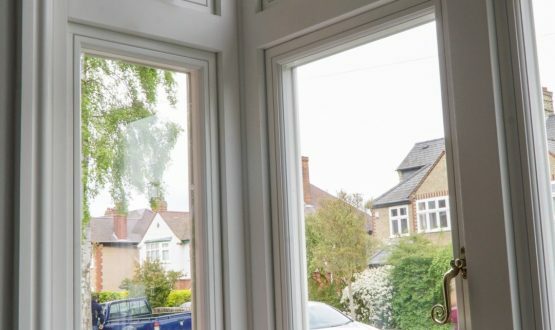 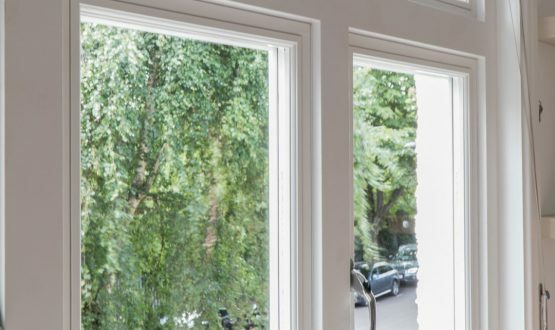 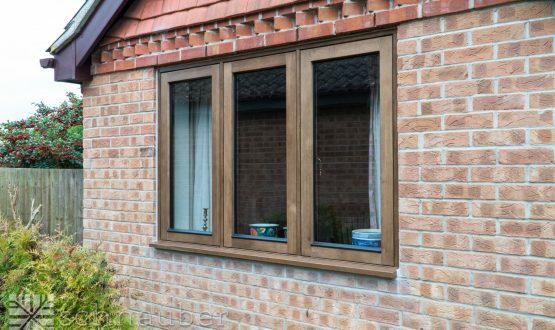 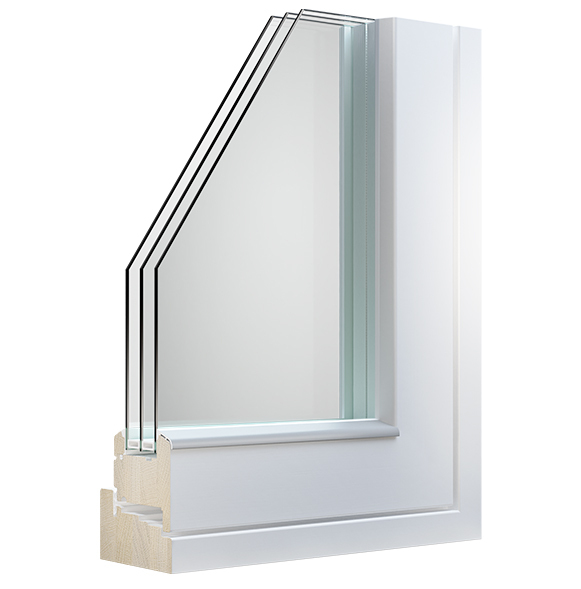 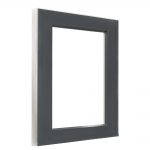 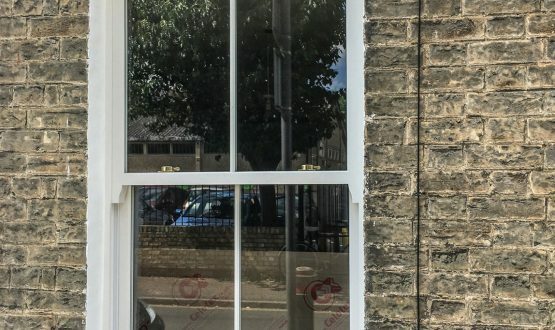 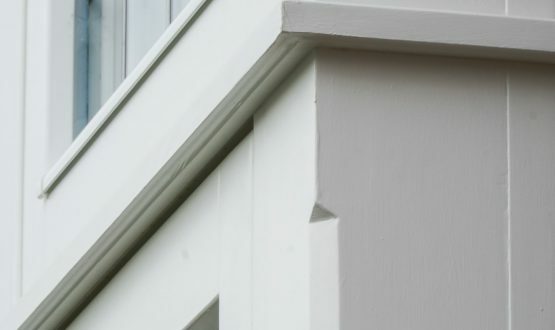 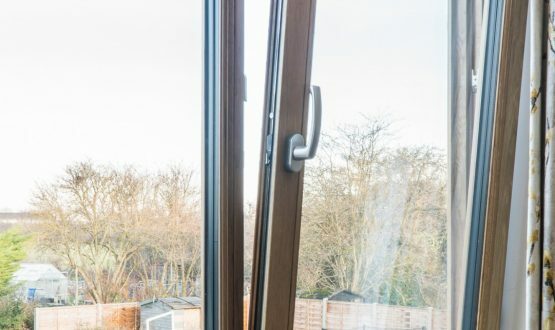 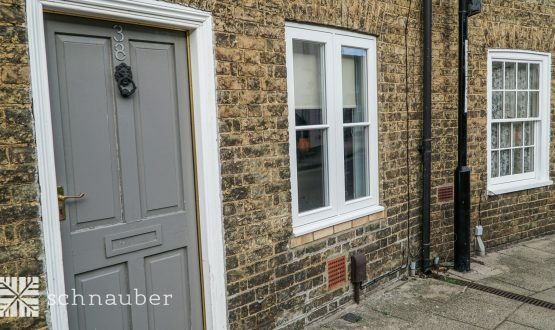 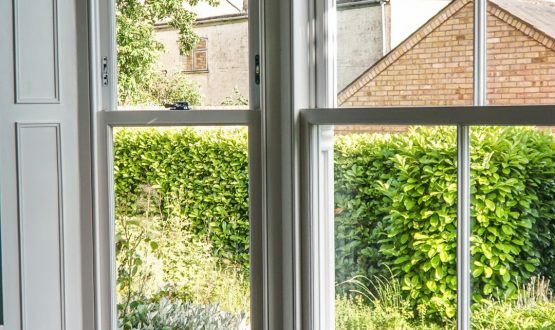 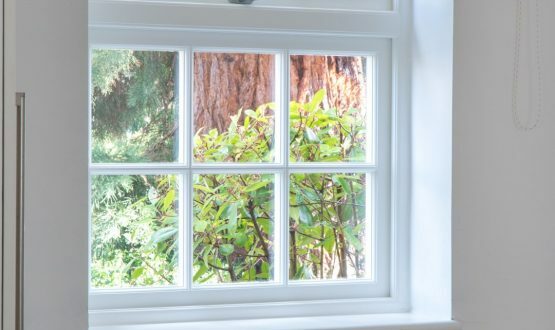 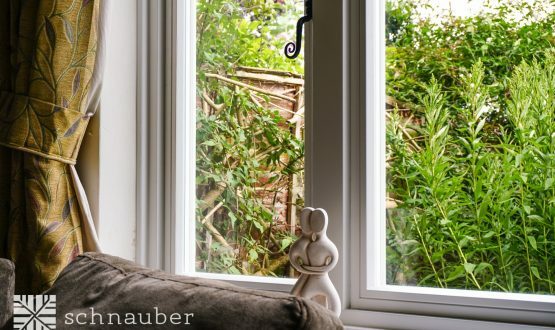 Where would I install a timber casement window? 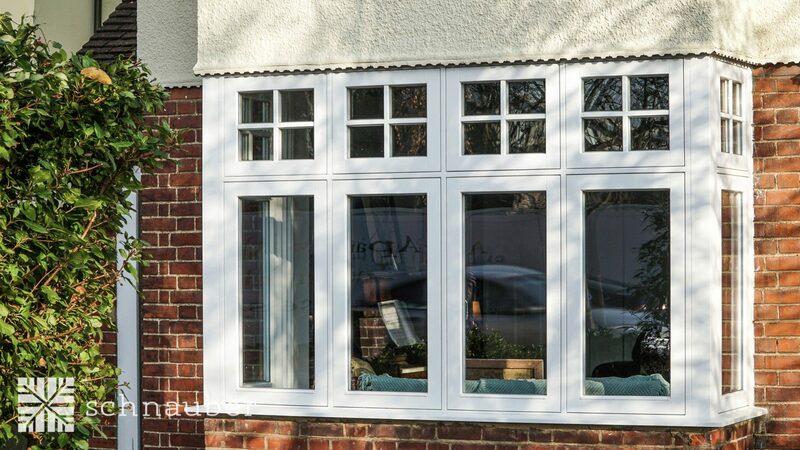 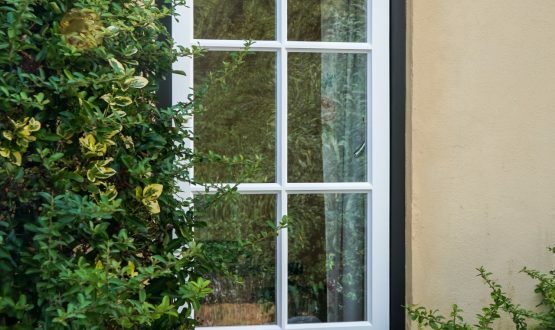 Casement windows are probably the most popular style of timber windows for our residential customers as they suit any type of property and come in many different designs. 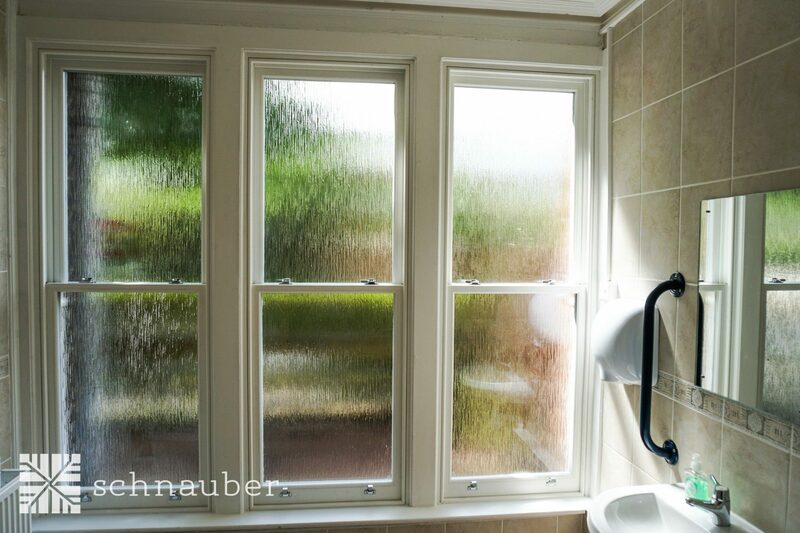 They are perfect for kitchens and bathrooms, where condensation typically occurs, as they provide good levels of ventilation. 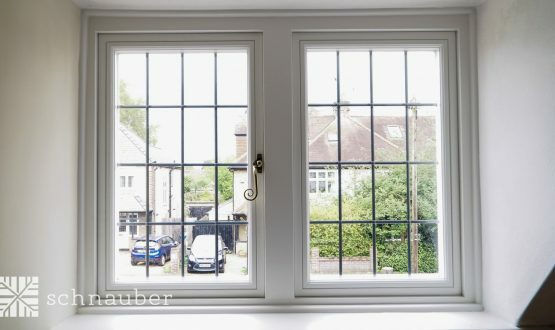 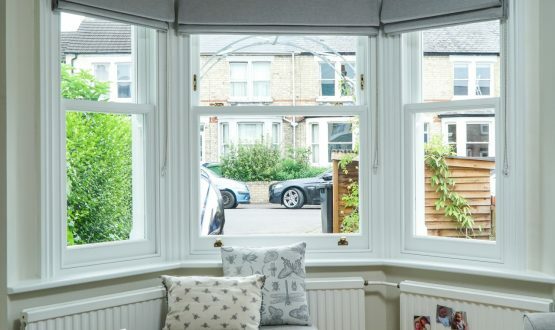 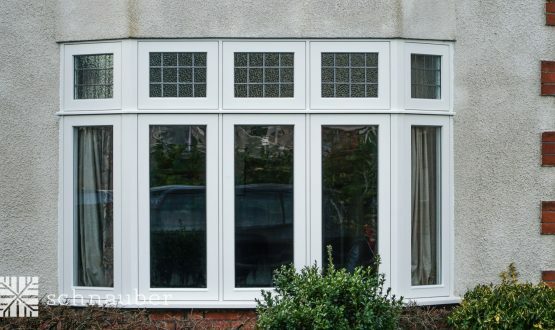 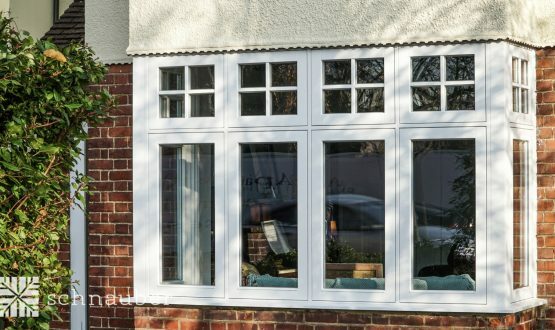 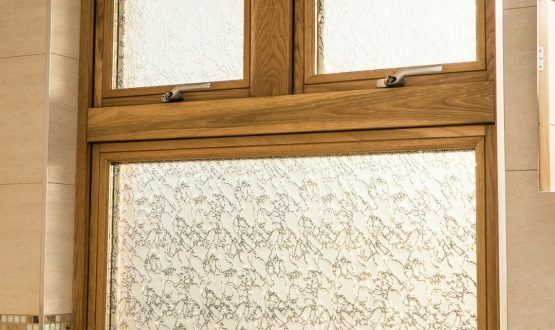 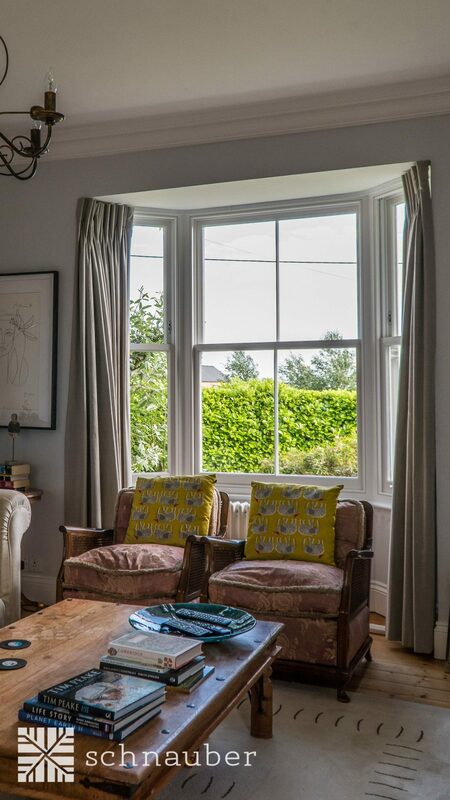 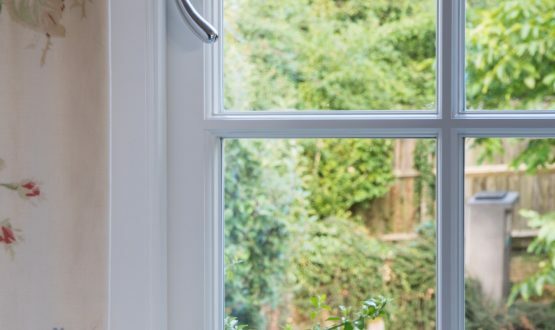 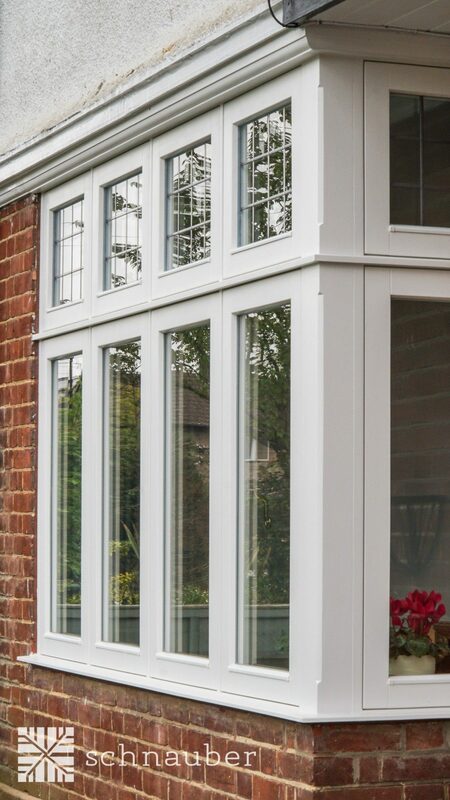 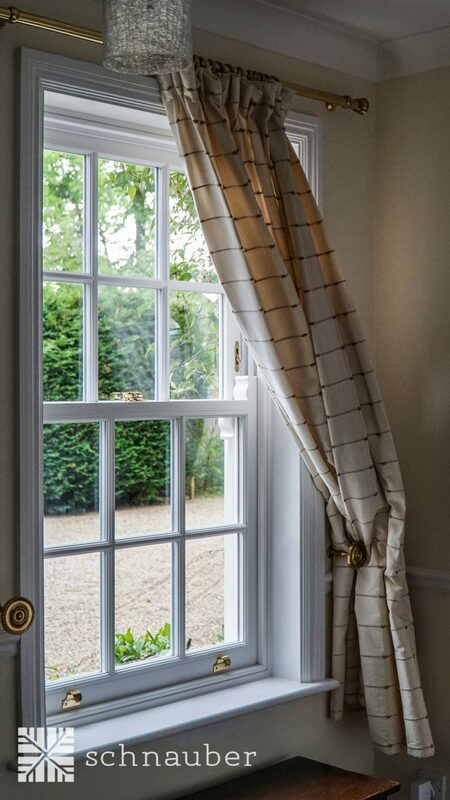 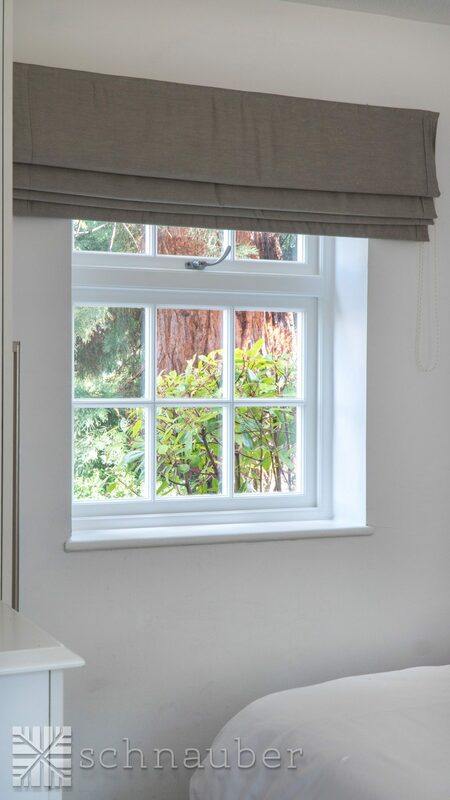 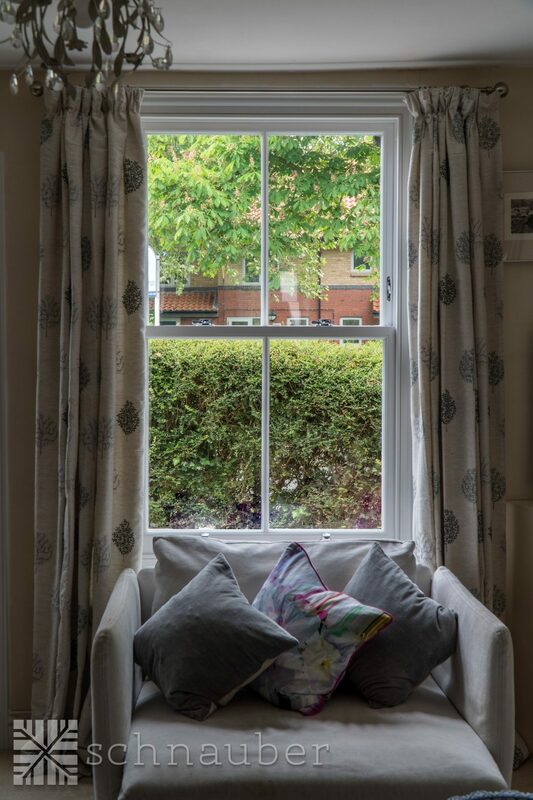 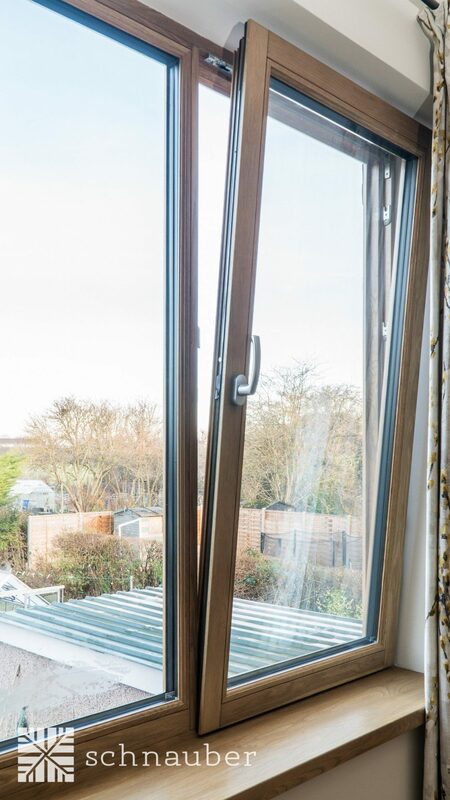 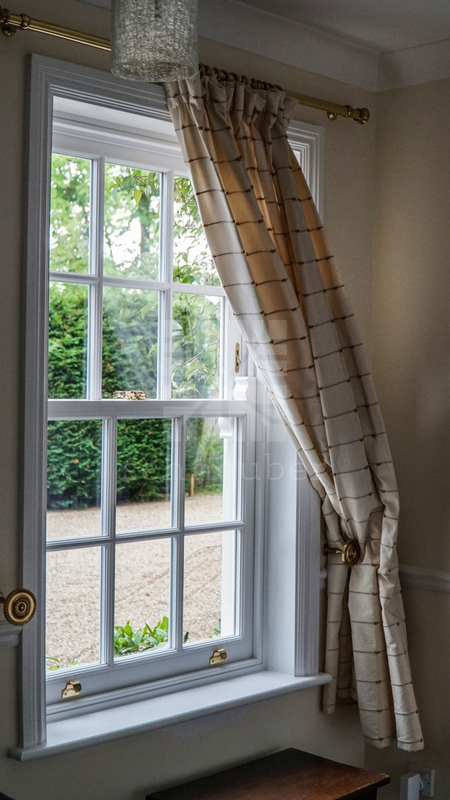 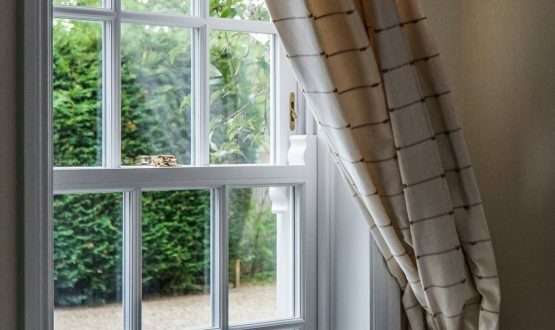 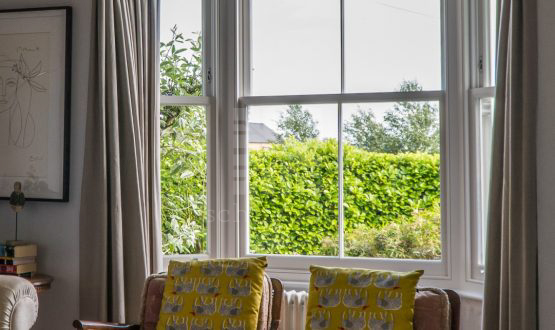 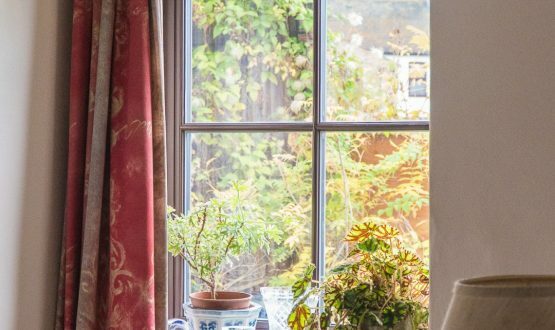 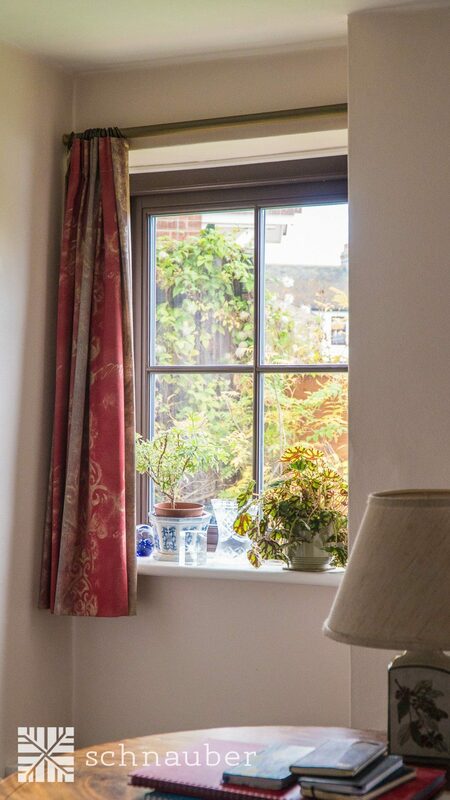 Unlike other forms of windows, casements also provide adequate means of escape in bedrooms and living areas when positioned in accordance to the Building Regulations, Part B, Approved Documents. 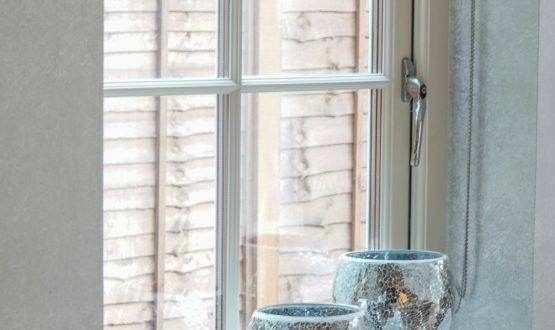 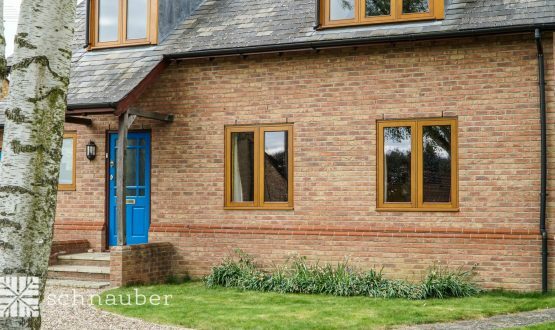 Why would I choose timber casement windows? 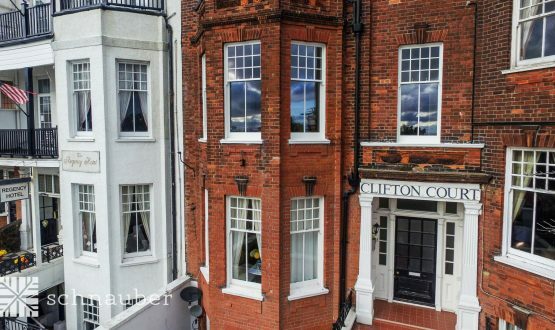 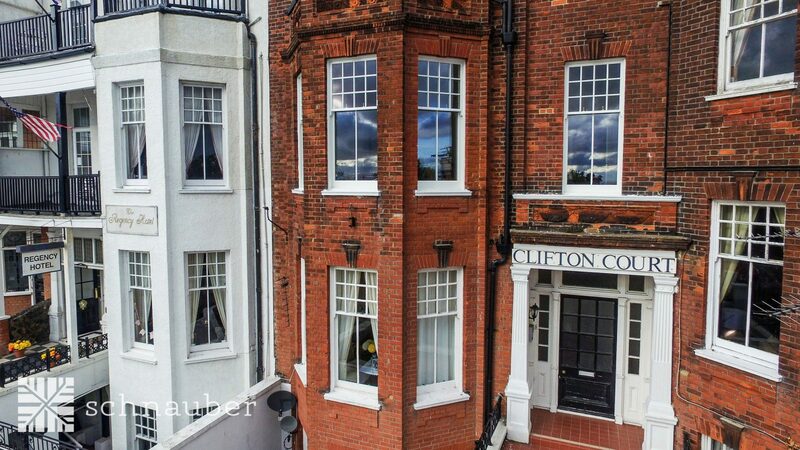 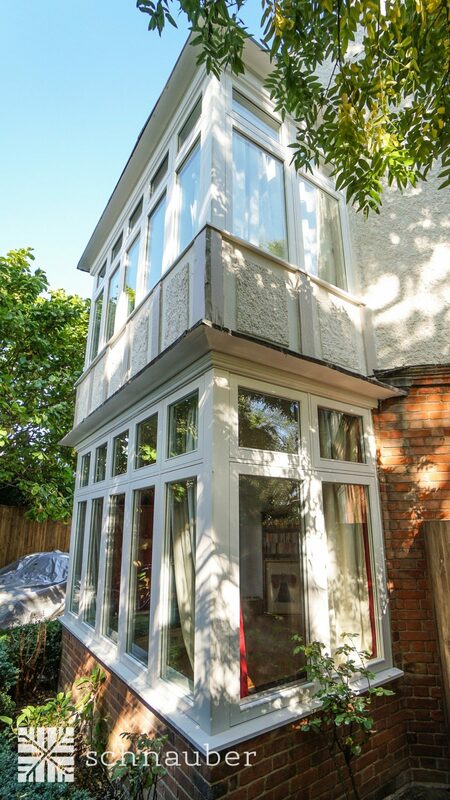 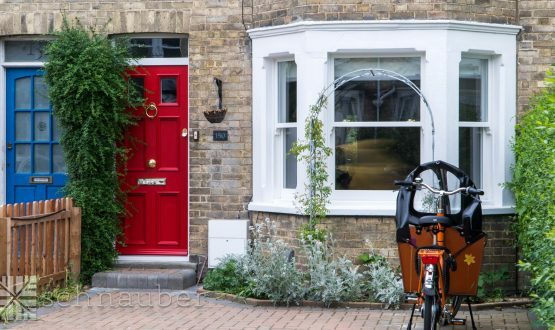 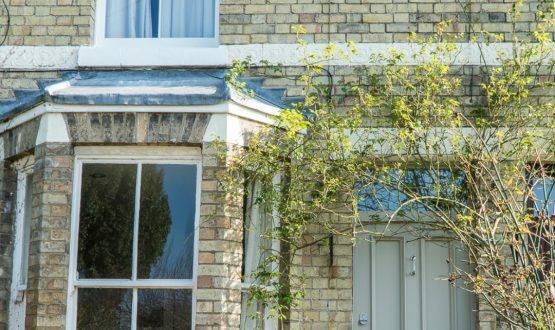 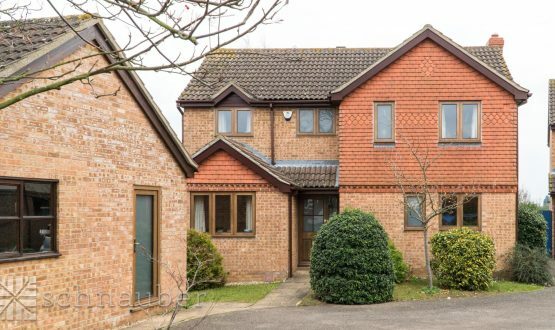 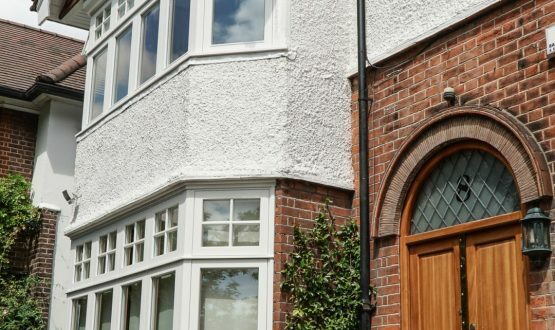 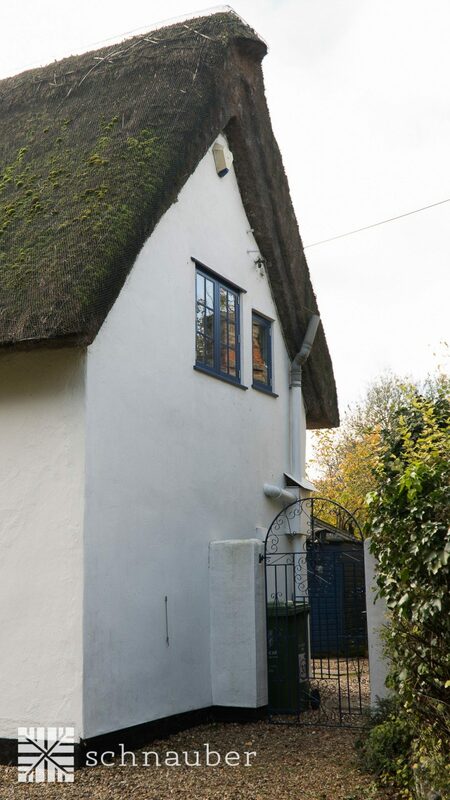 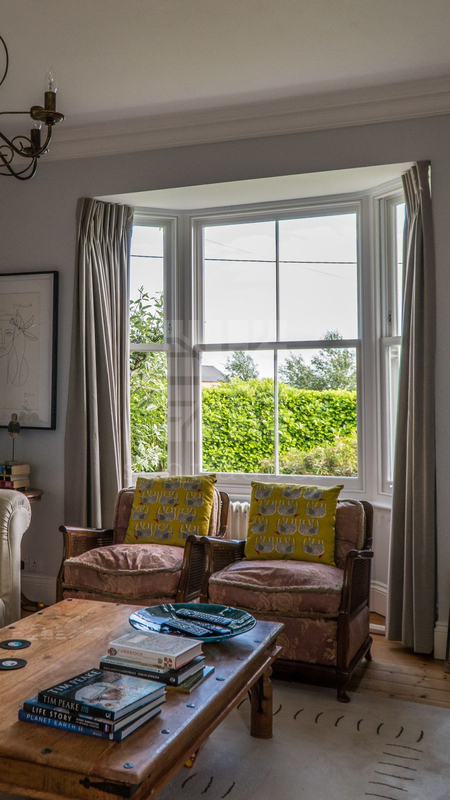 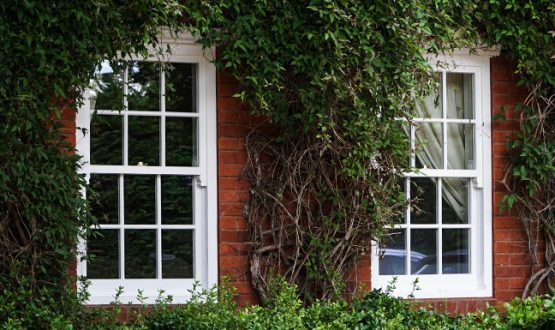 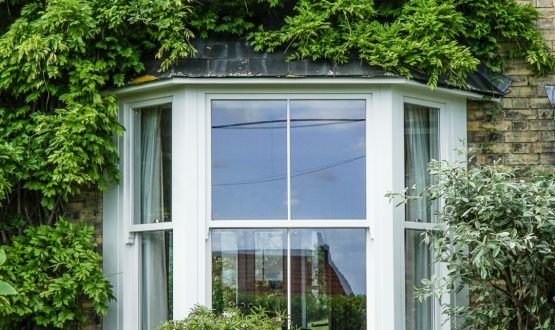 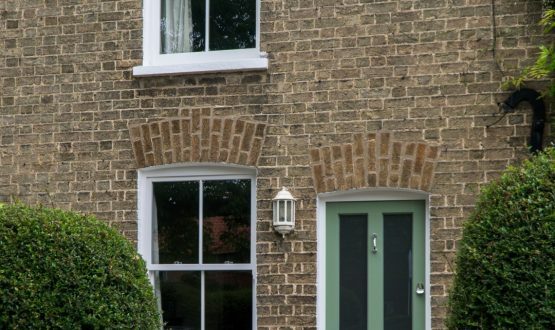 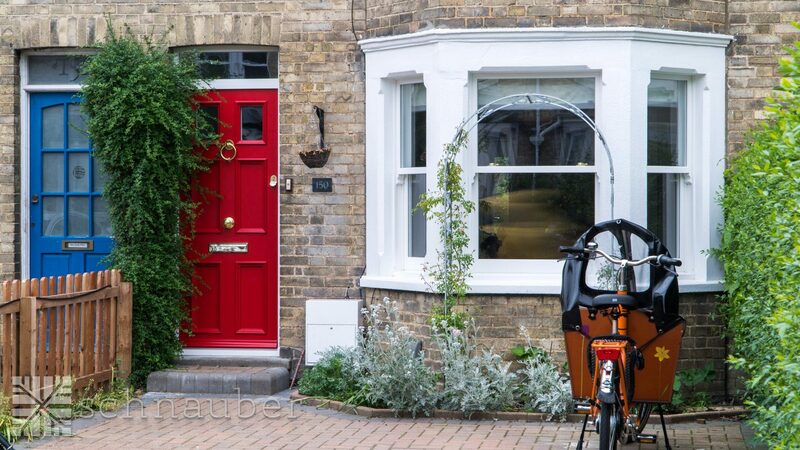 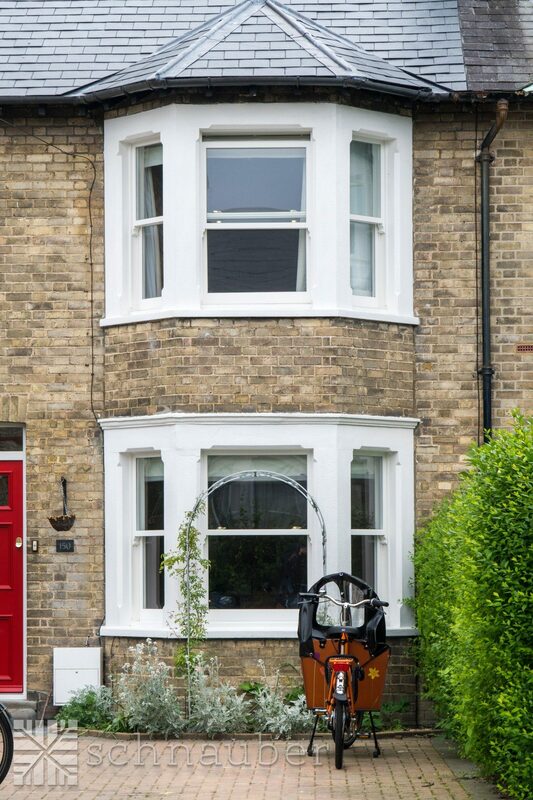 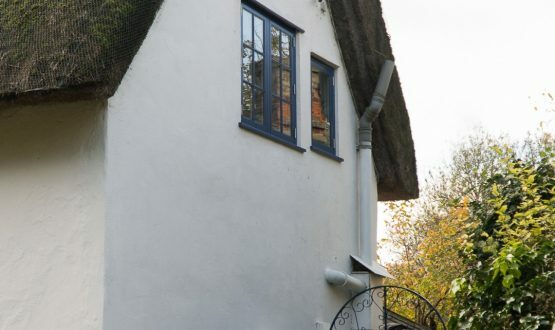 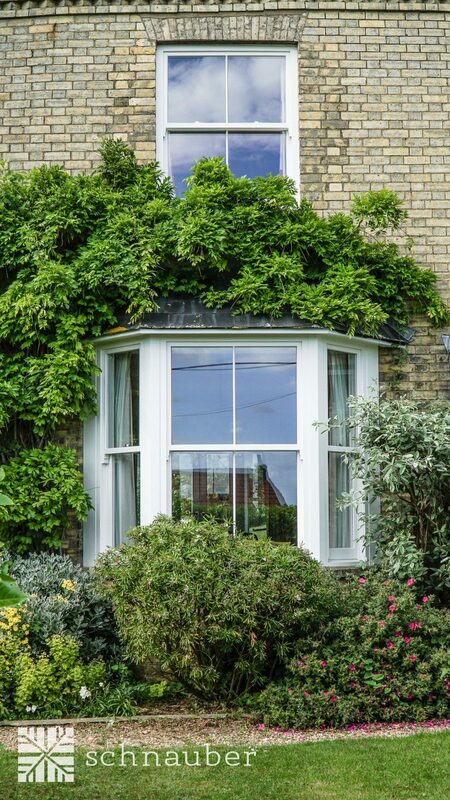 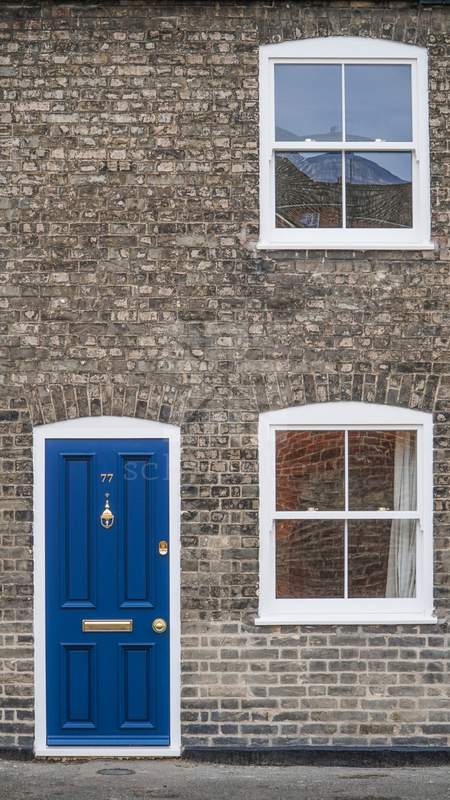 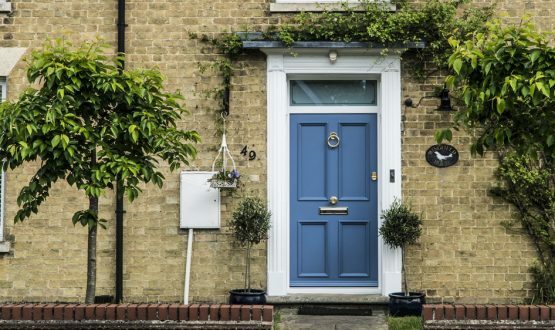 If you are looking for a traditional British aesthetic or your dwelling is within a conservation area which typically requires timber windows. 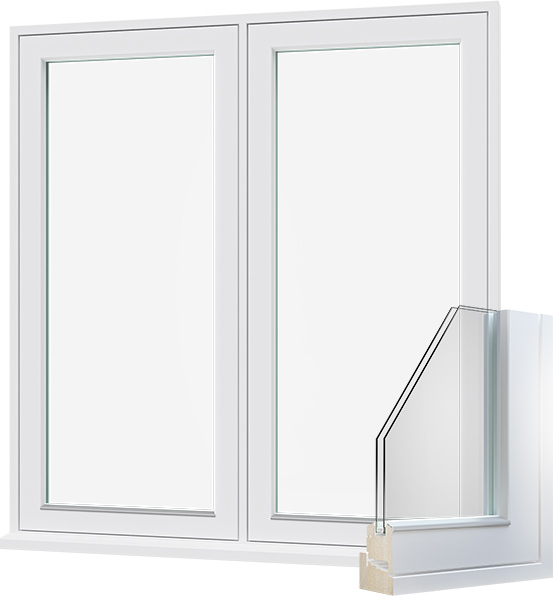 If you are looking for energy efficiency. 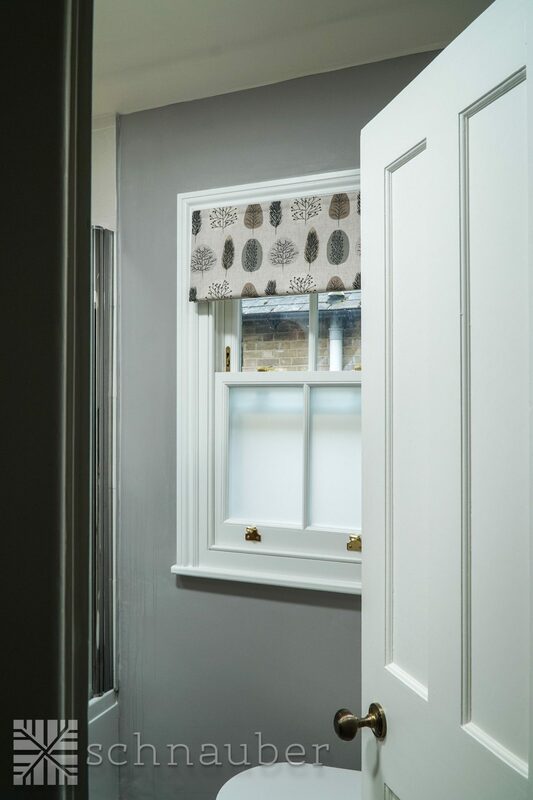 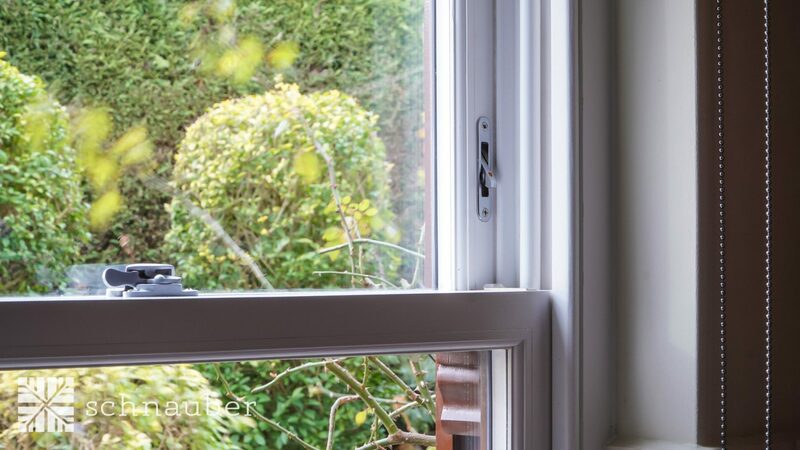 Casement windows are energy efficient as the window sash presses against the frame on closing to create an airtight seal minimising air infiltration and thus keeping the warm in and the cold out! 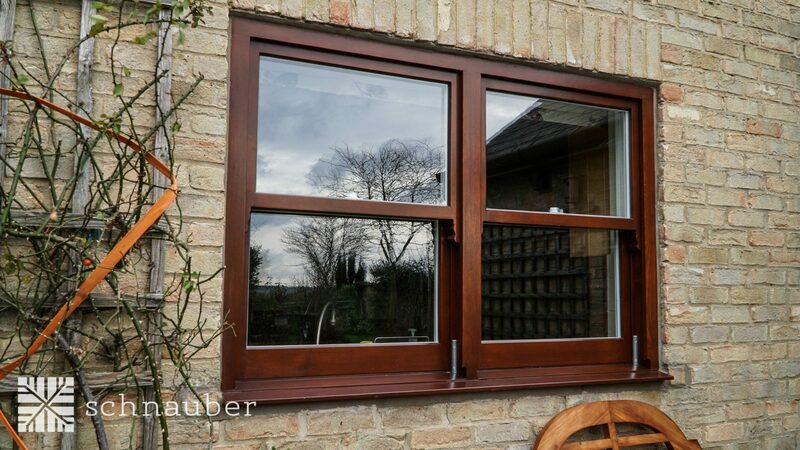 The ‘U’ Value can be further improved by opting for triple glazing to obtain a timber triple glazed window. 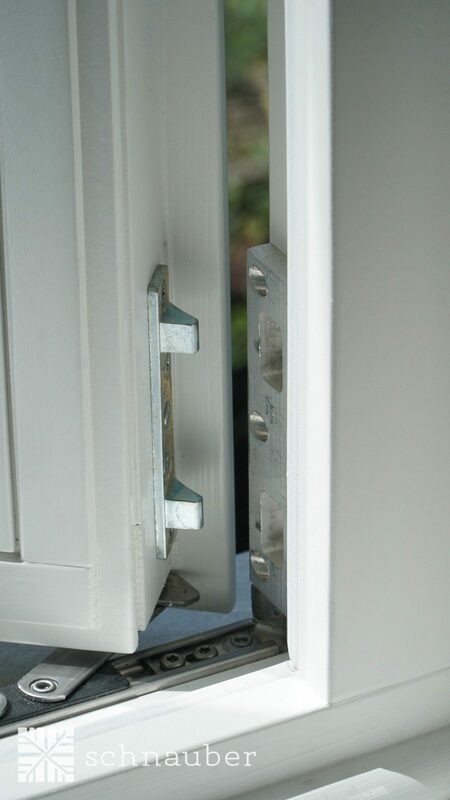 If you are looking for the highest levels of security. 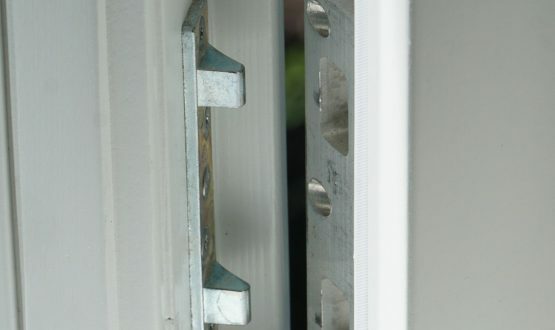 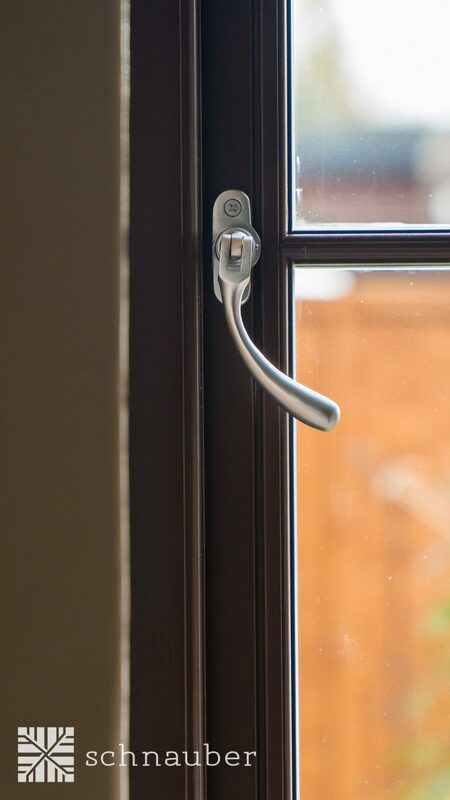 We use the latest in locking technology to ensure the security and integrity of your casement wooden windows. 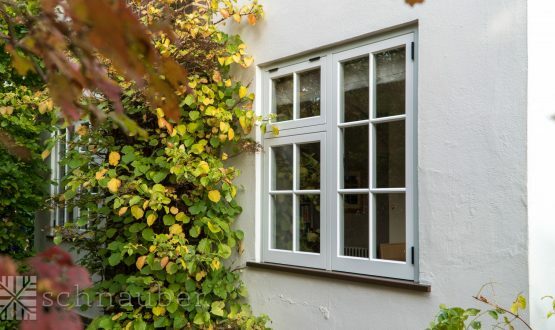 What options are available for my wooden casement windows? 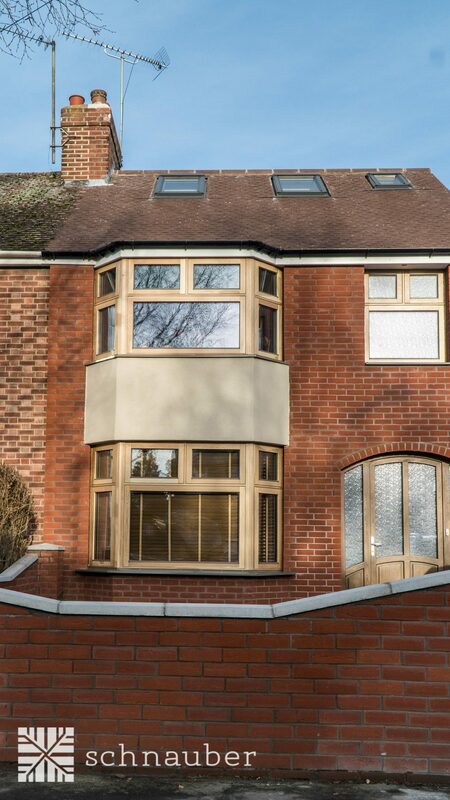 Choice of engineered hardwood finishes. 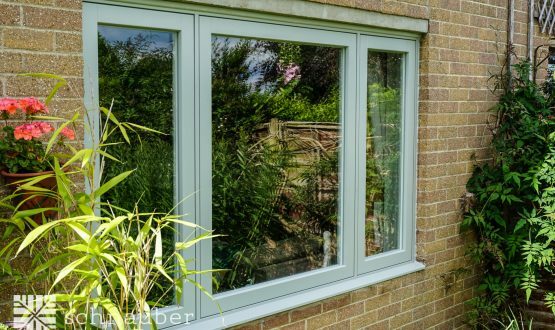 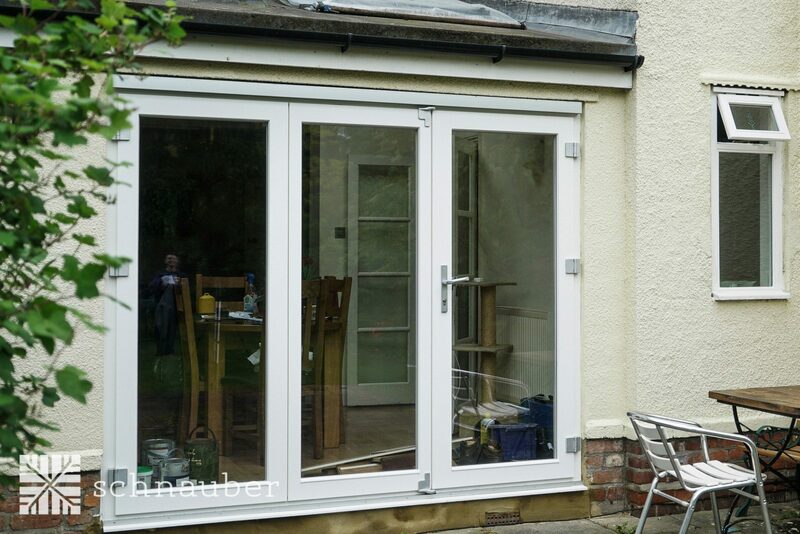 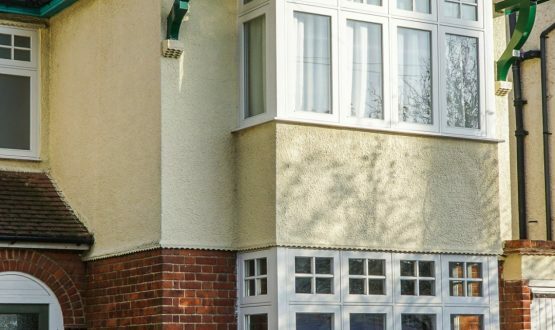 Available in an unlimited range of colours using the latest environmentally friendly water resistant paint technology for both the external and internal aspects of the casement. 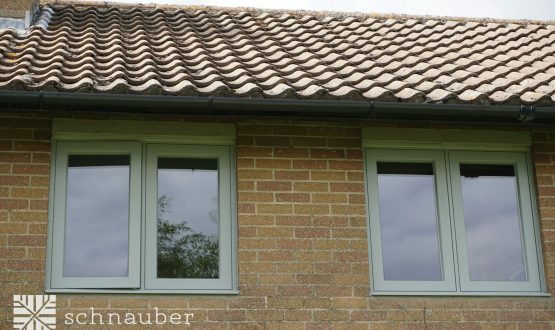 The colours can also be matched to RAL colour codes to ensure a consistency in appearance to rainwater goods, fasciae and soffits. 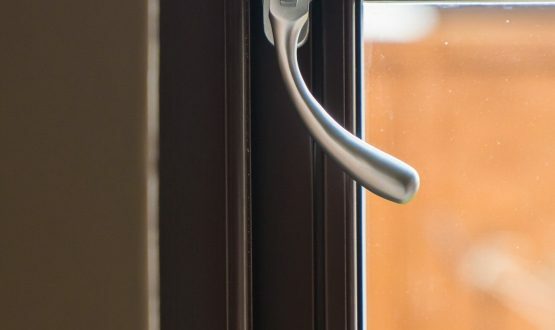 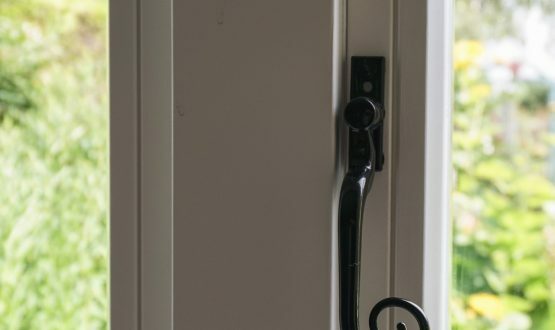 A wide selection of ironmongery including handles and fittings in a variety of materials such as polish chrome, brushed chrome, brass or black steel to suit the interior design of the property. 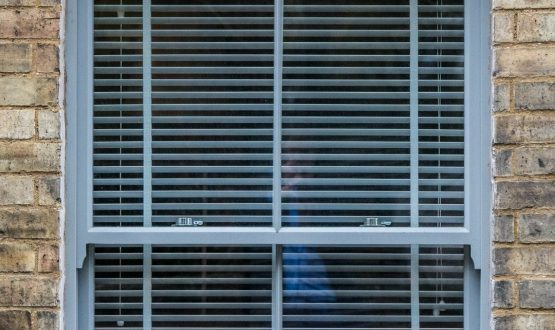 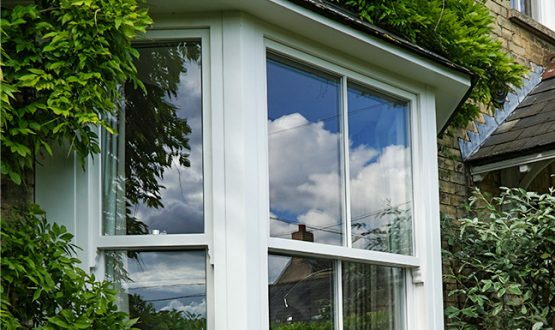 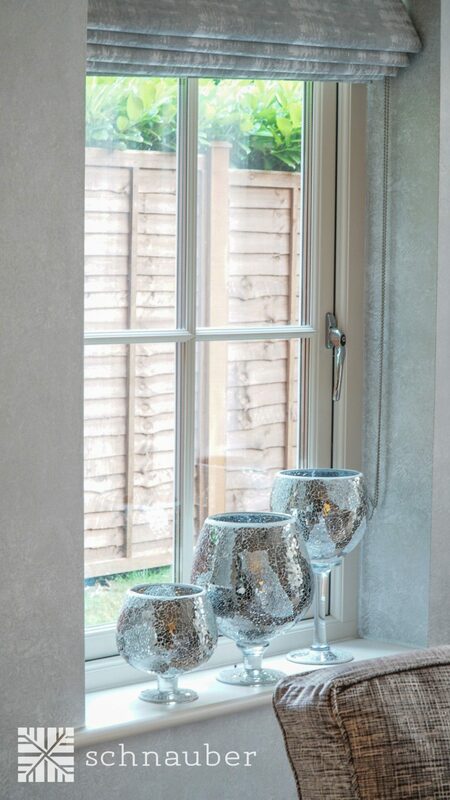 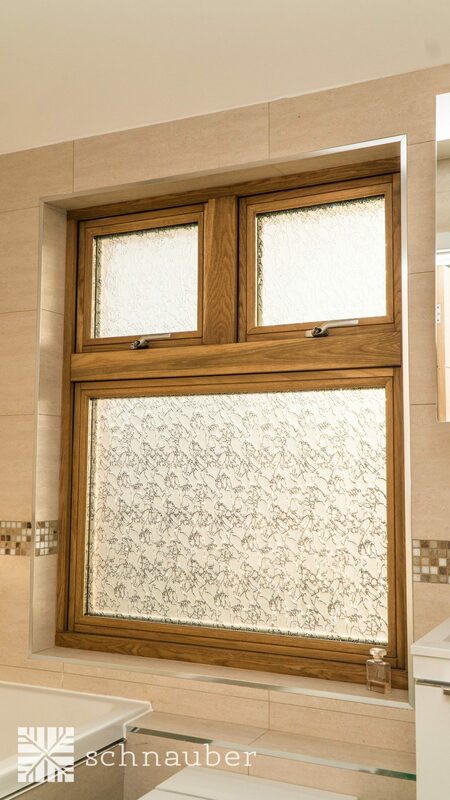 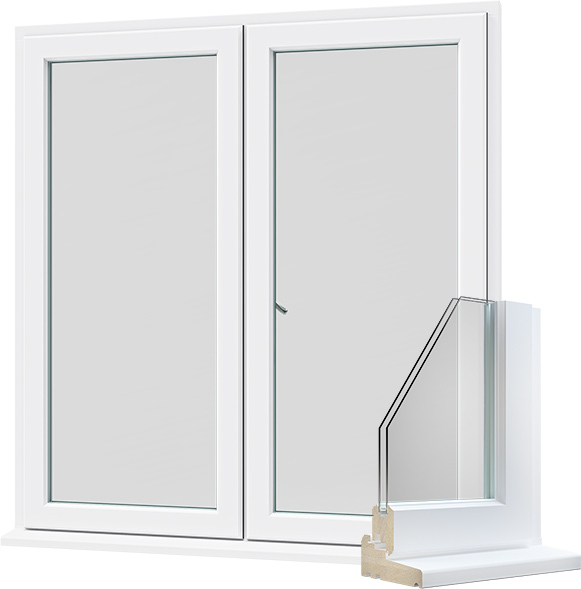 In addition the casement windows can be provided with a range of glass types including opaque glass, textured glass, solar control glass, toughen glass, security glass and noise reduction glass. 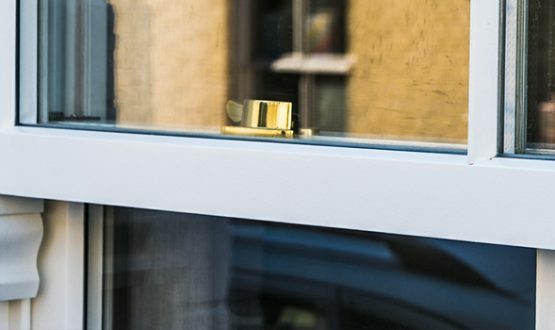 These glasses can also be provided with manifestations to ensure compliance with the Building Regulations, Part K, Approved Documents where required. 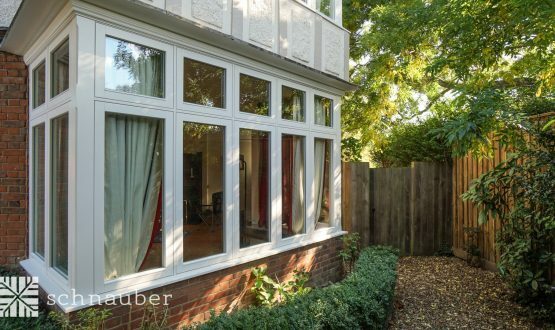 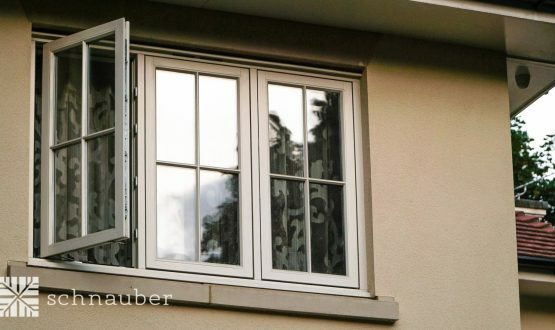 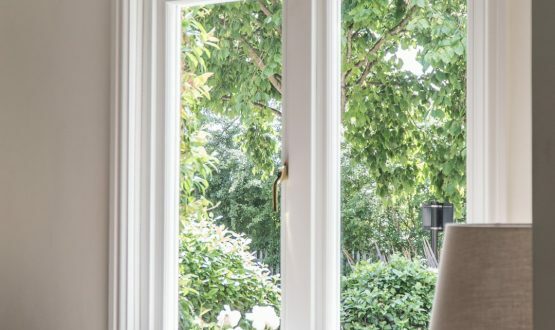 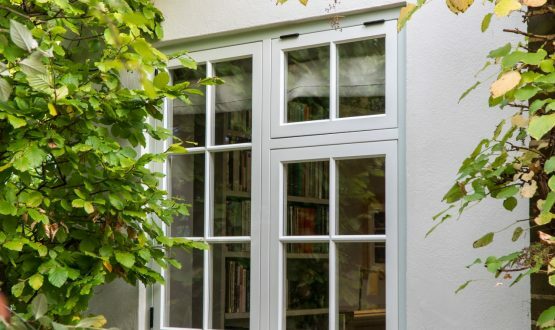 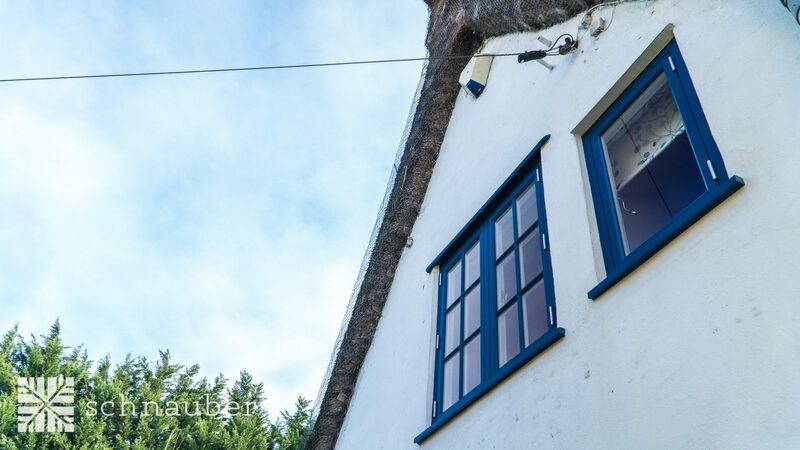 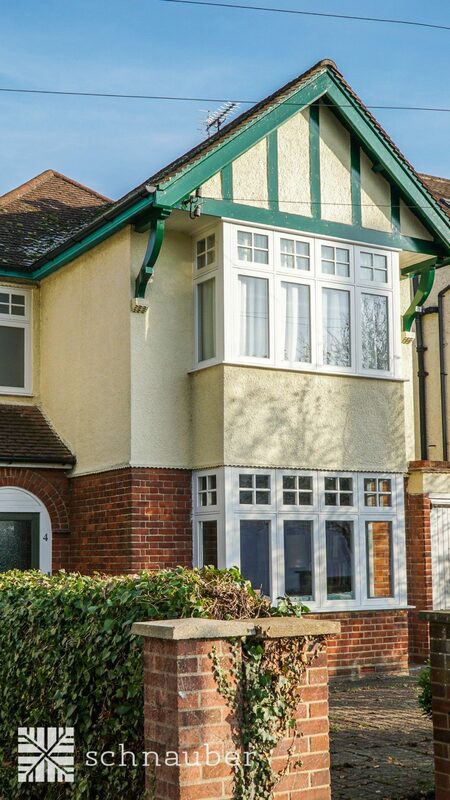 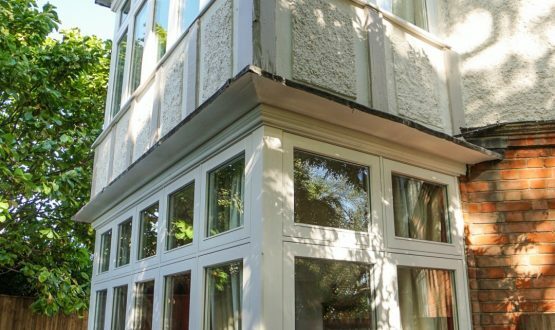 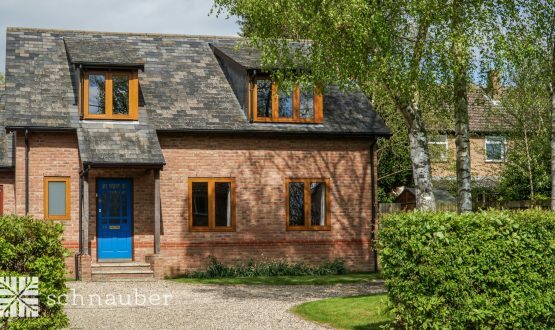 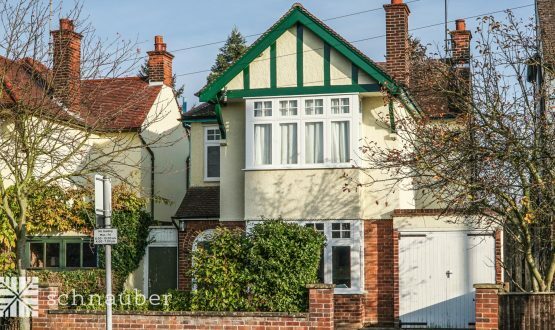 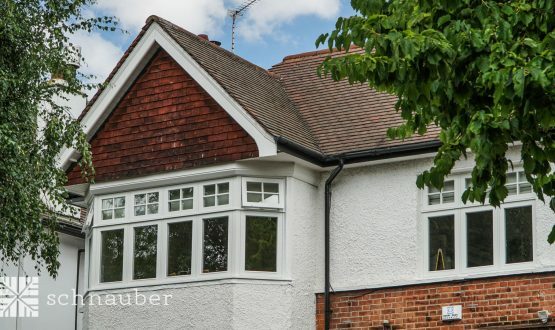 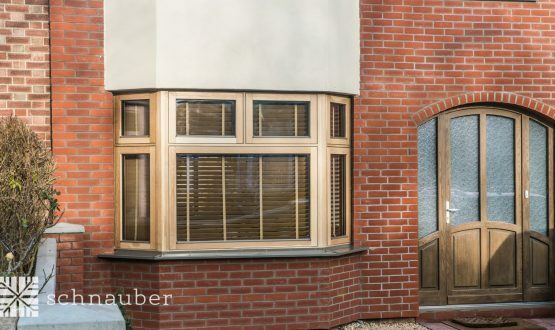 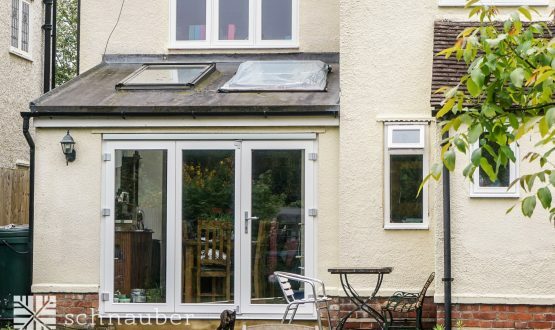 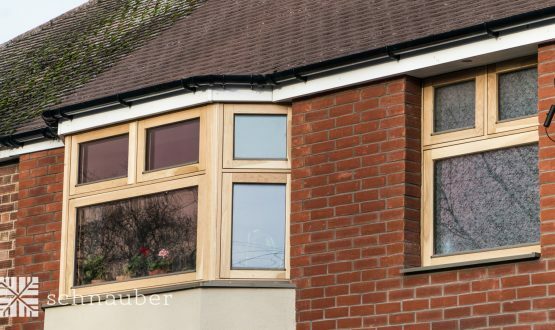 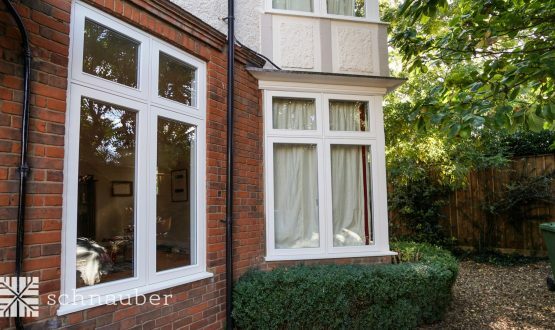 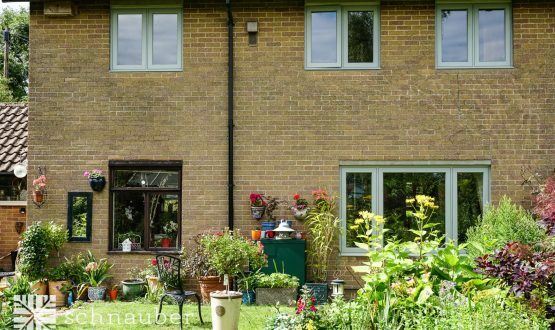 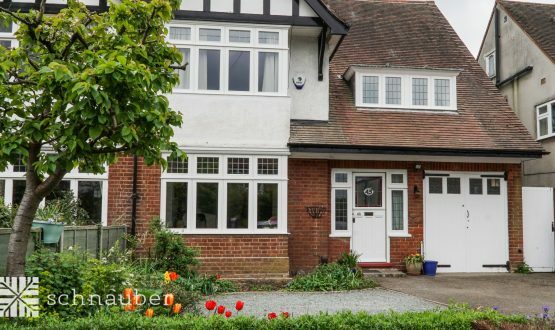 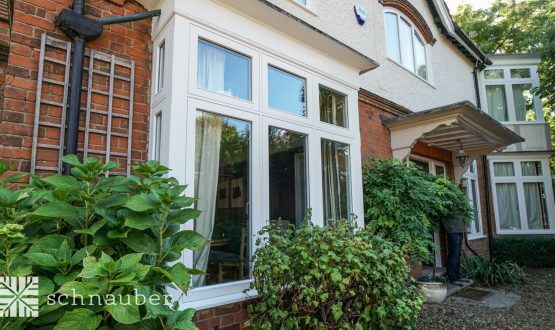 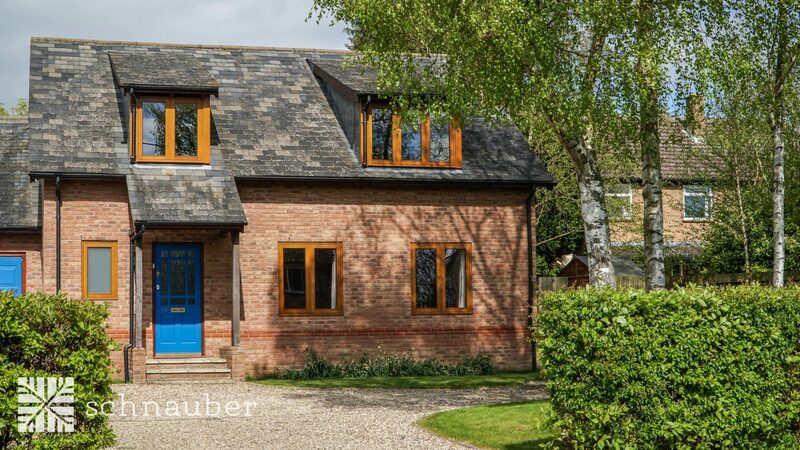 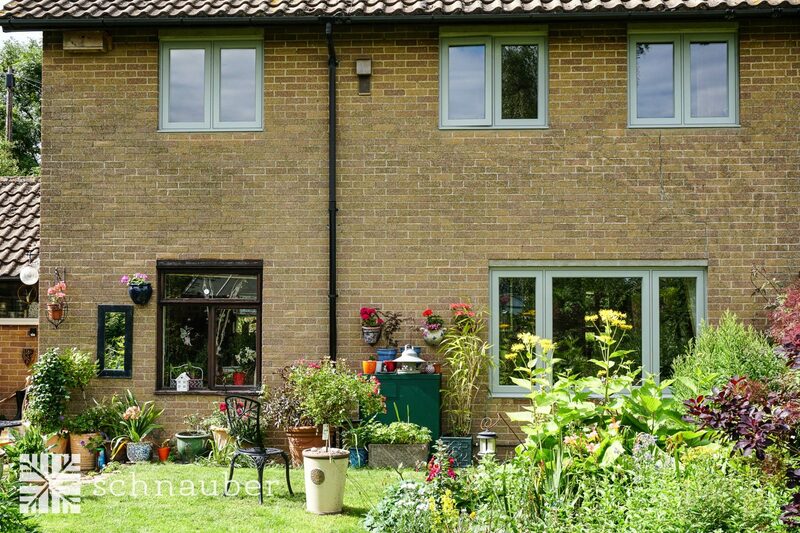 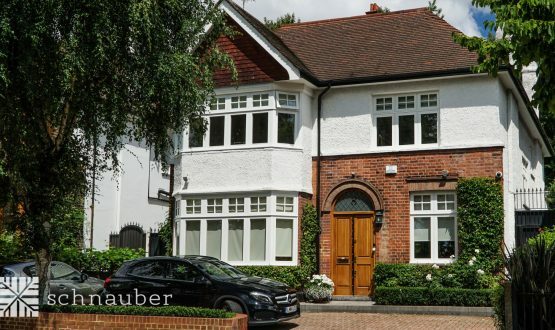 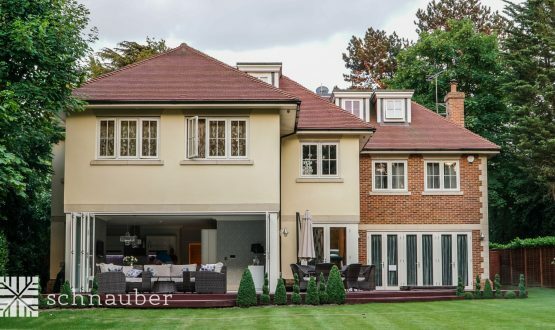 Are Schnauber’s timber casement windows environmentally friendly? 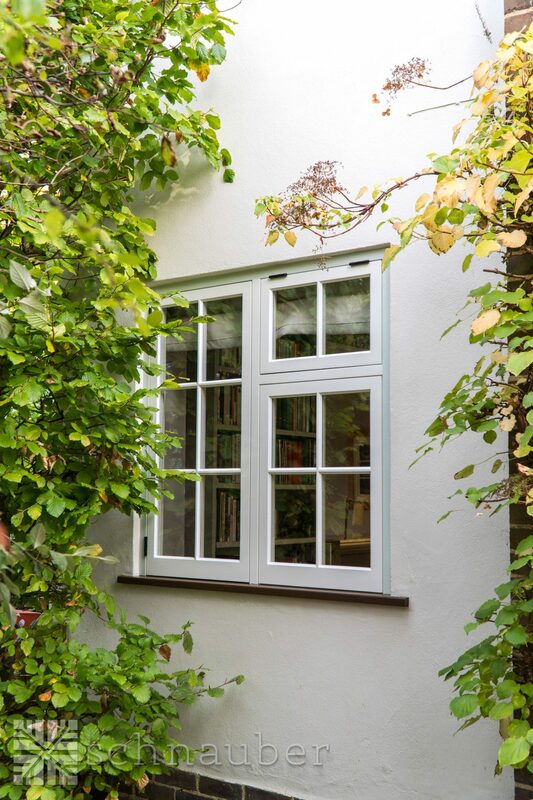 All of our wooden windows are manufactured from responsible and sustainable sources and certified by the Forest Stewardship Council (FSC). 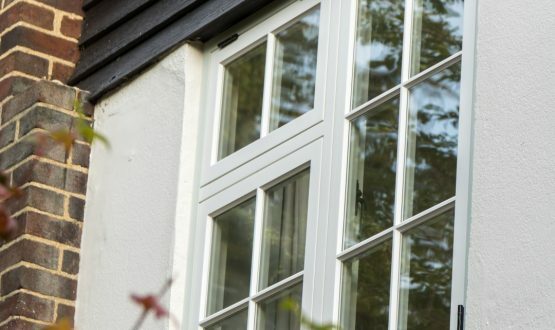 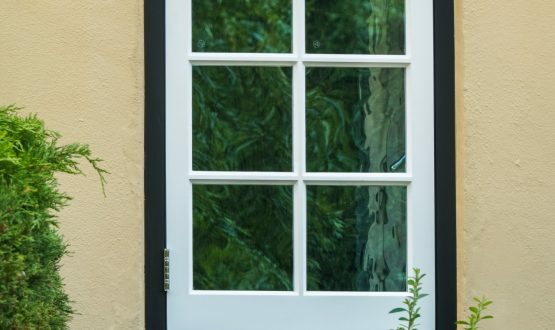 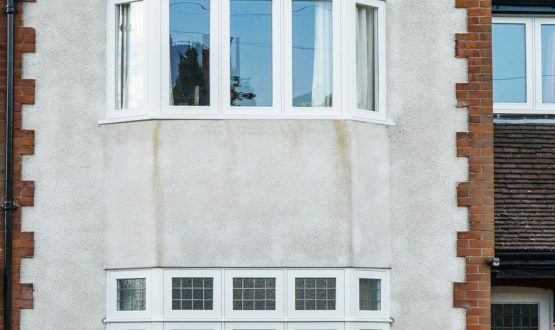 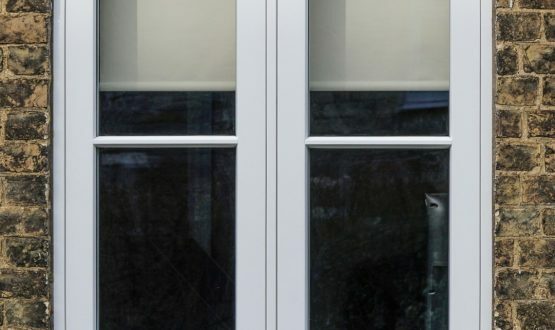 How long will it take to install new casement windows? 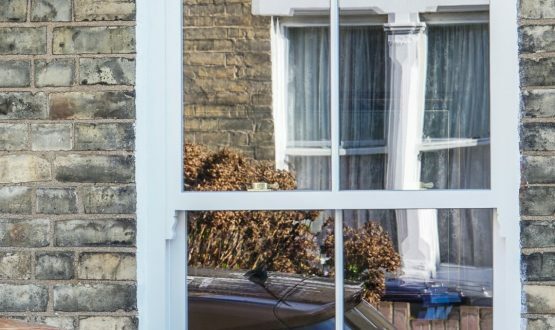 In a typical 3-4 bedroom home having windows replaced upstairs and downstairs it typically takes our team around 5-10 days. 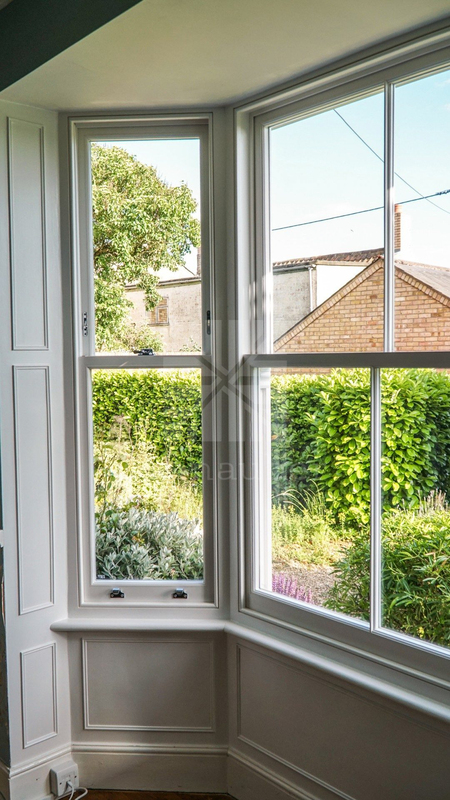 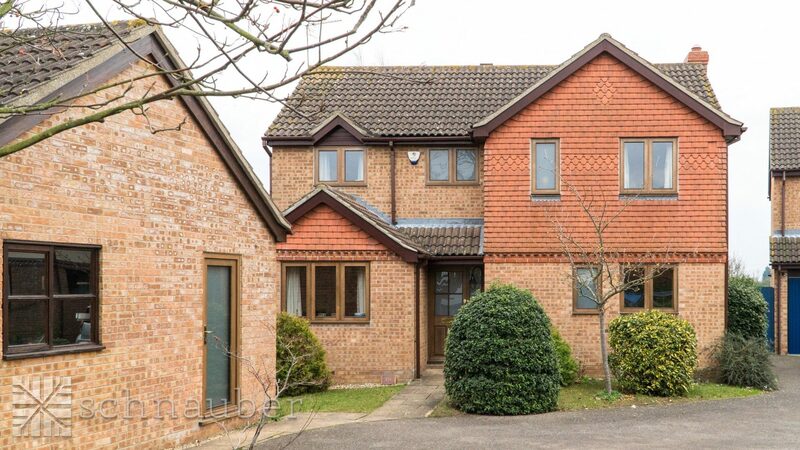 The length of time will depend upon whether the property has rendering, bay windows and the size of the windows. 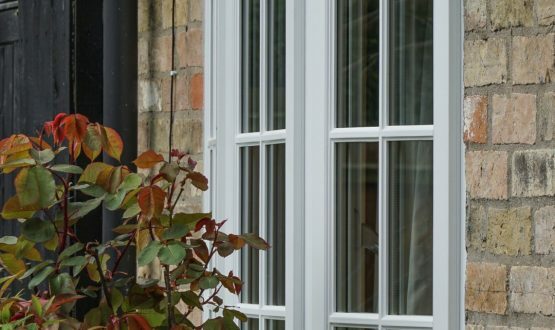 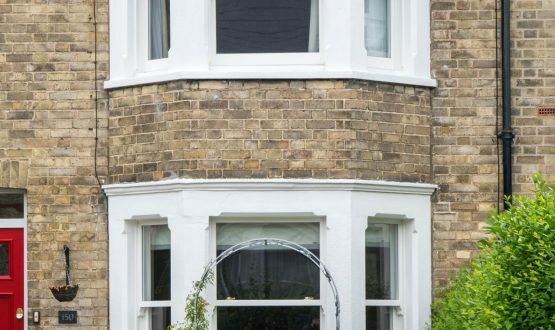 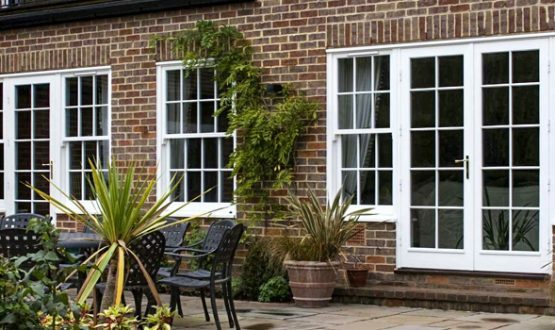 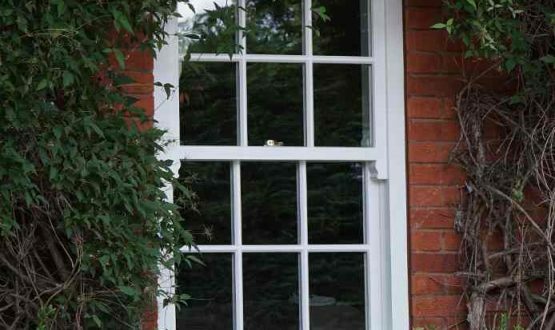 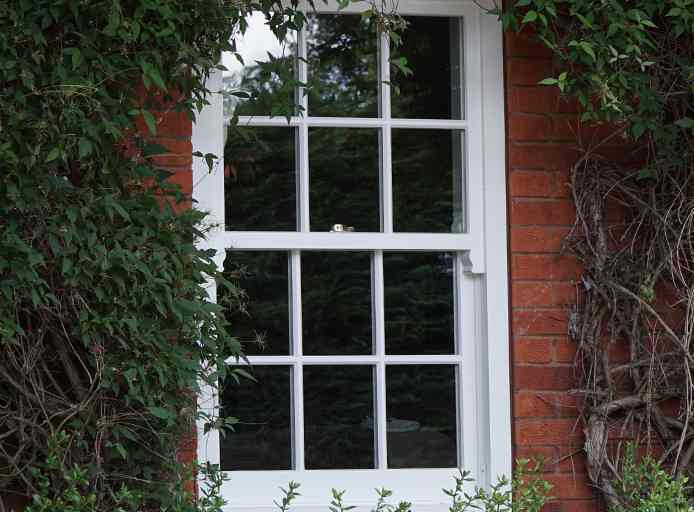 How easy are casement timber windows to maintain once they have been installed? 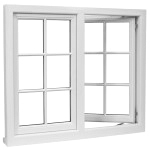 Casement windows are the one of the easiest type of window to clean as they open fully. 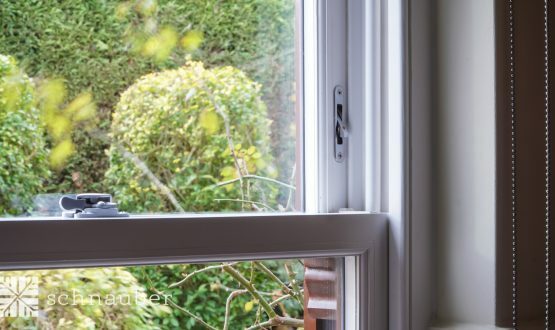 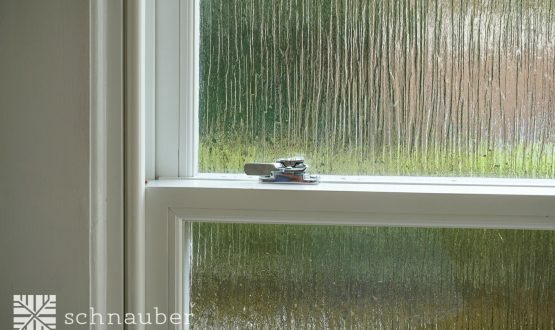 When casement windows have been designed to comply with Building Regulations, Part N, Approved Documents, Section 4, they can be cleaned from within the building. 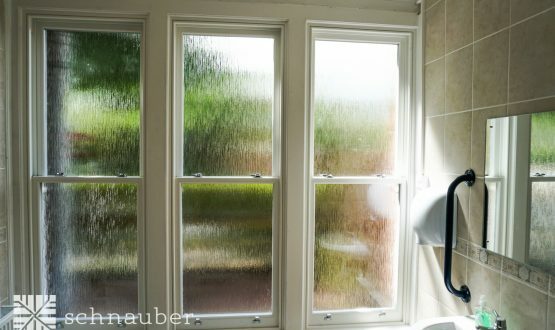 No more window cleaners required! 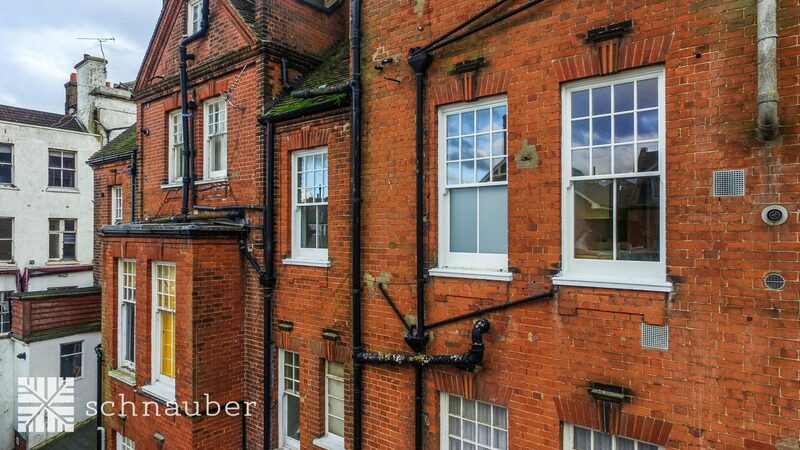 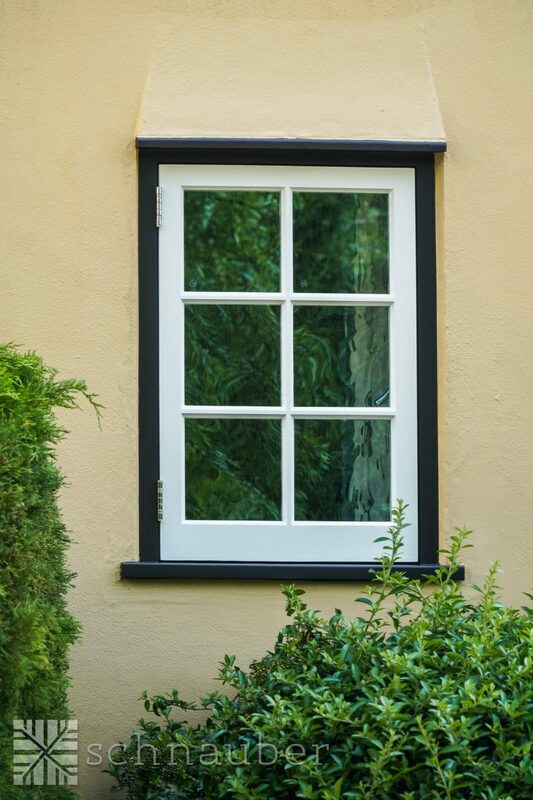 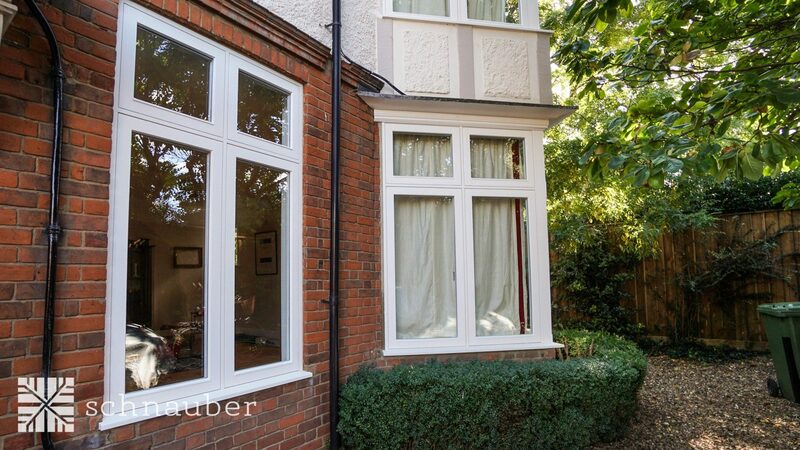 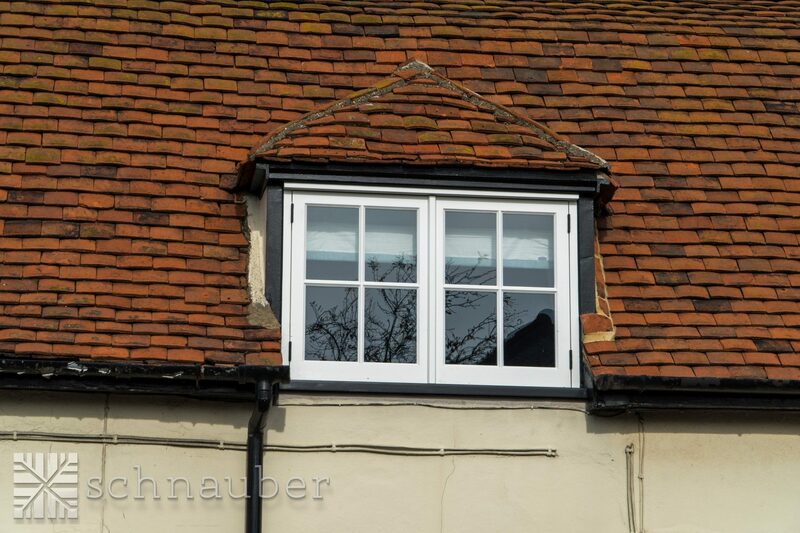 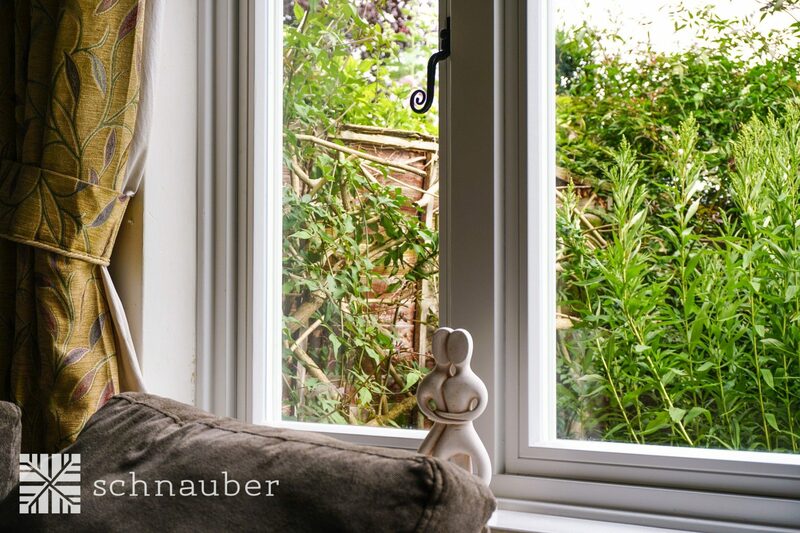 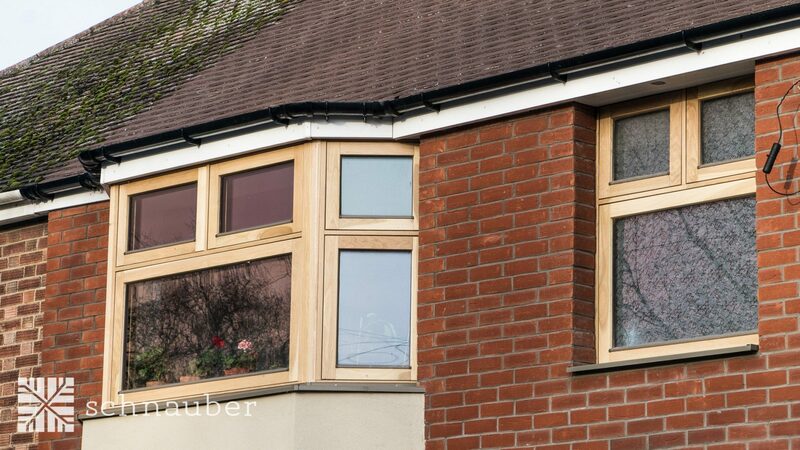 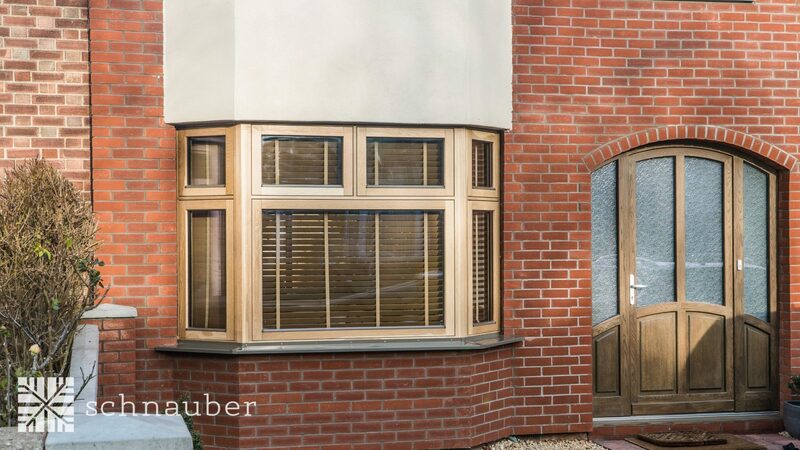 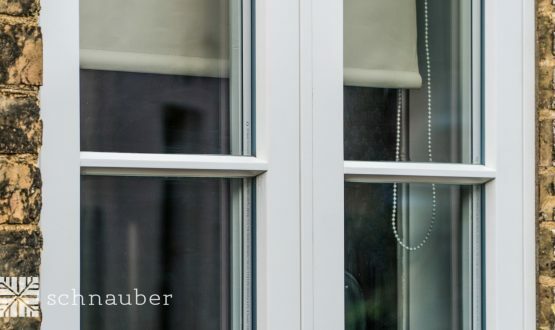 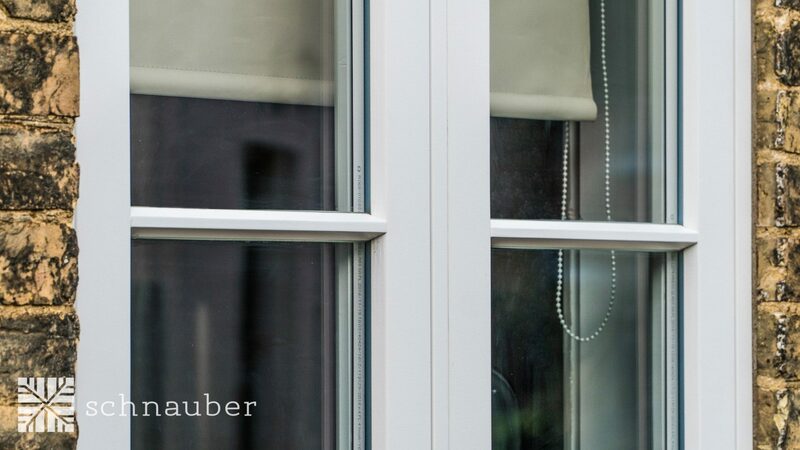 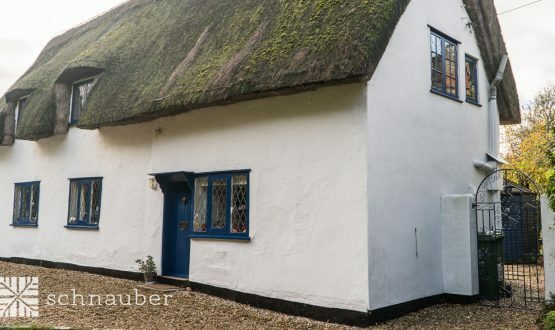 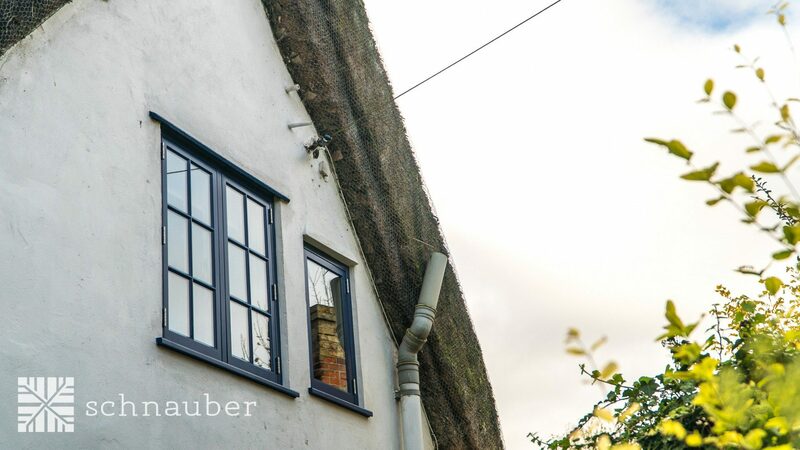 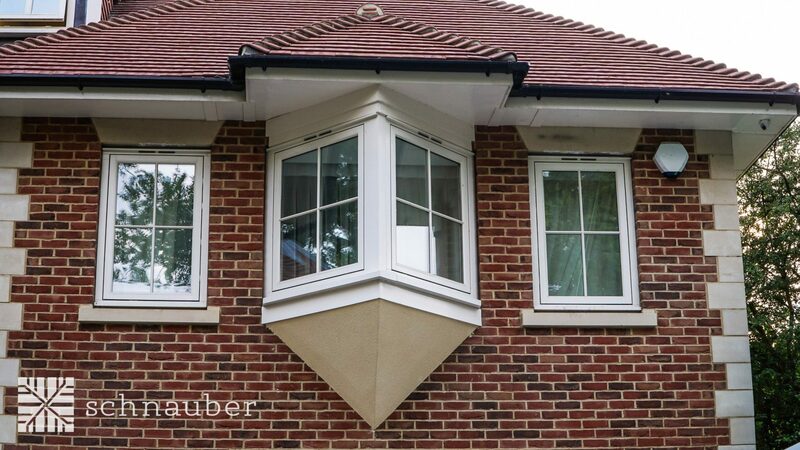 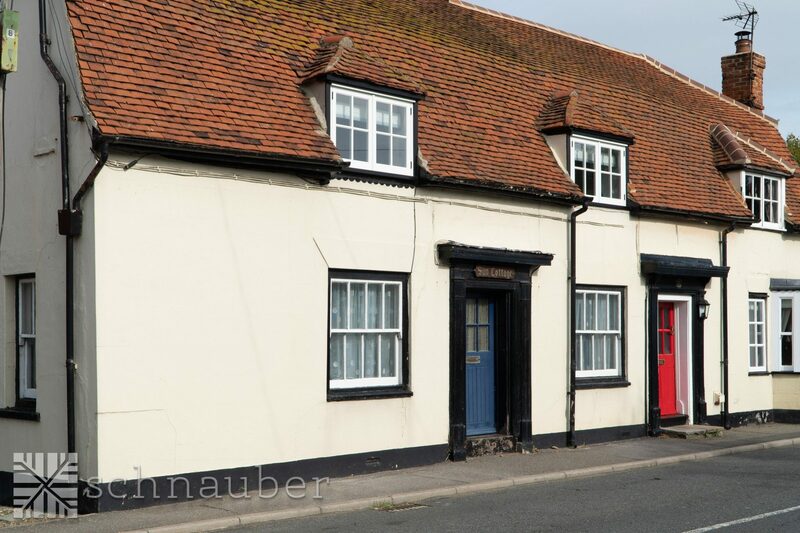 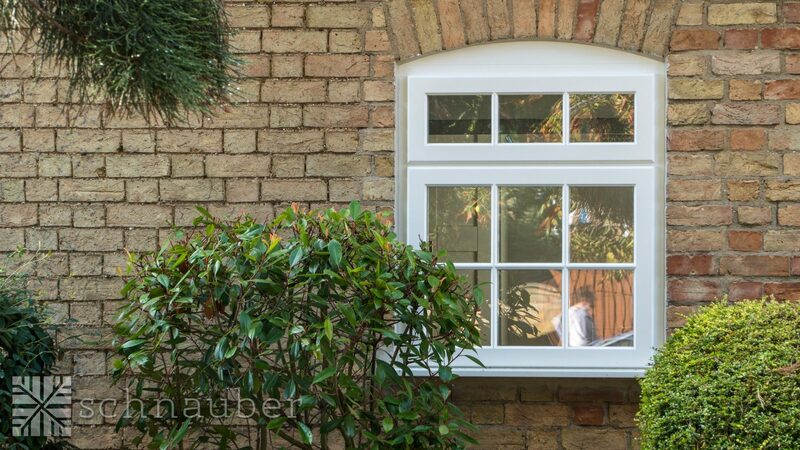 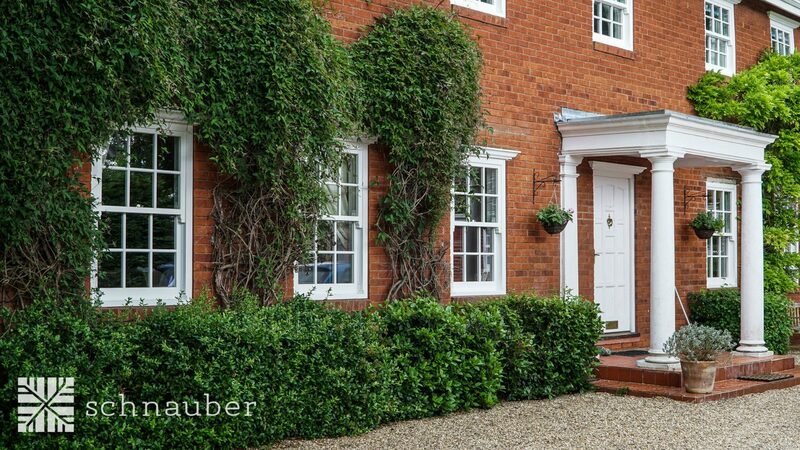 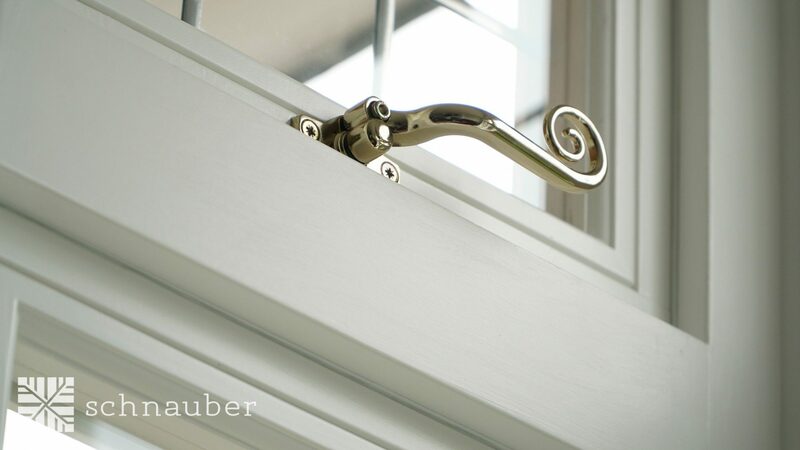 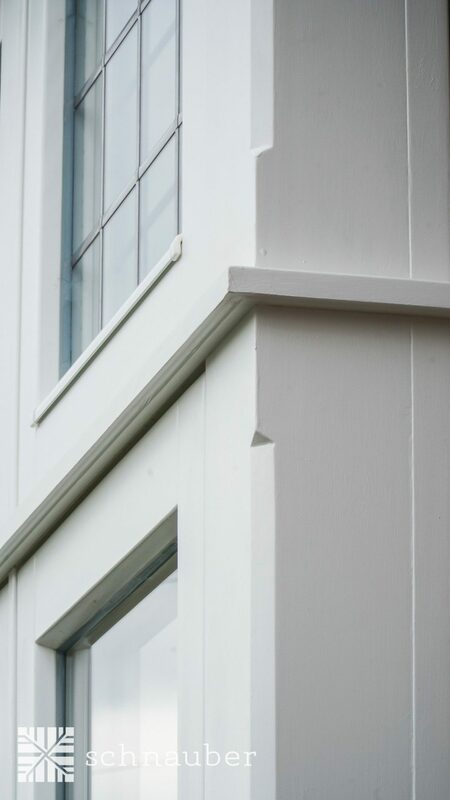 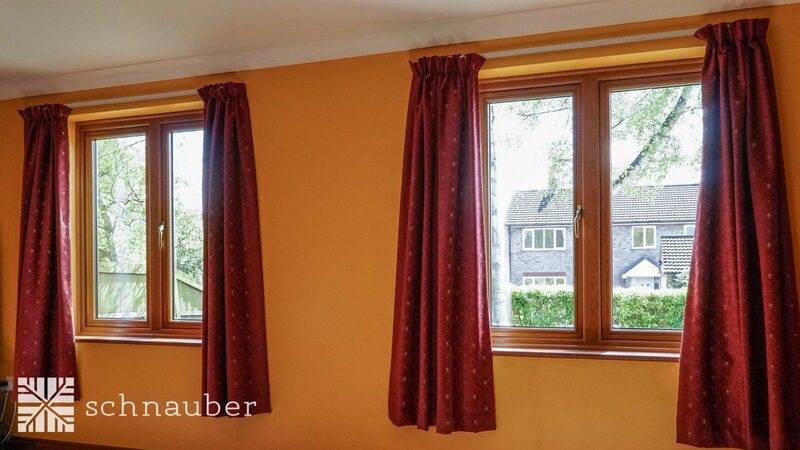 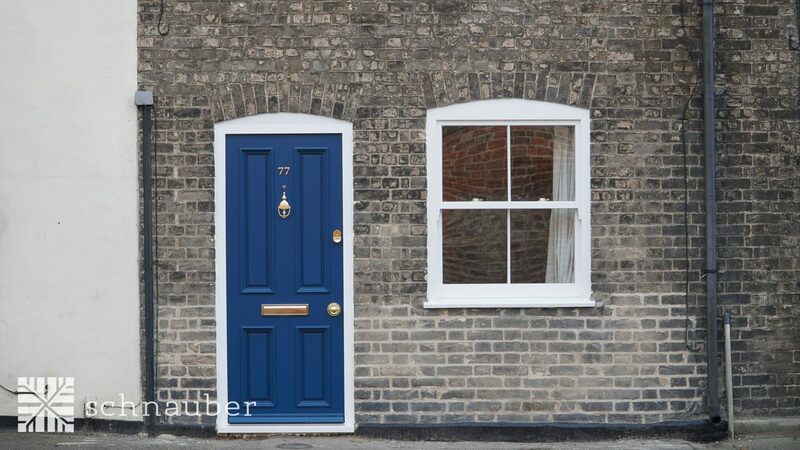 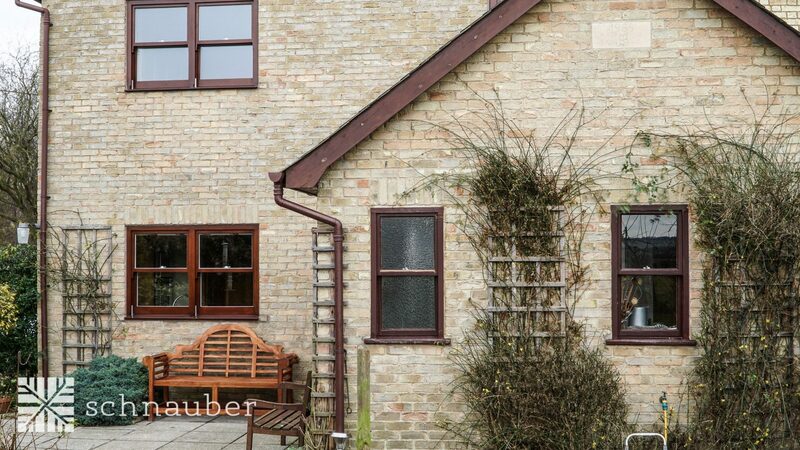 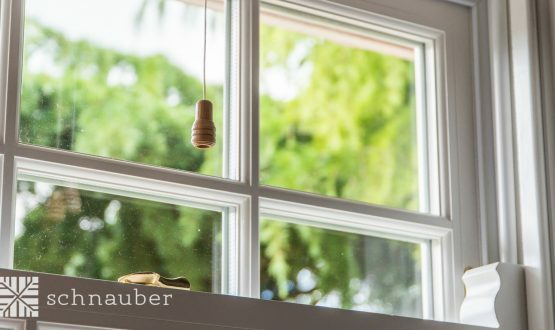 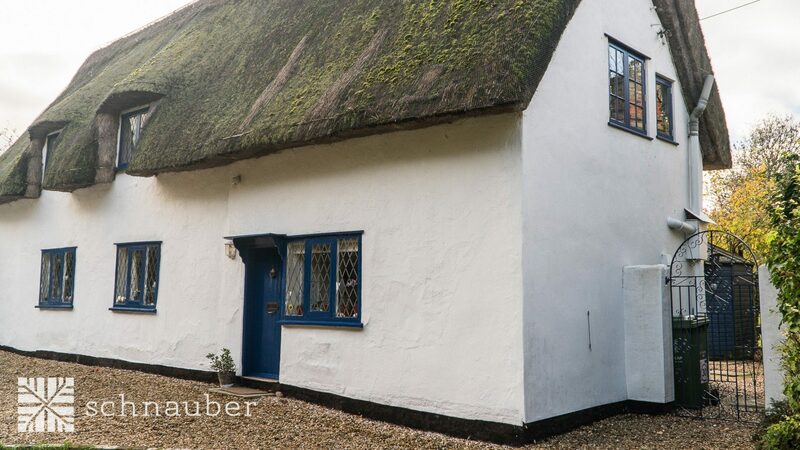 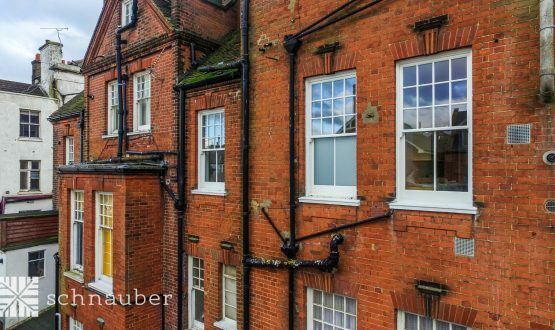 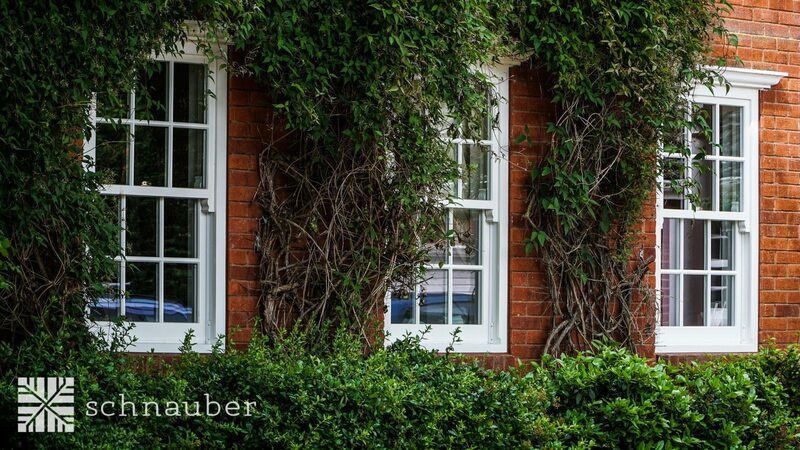 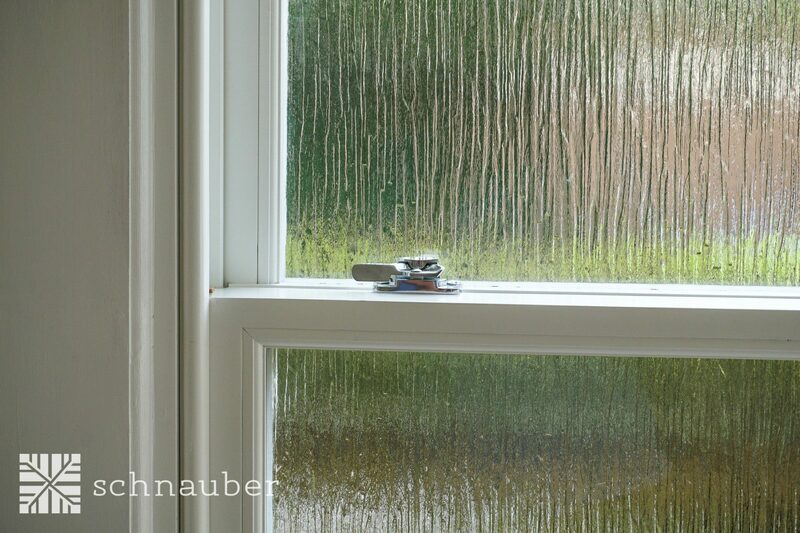 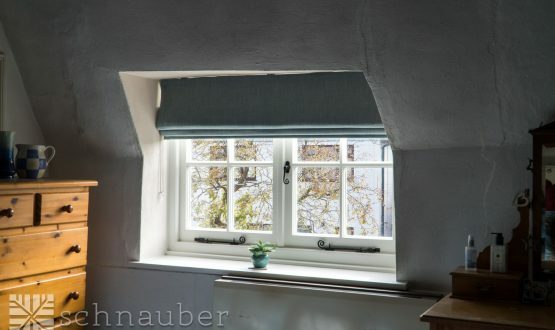 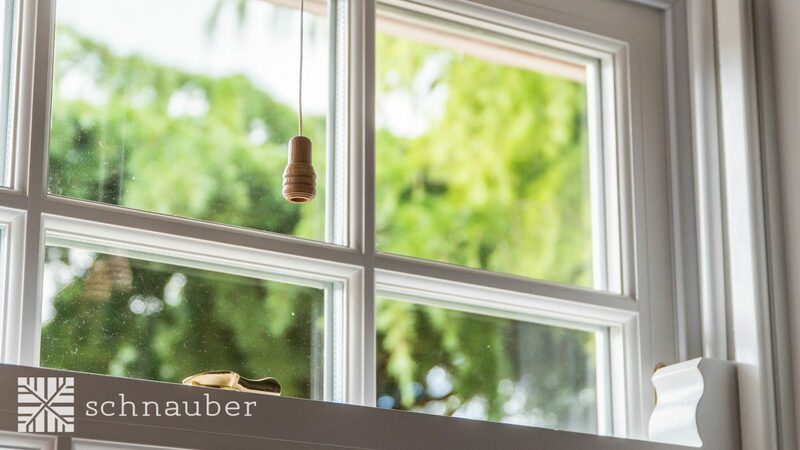 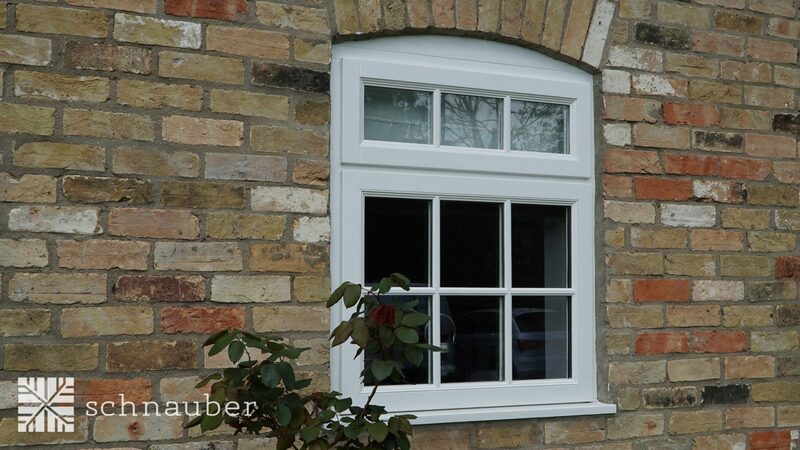 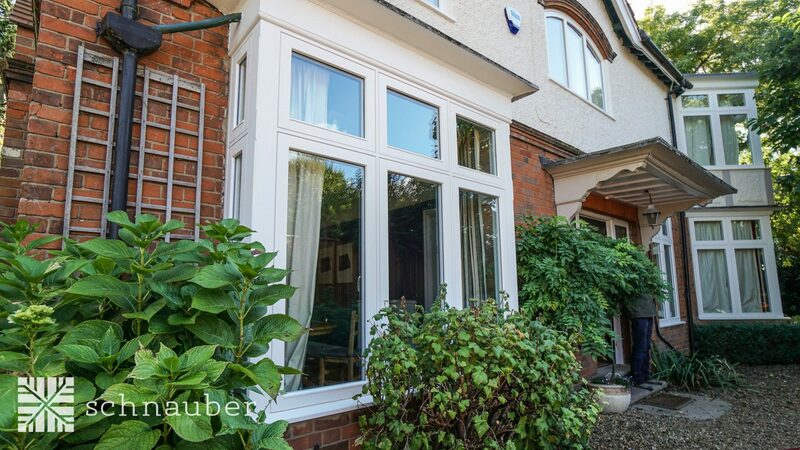 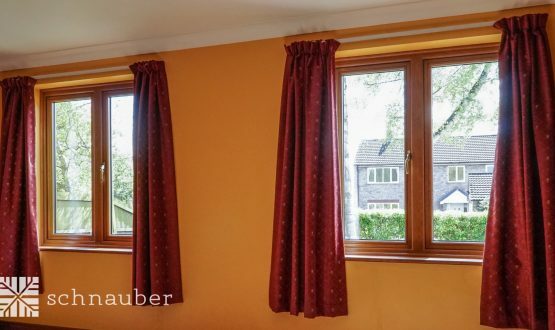 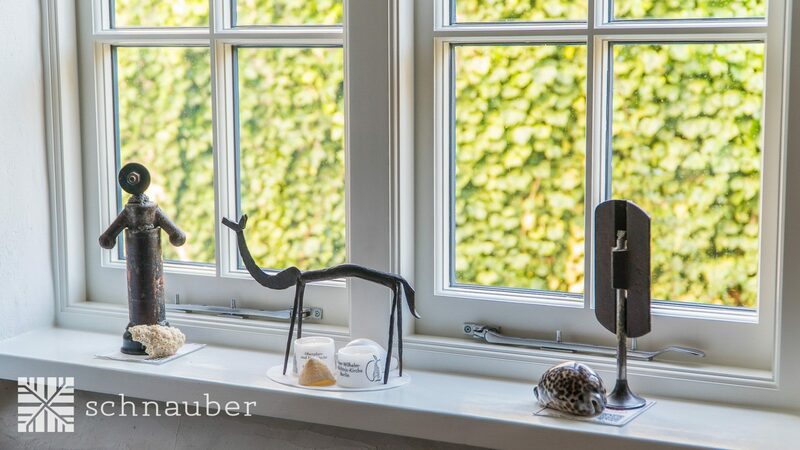 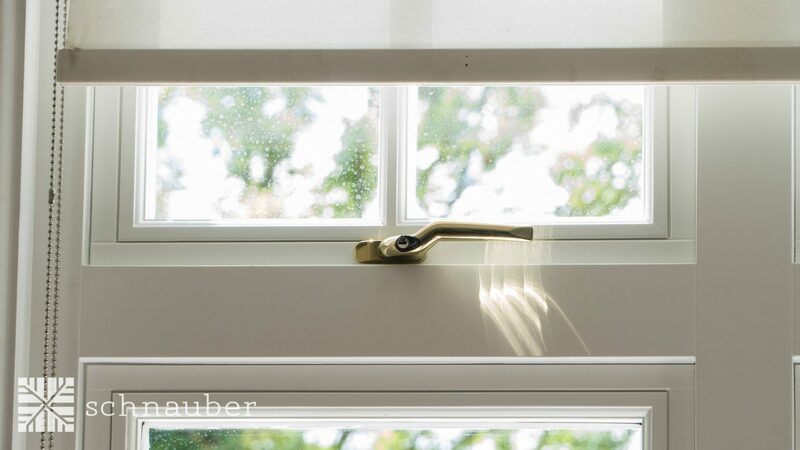 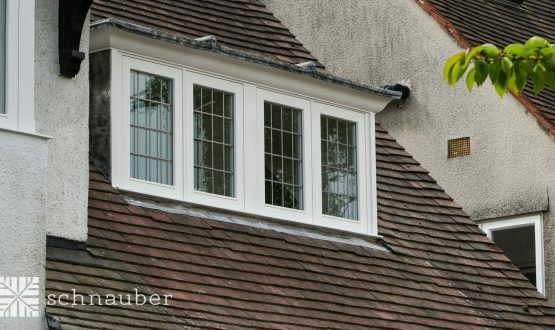 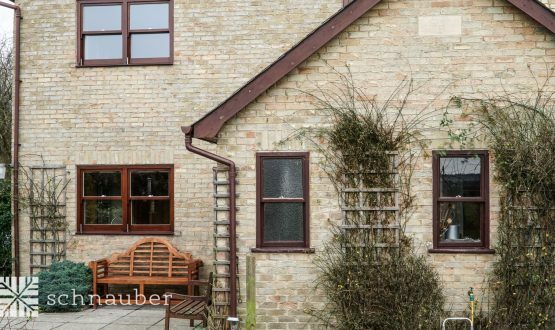 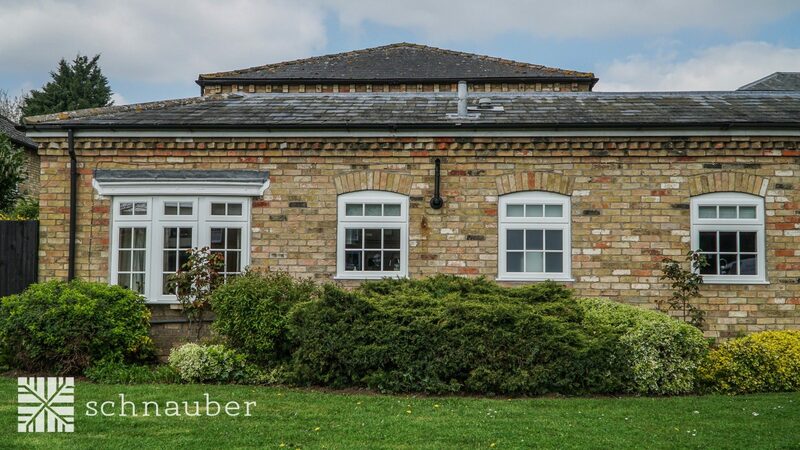 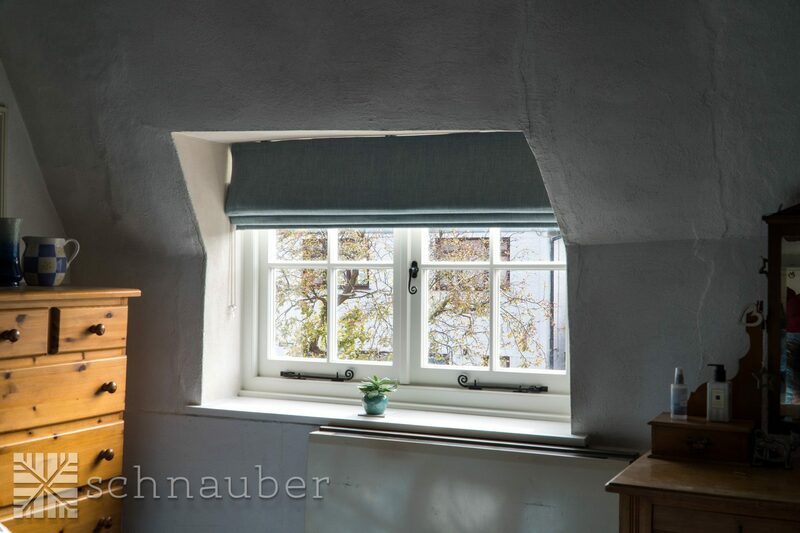 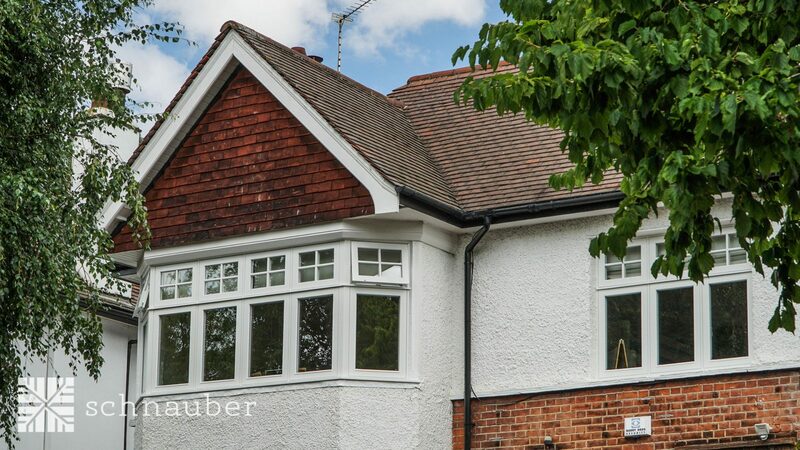 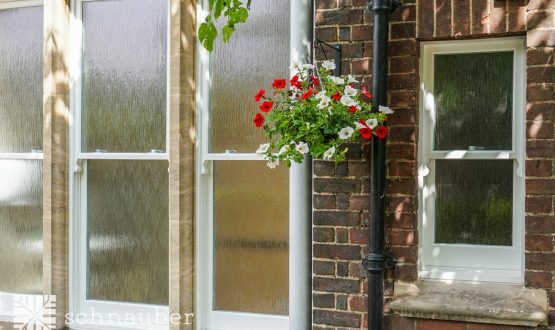 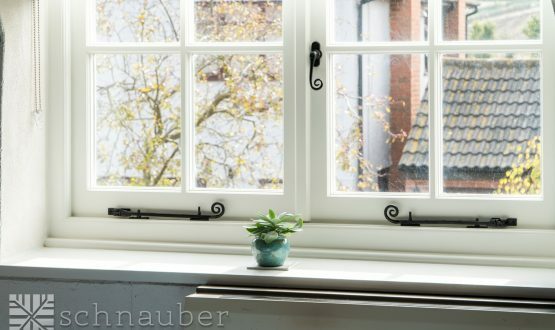 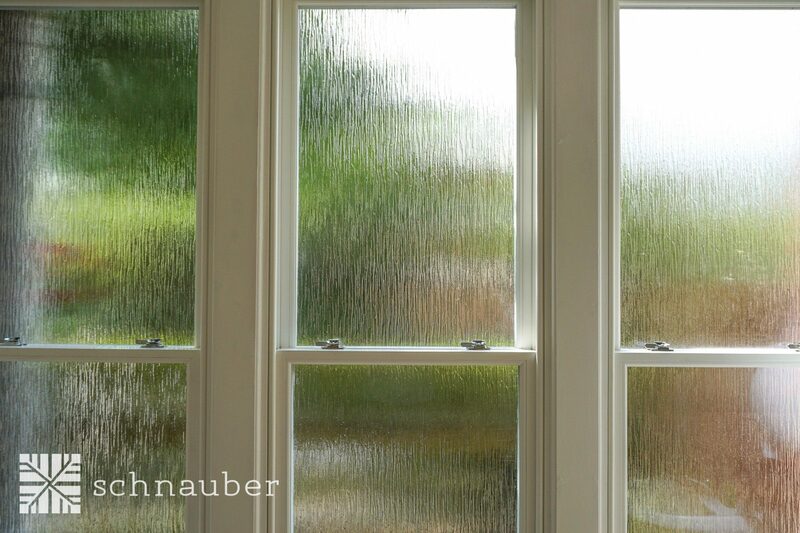 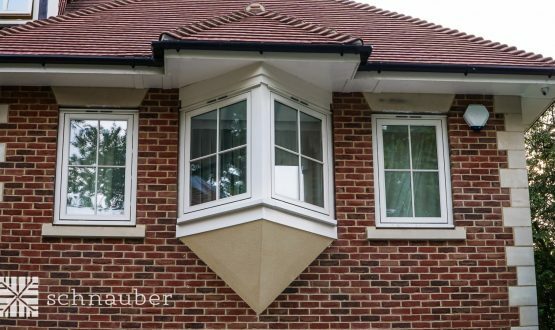 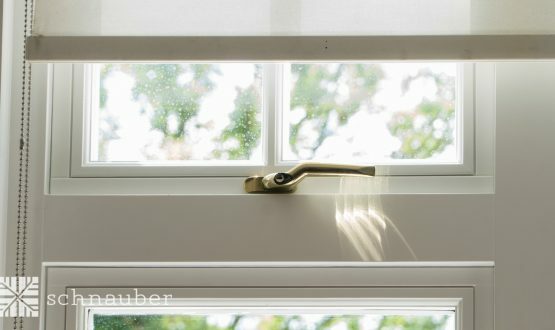 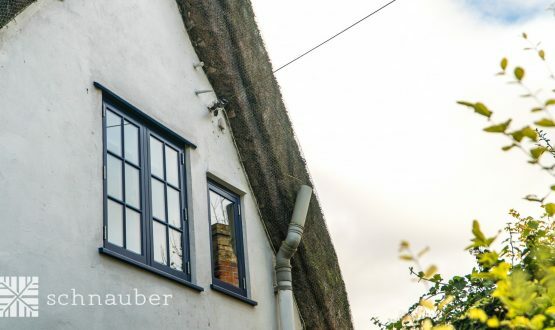 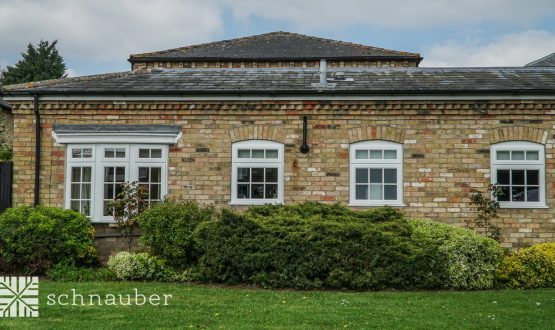 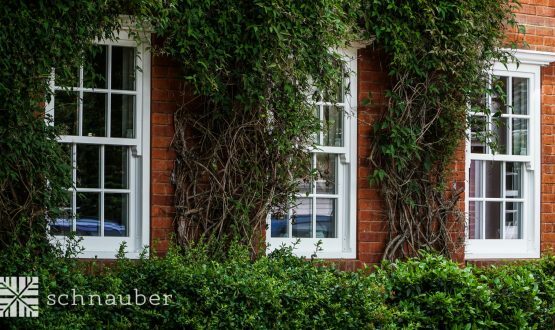 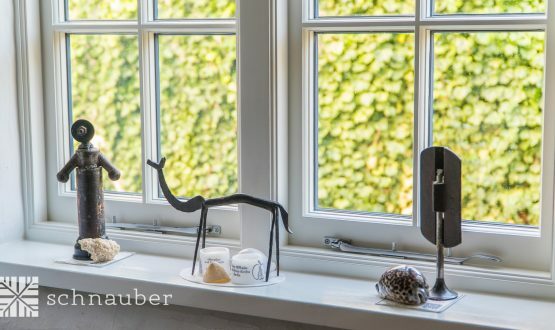 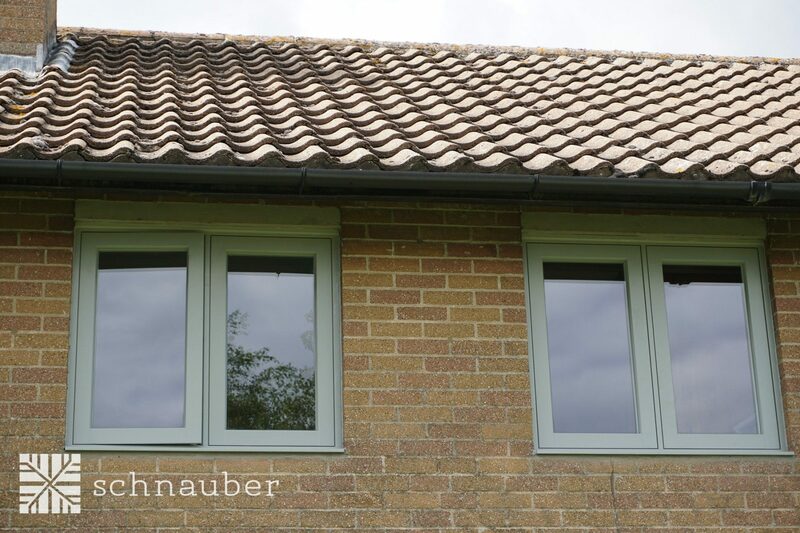 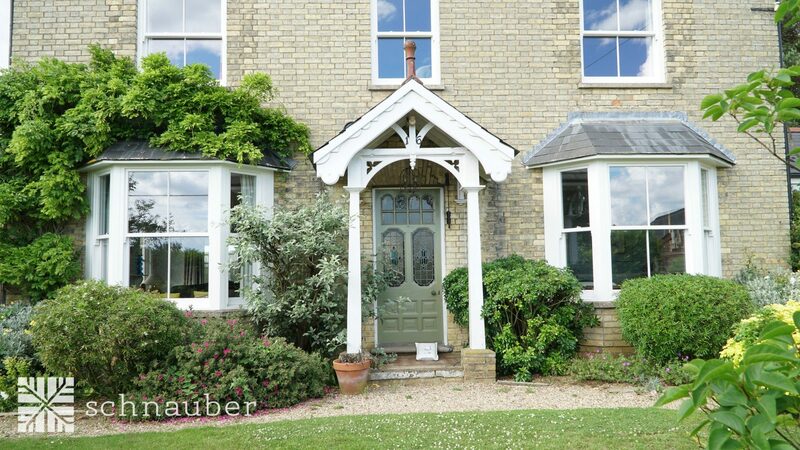 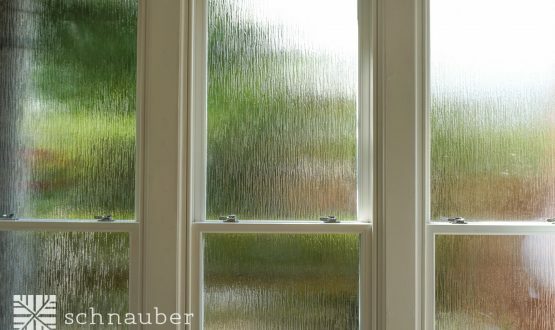 Schnuaber timber windows are pre-treated with a non-toxic wood preservative so maintenance is minimal. 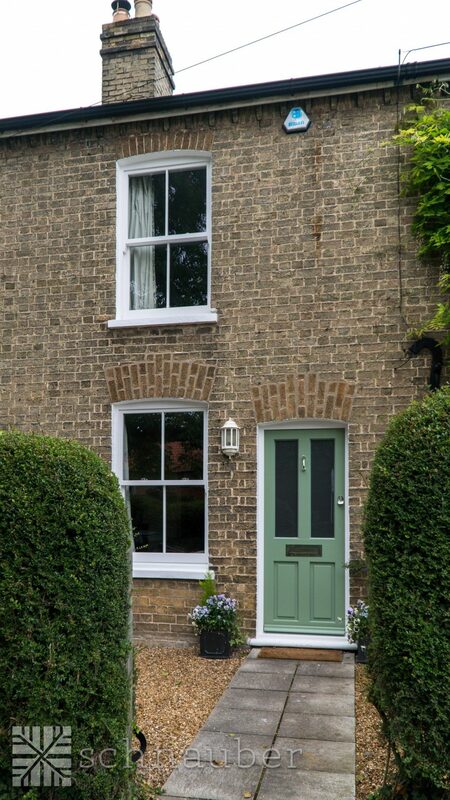 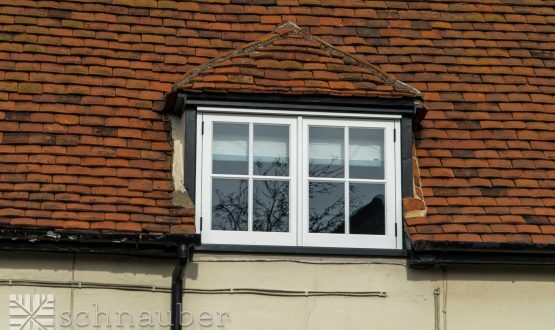 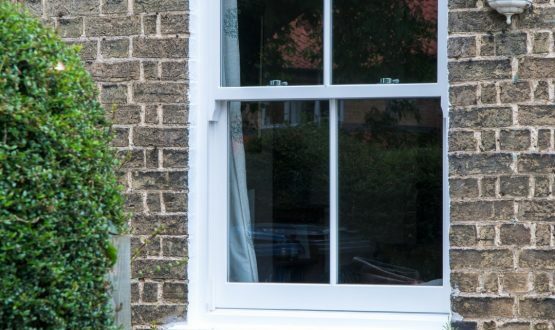 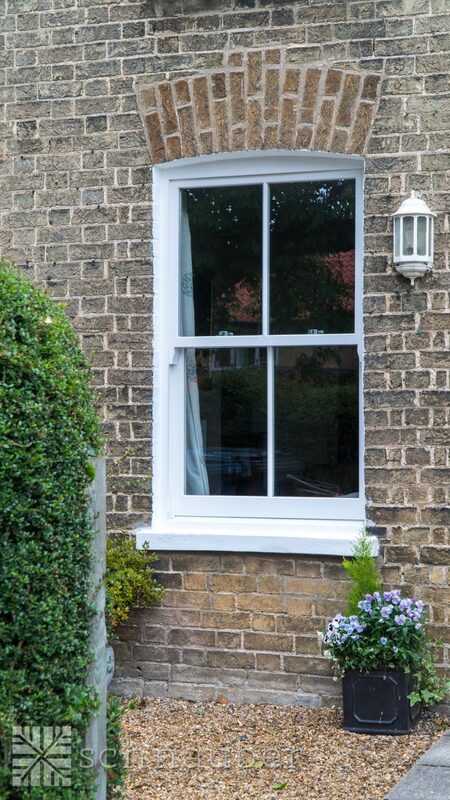 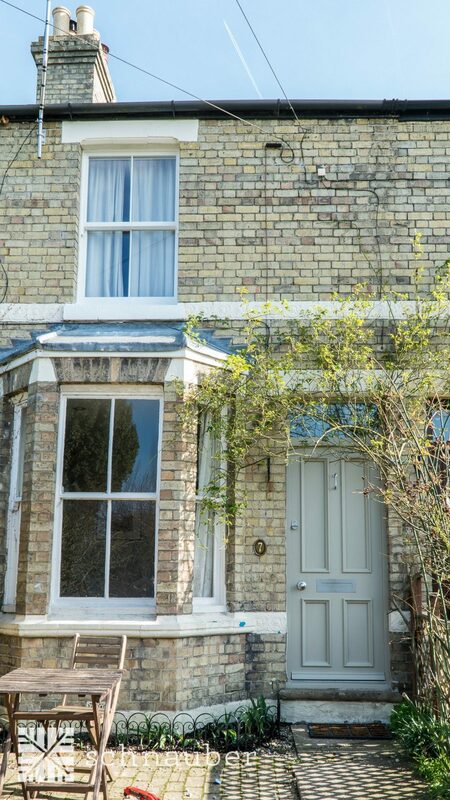 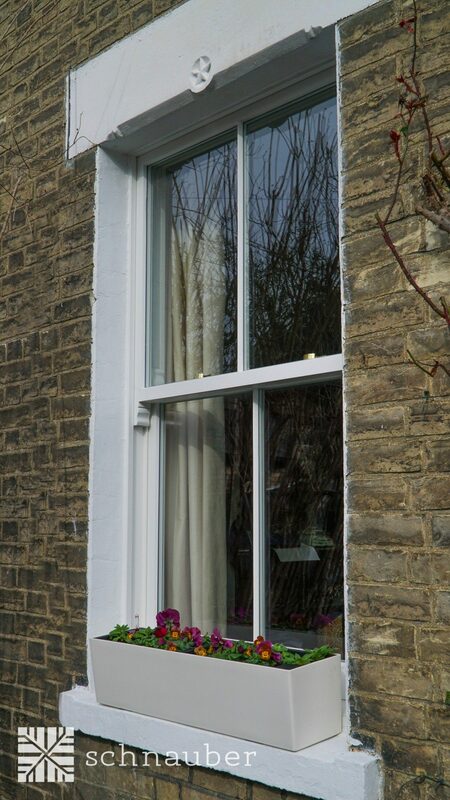 A further benefit of timber windows is the ease of repair rather than replacement. 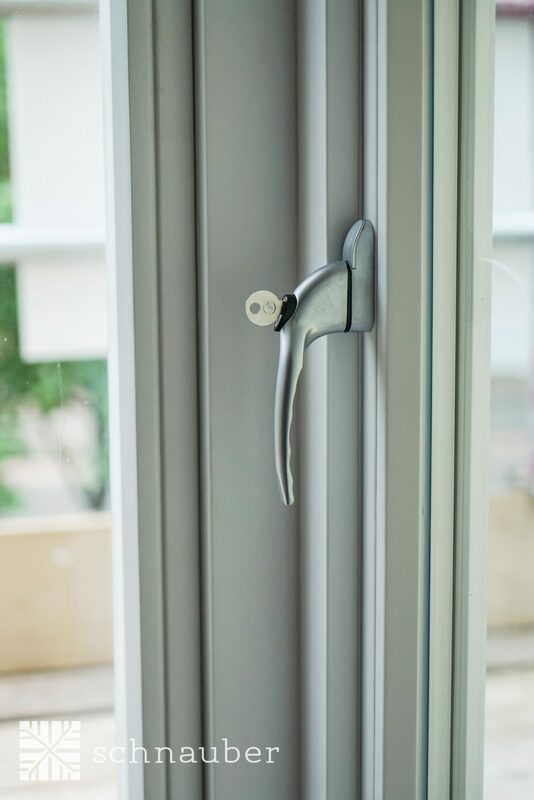 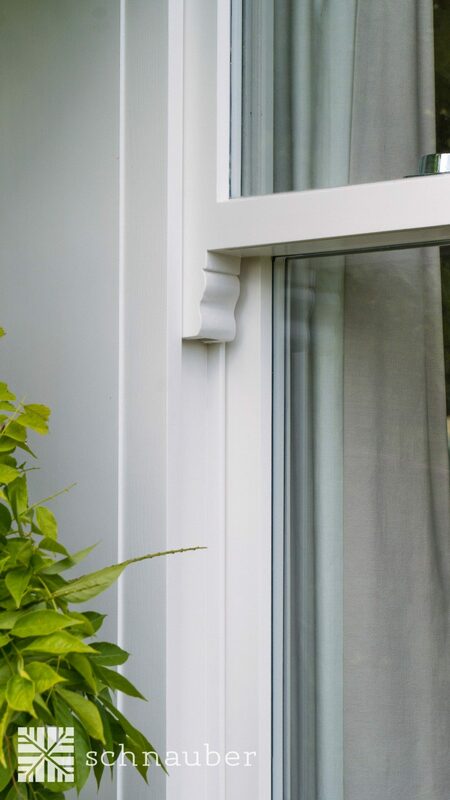 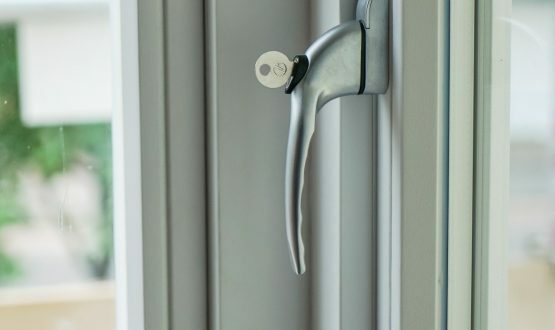 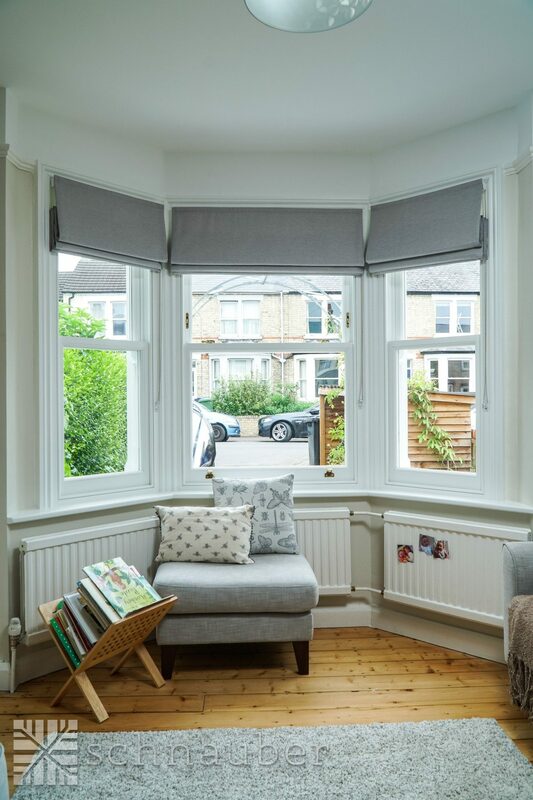 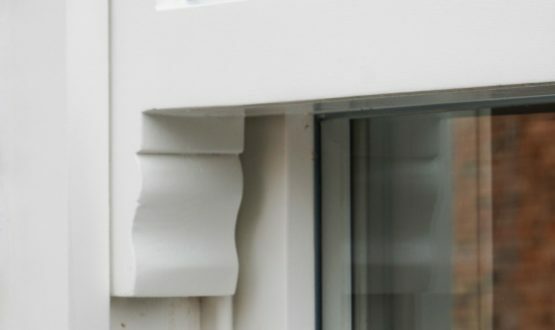 If you are considering casement windows and you have young children then we would recommend opting for additional safety fittings to alleviate any risk. 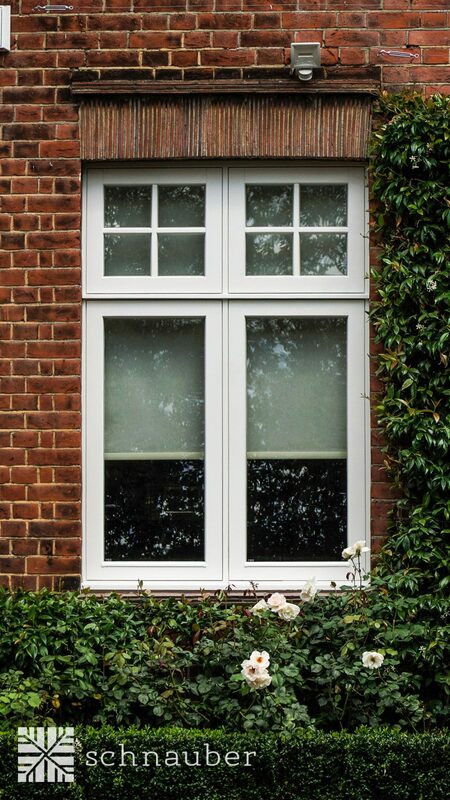 Casement windows should not be too large or too heavy as the opening has to support the window.